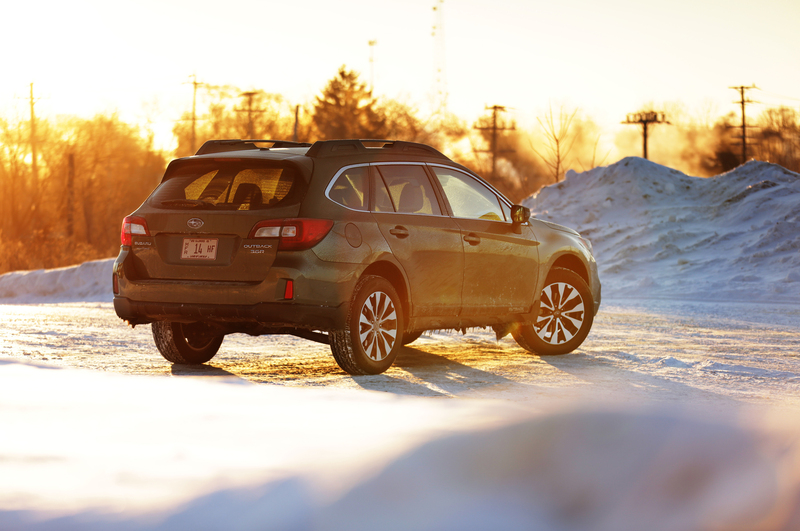 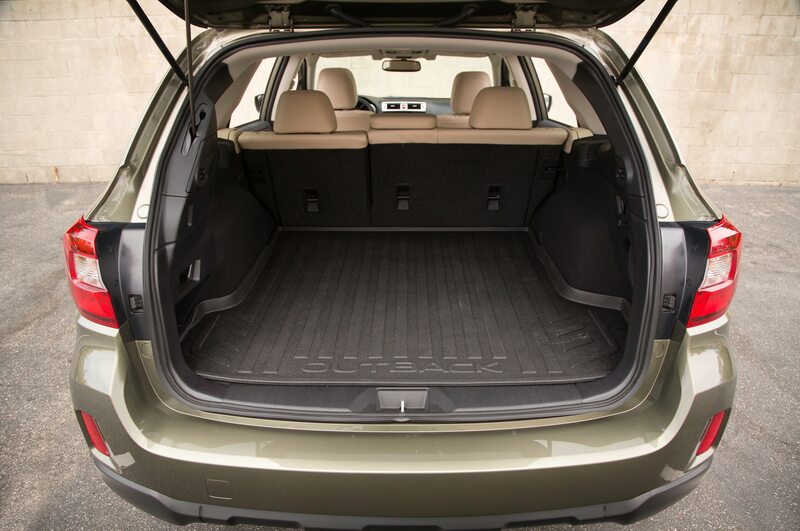 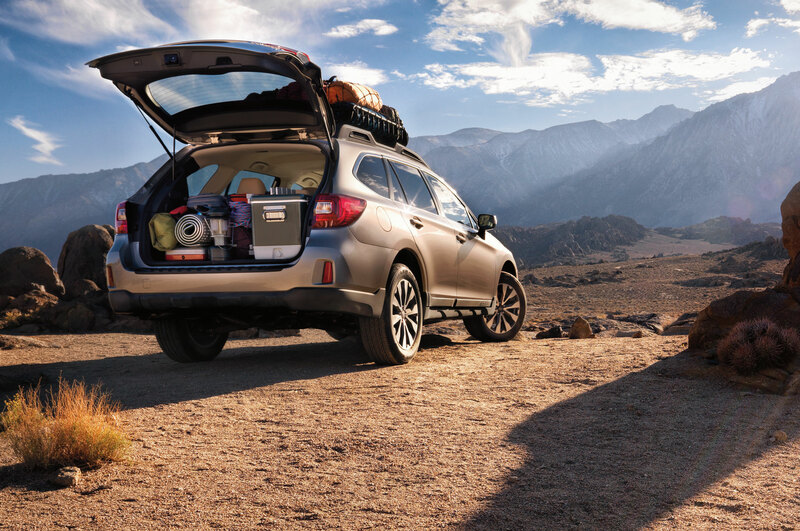 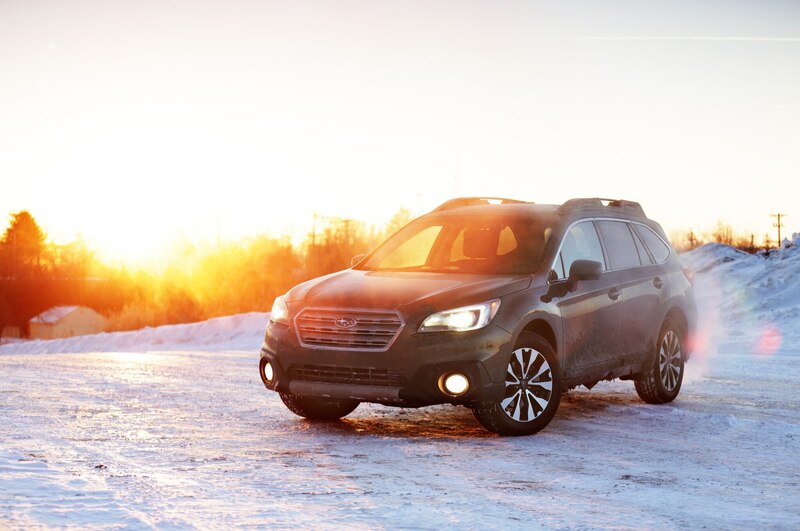 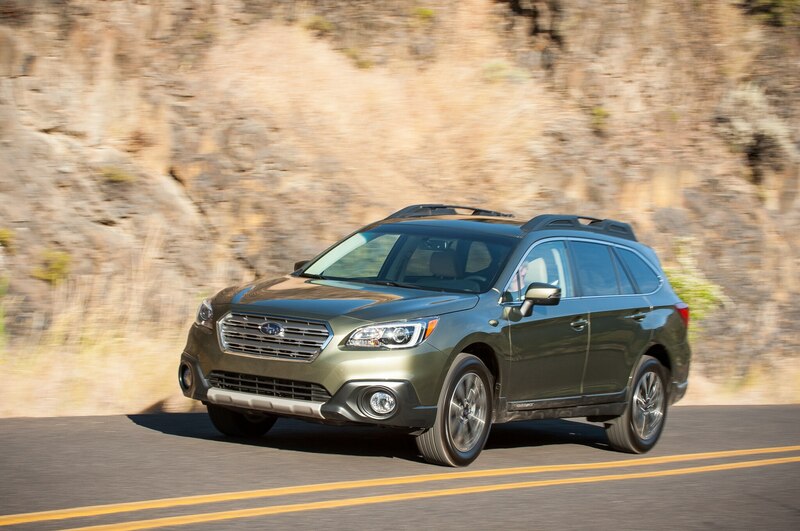 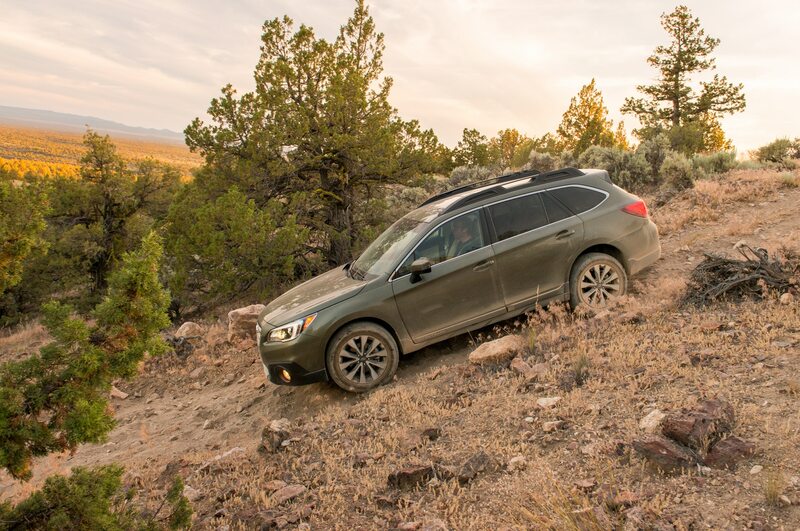 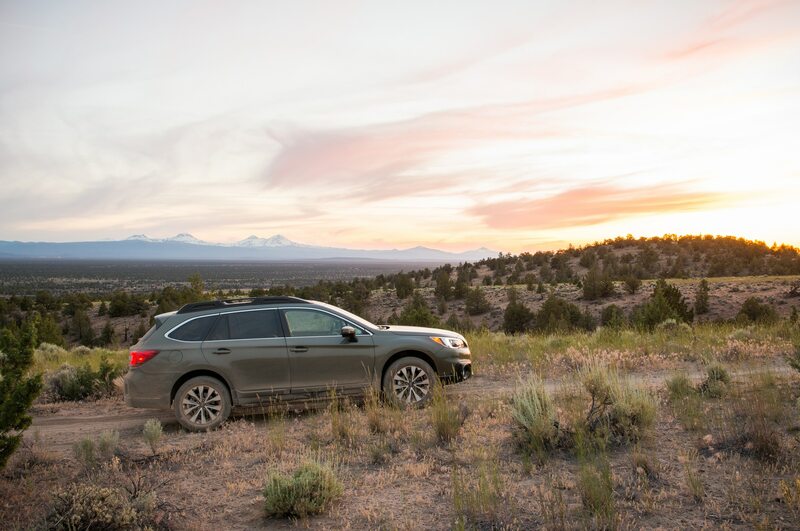 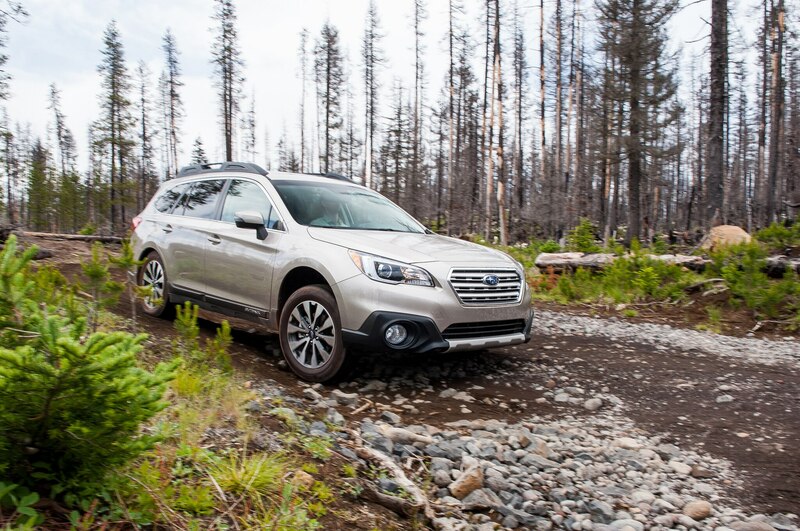 High-priced, leather-lined, six-cylinder versions of the Subaru Outback have always seemed at odds with this all-wheel-drive wagon’s rugged, utilitarian mission. 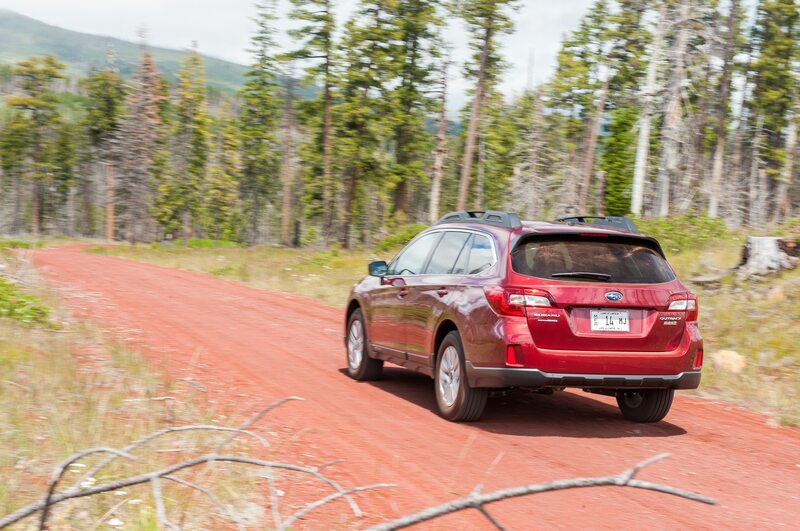 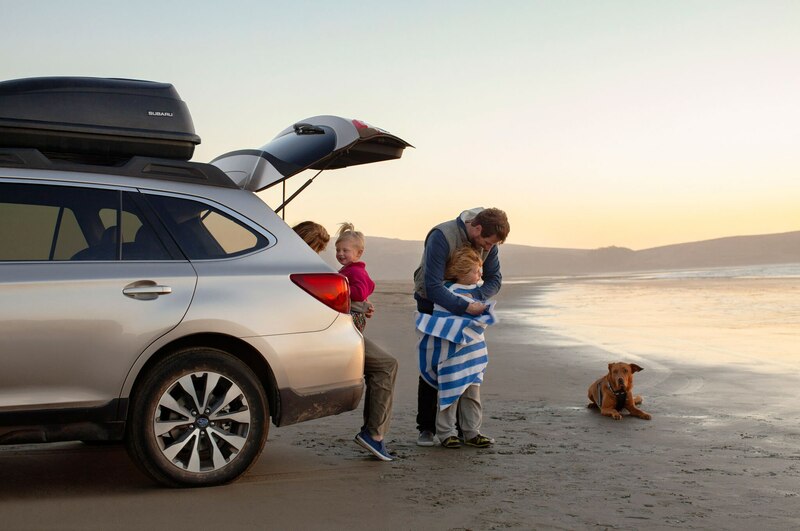 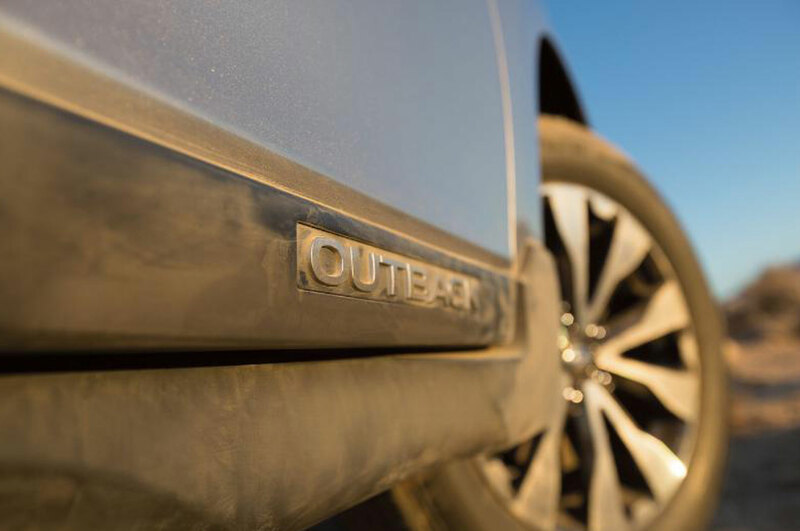 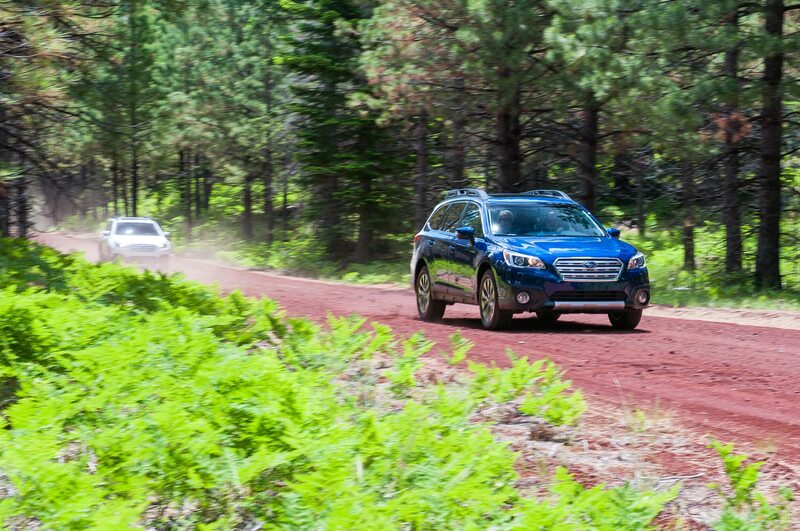 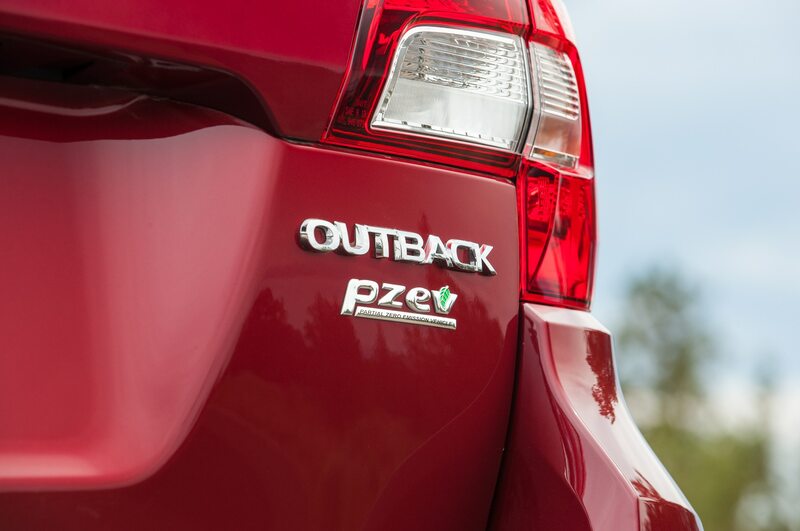 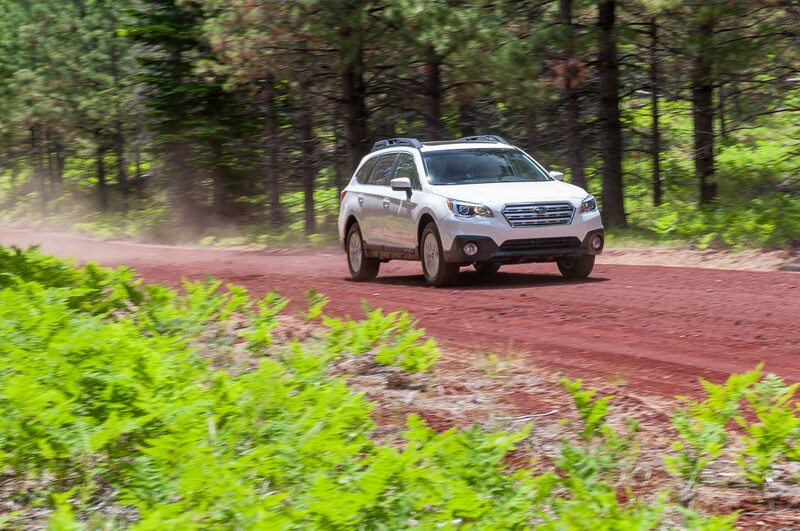 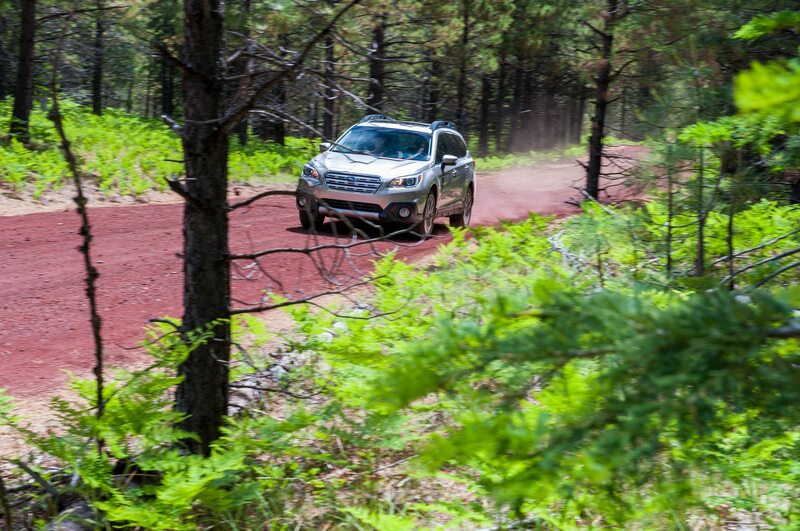 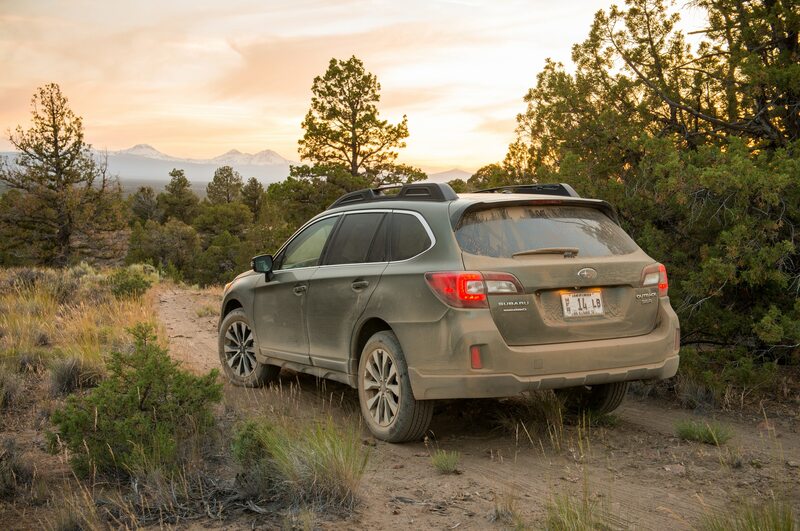 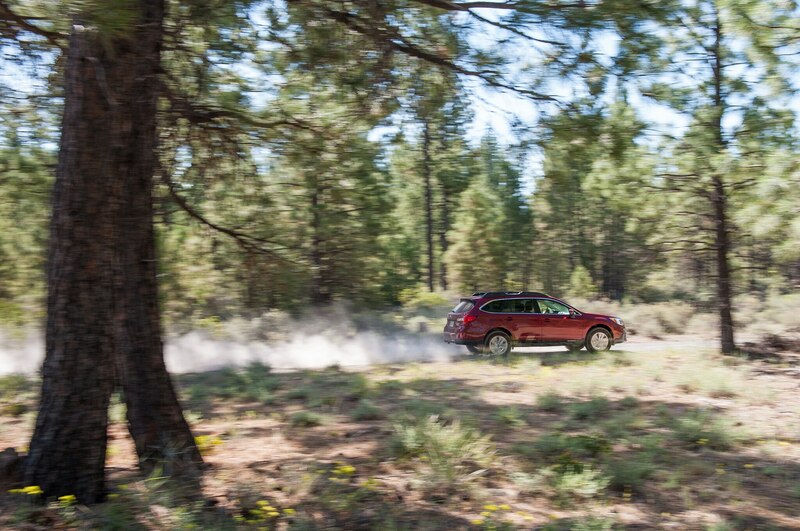 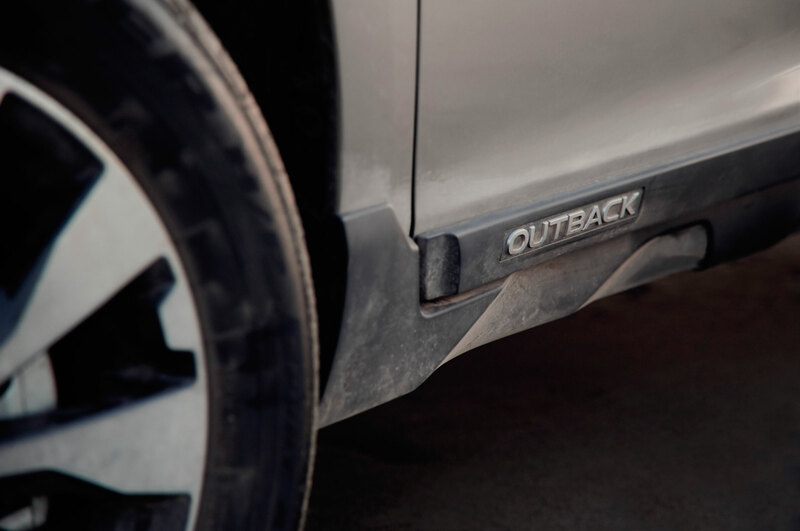 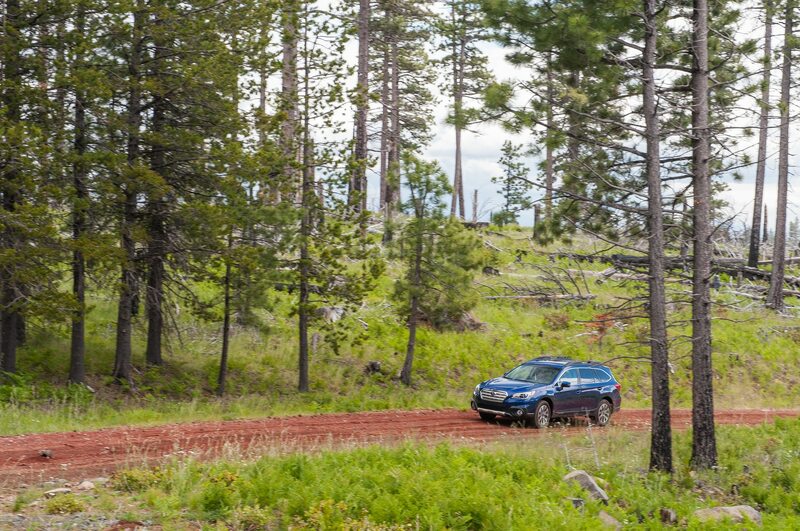 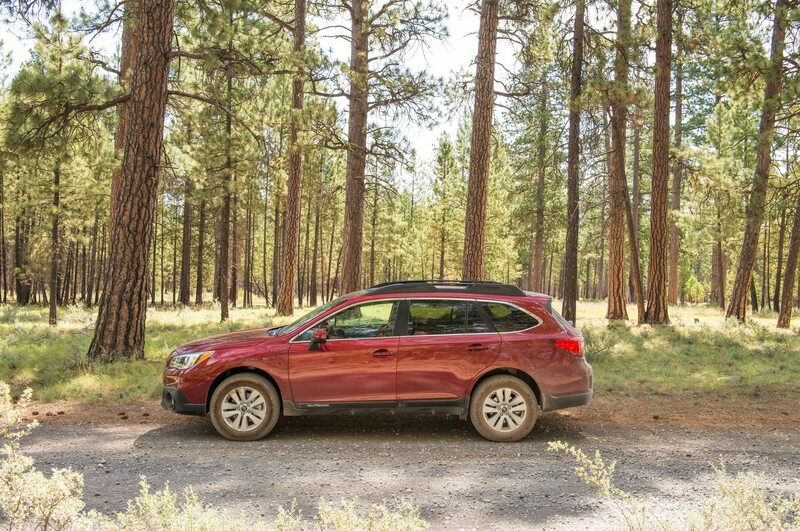 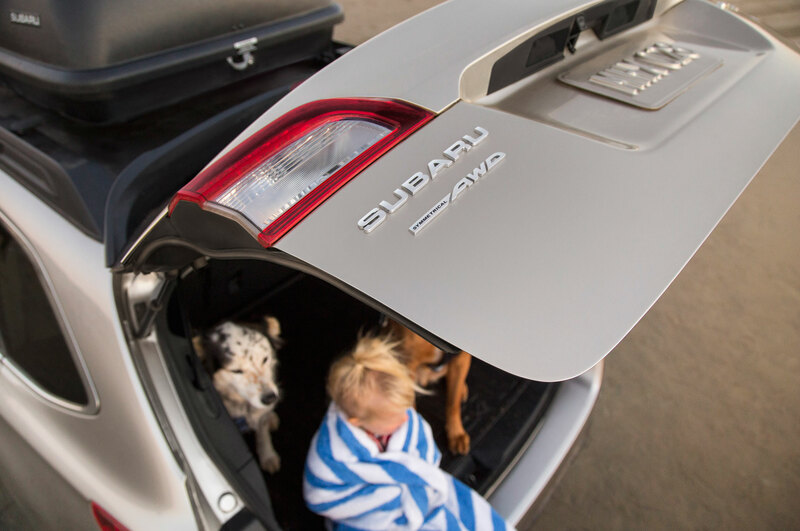 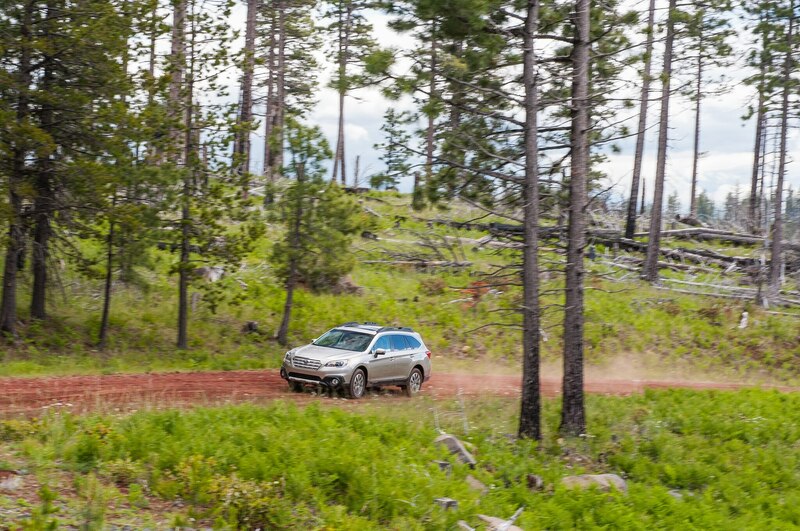 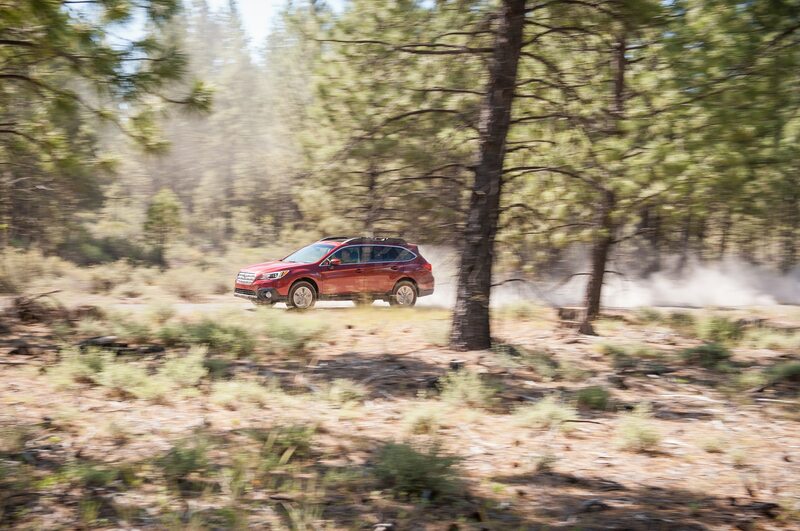 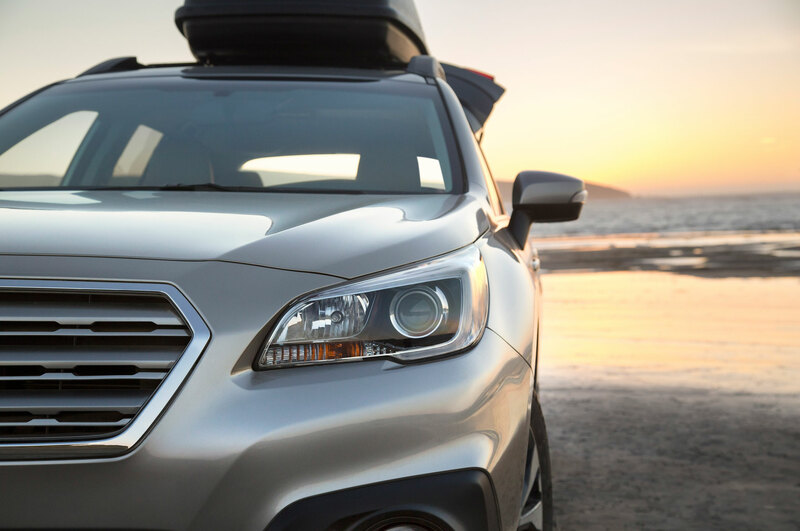 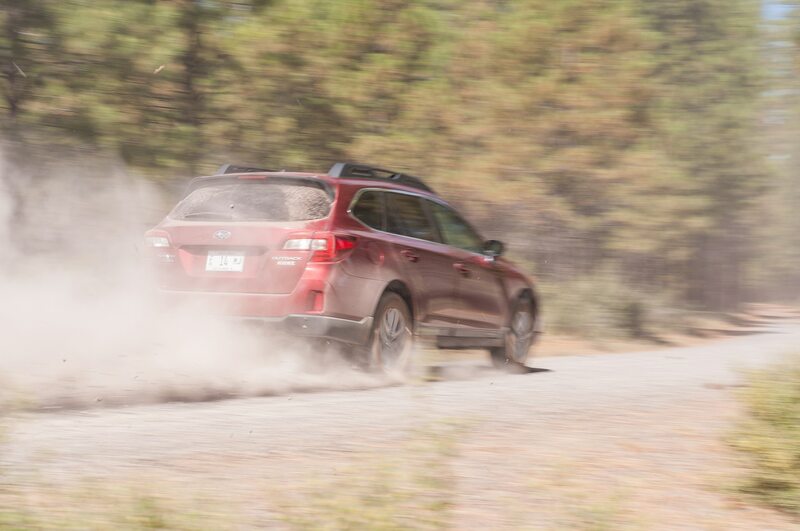 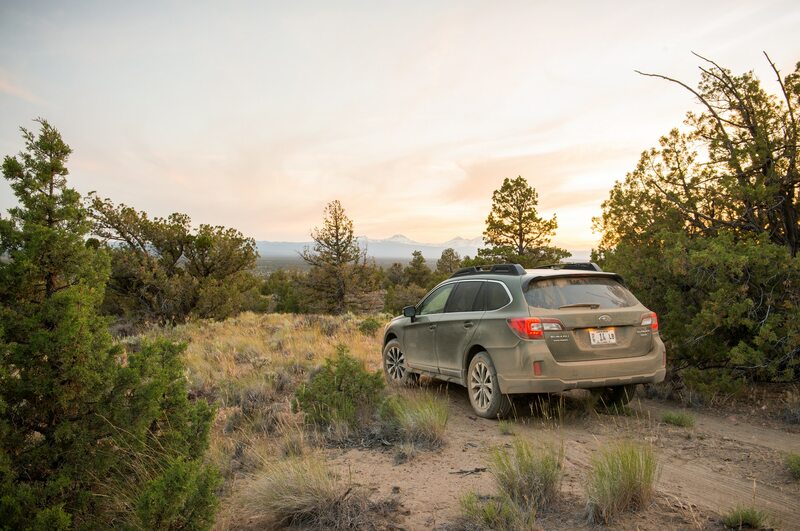 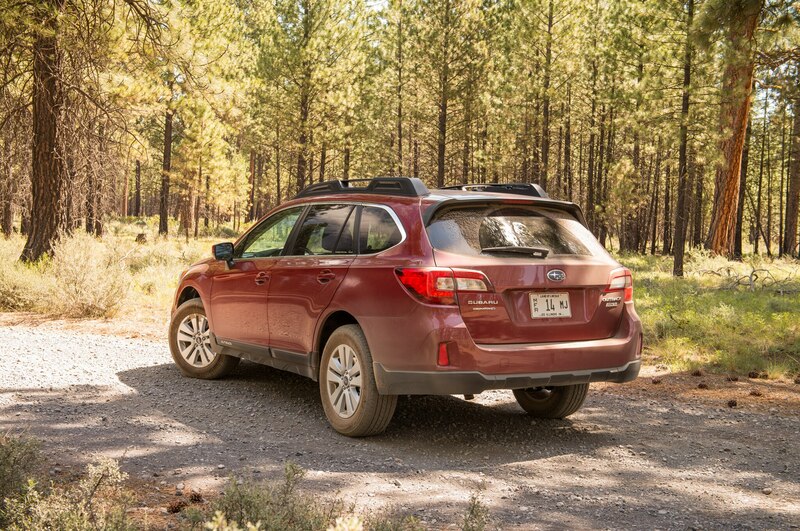 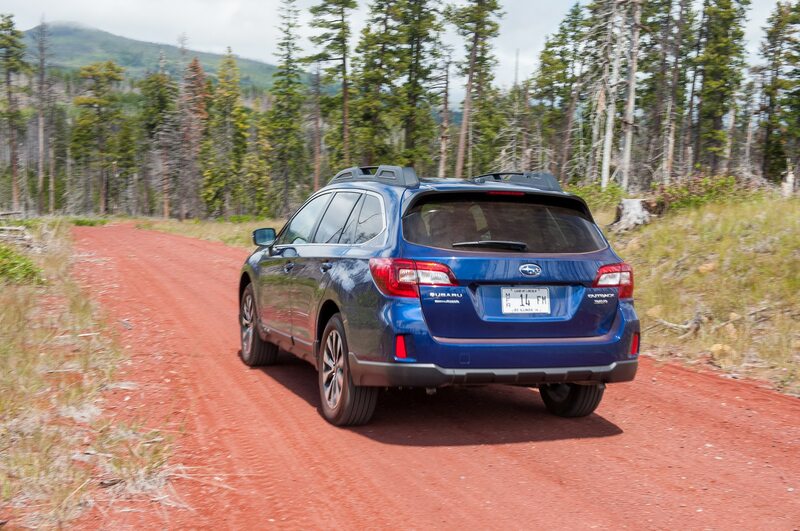 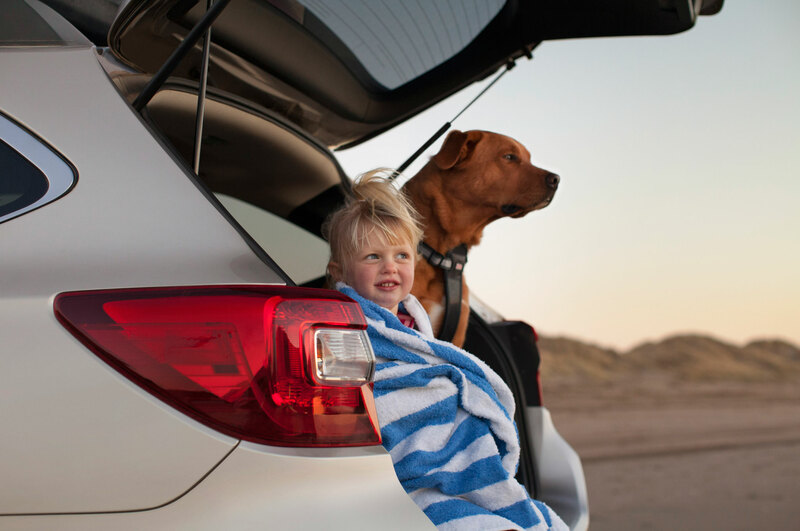 We imagine Outbacks loaded with muddy Golden Retrievers much more than Outbacks headed for a dressy date night on the town. 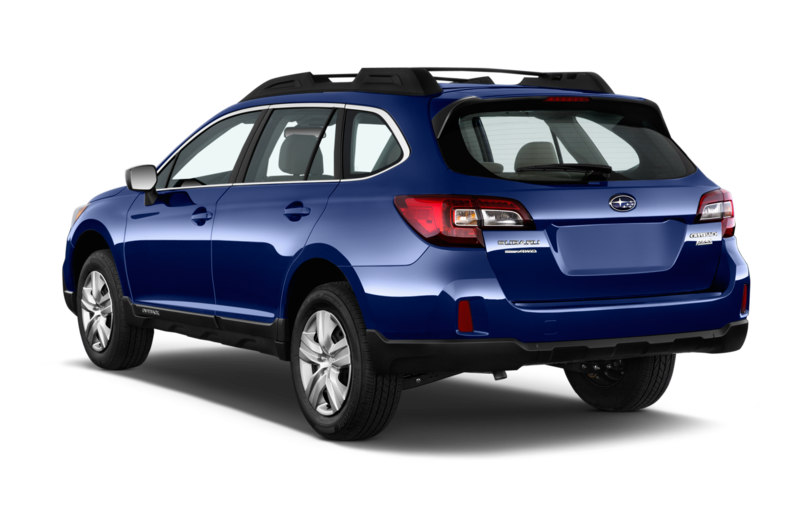 That’s not the case with the 2015 Subaru Outback 3.6R Limited, which has the upscale manners to match its $36,825 price tag. 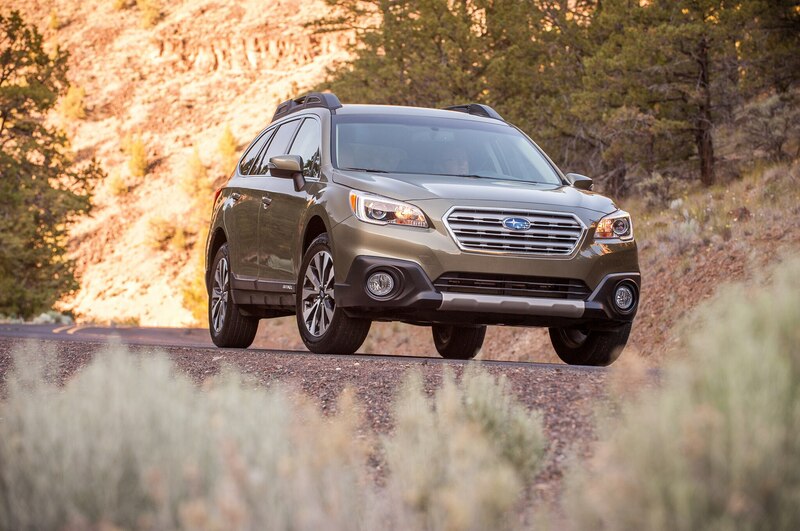 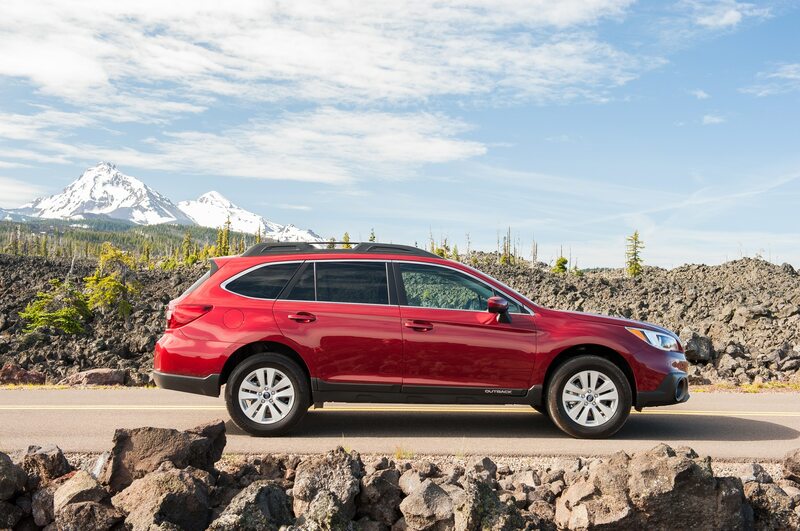 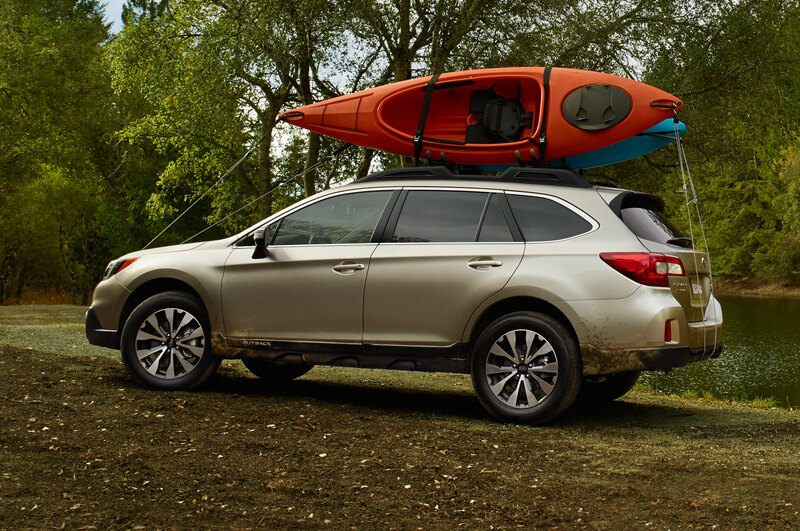 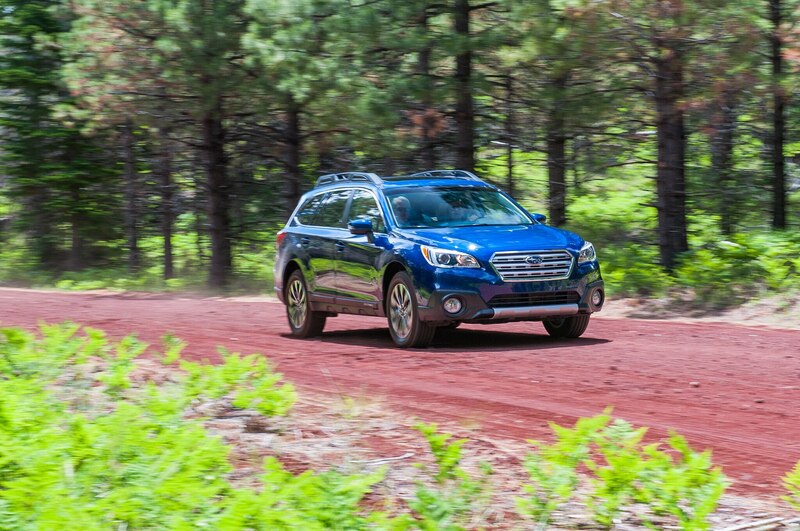 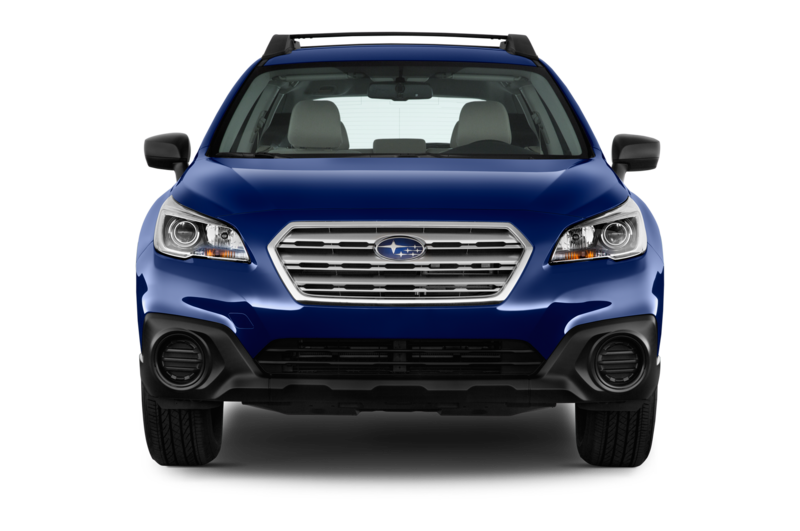 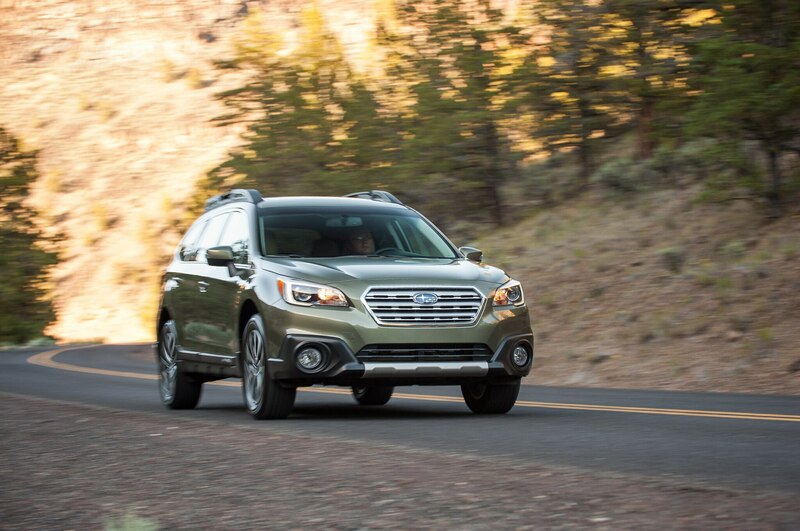 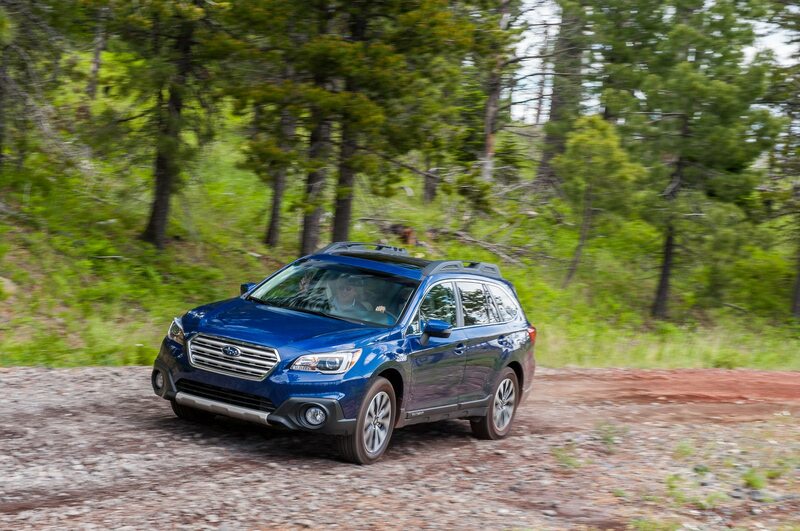 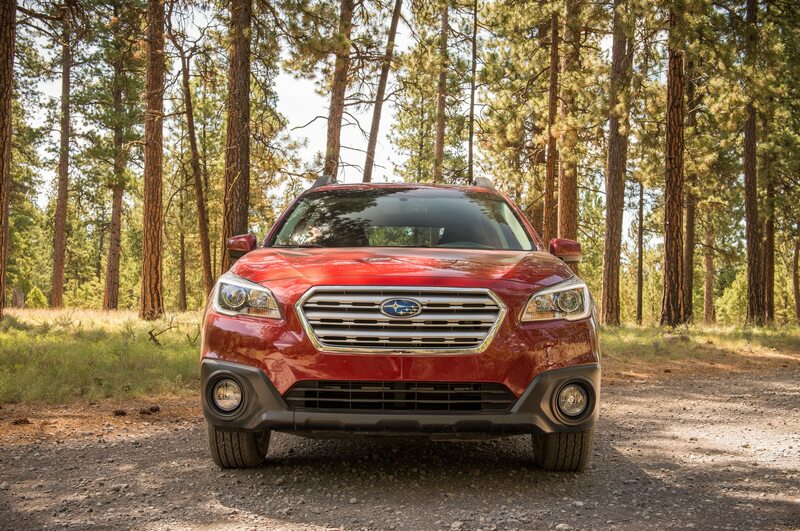 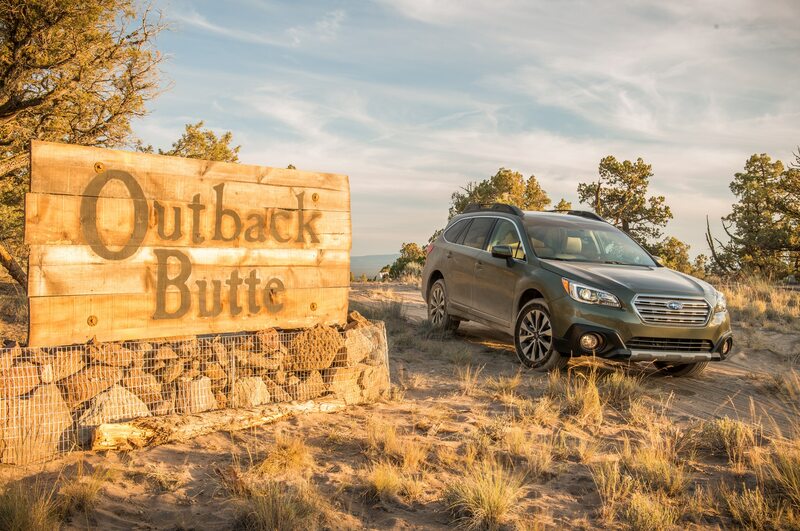 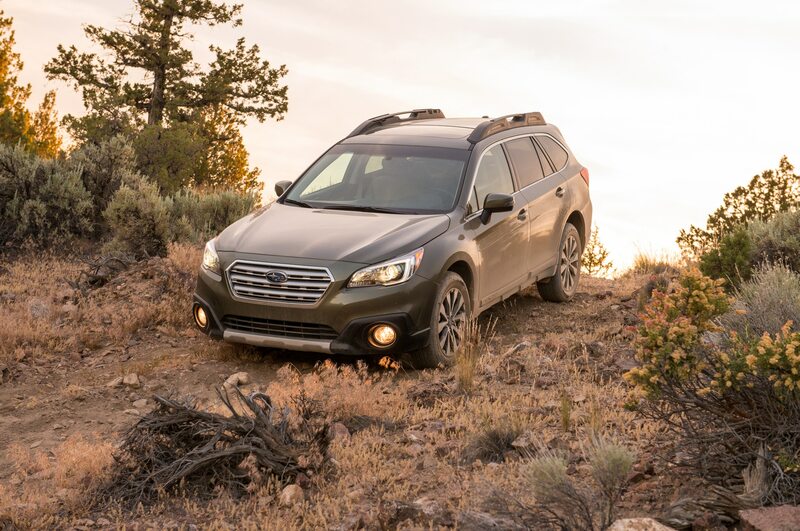 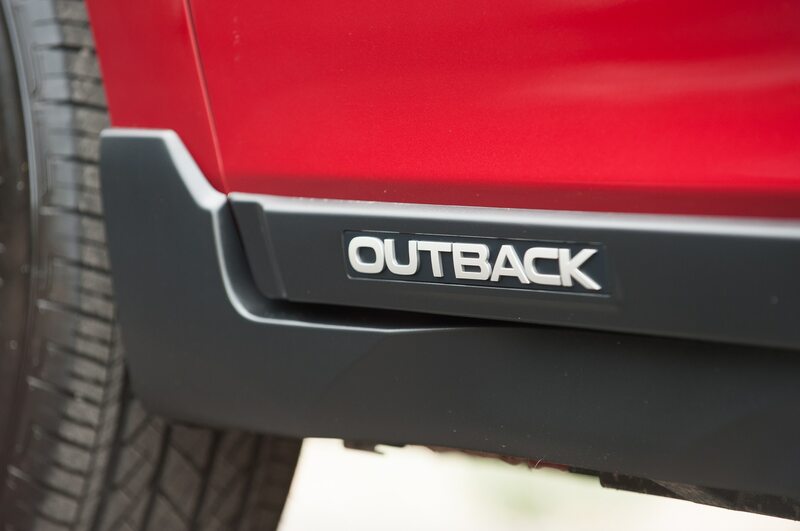 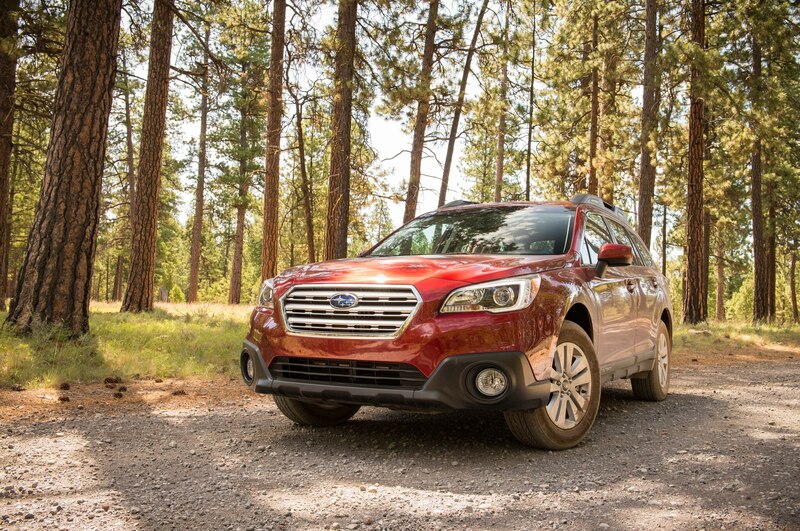 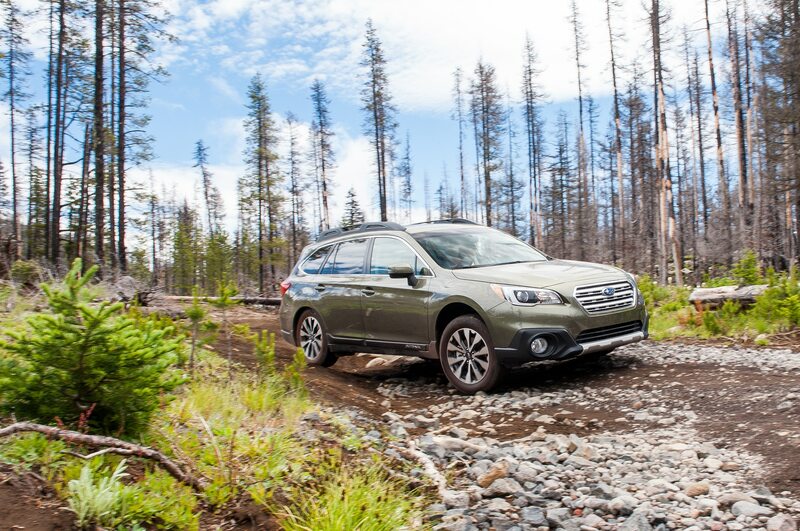 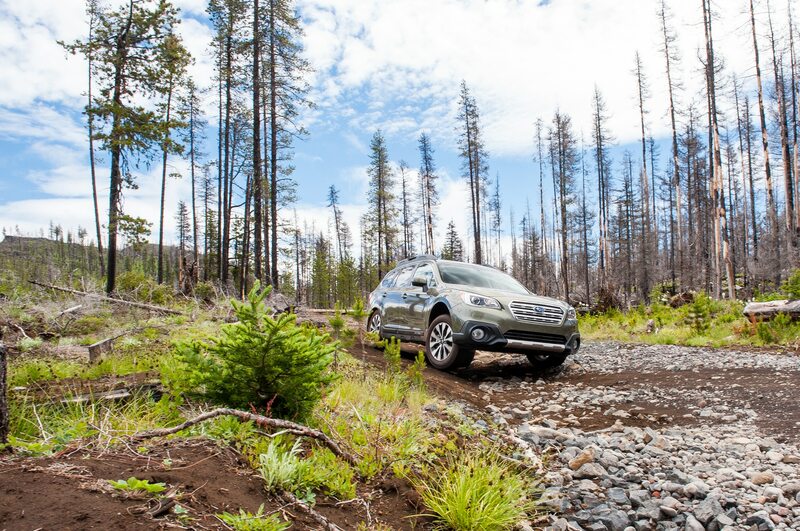 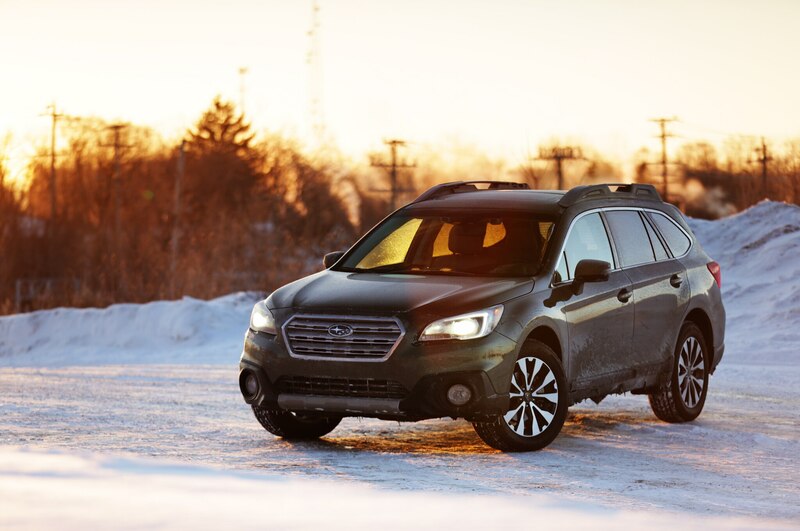 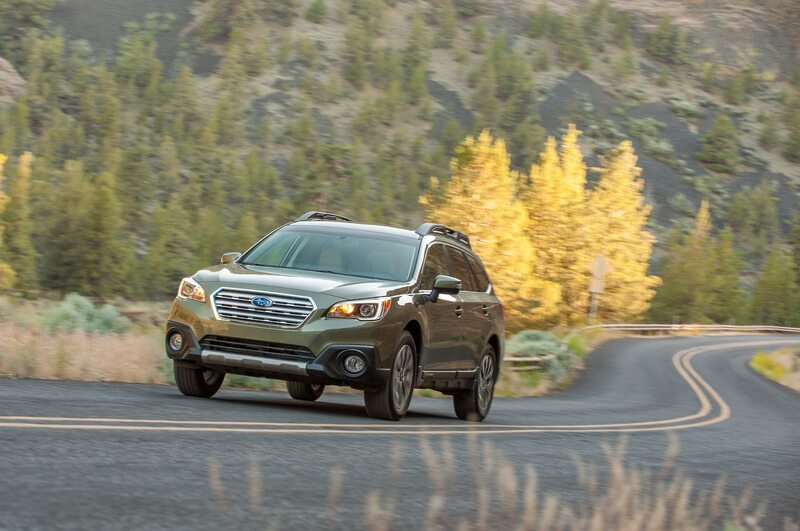 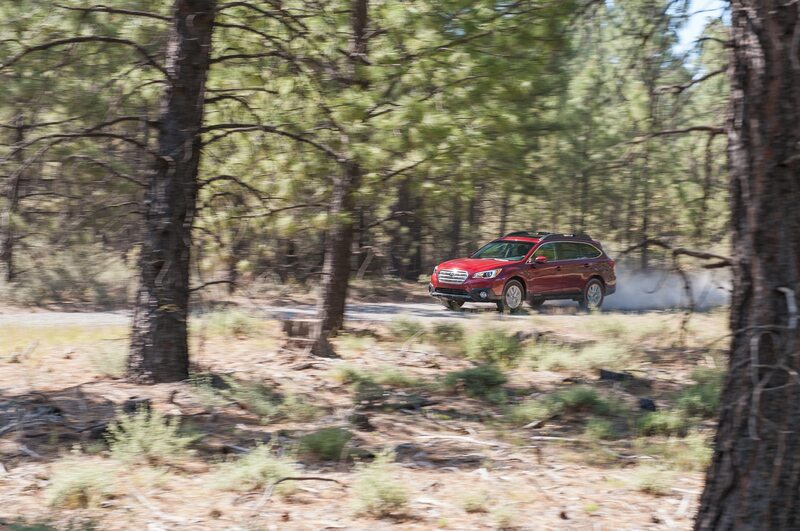 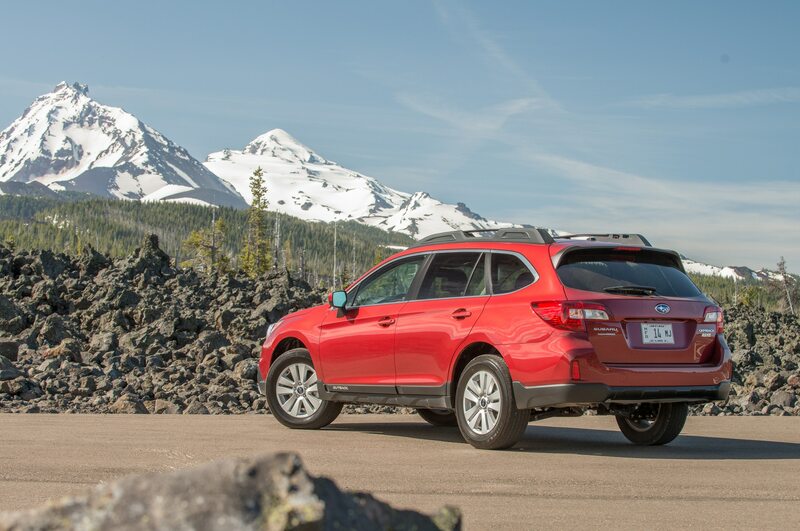 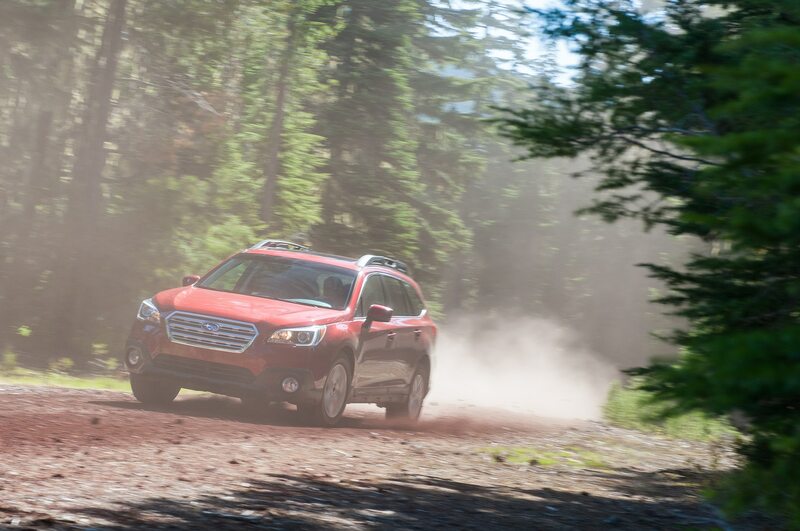 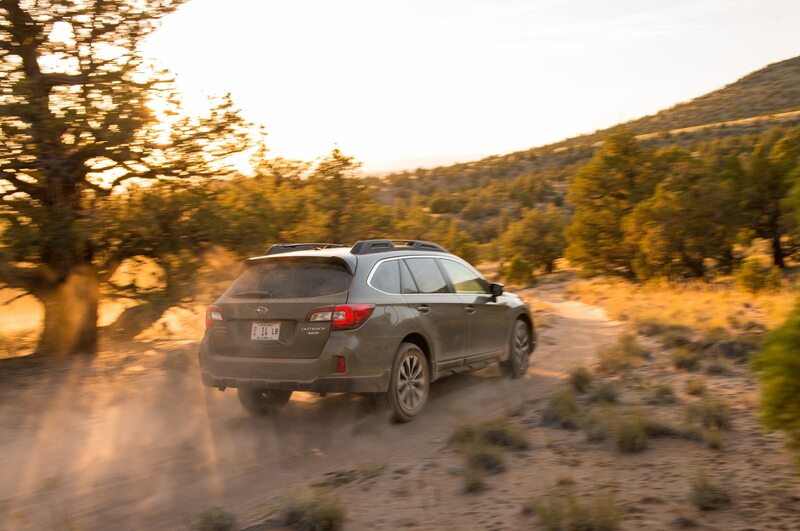 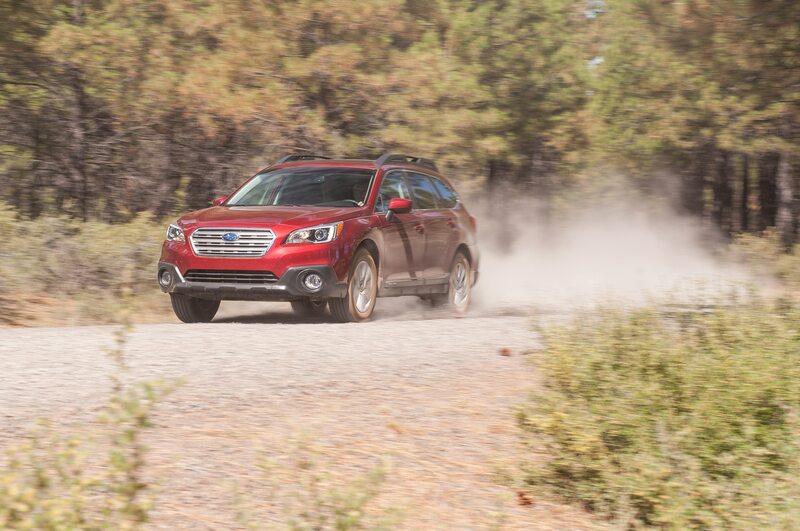 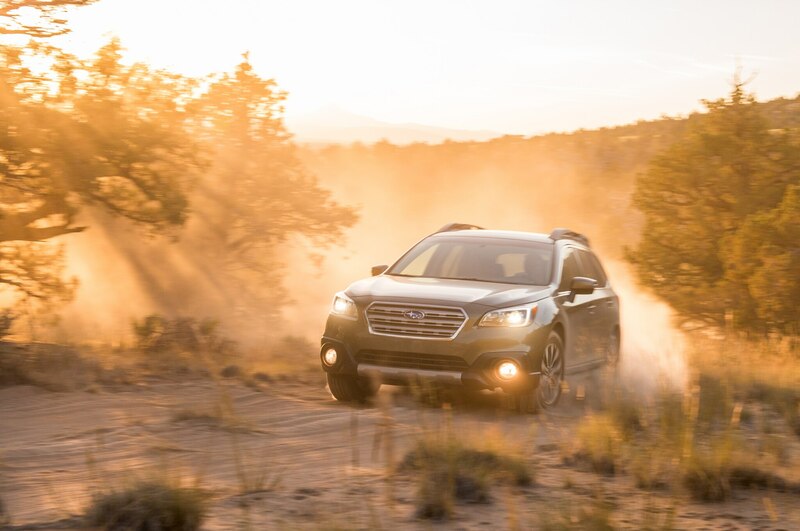 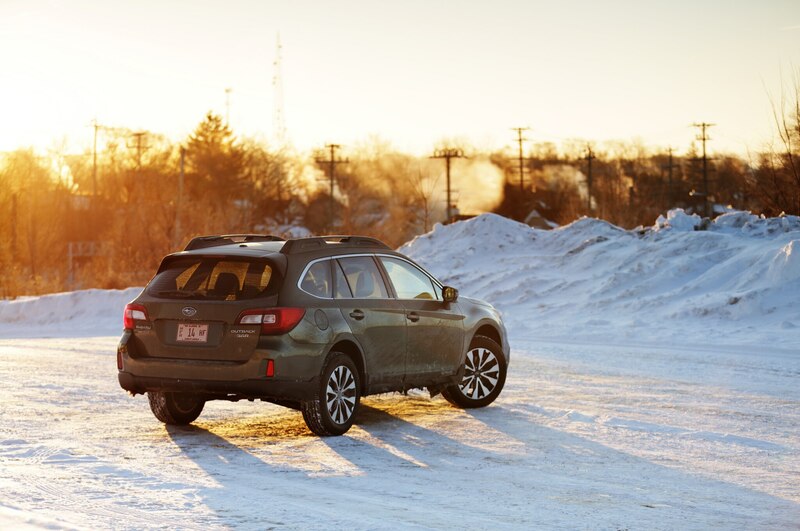 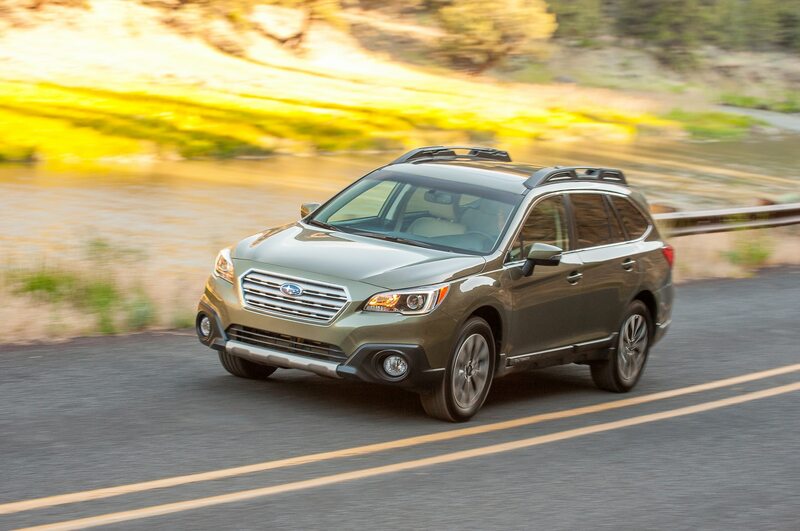 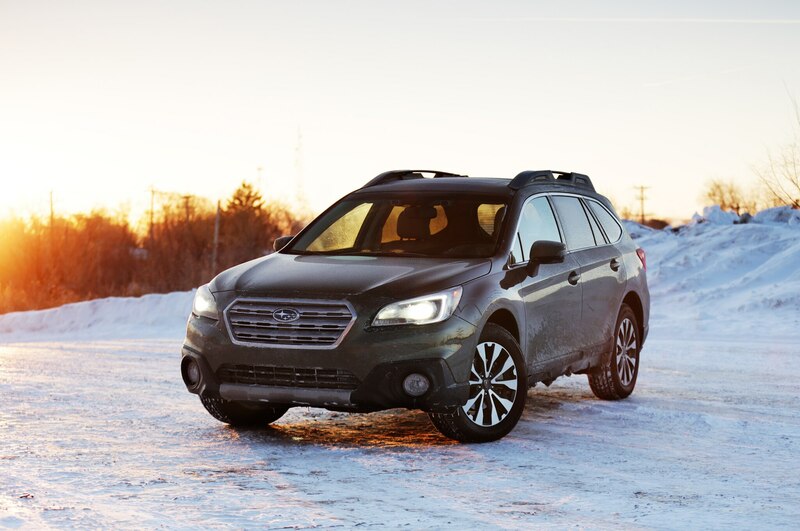 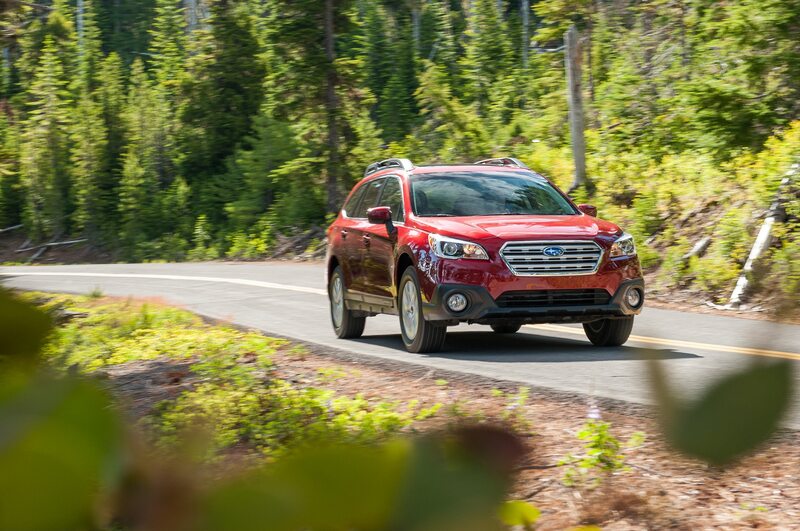 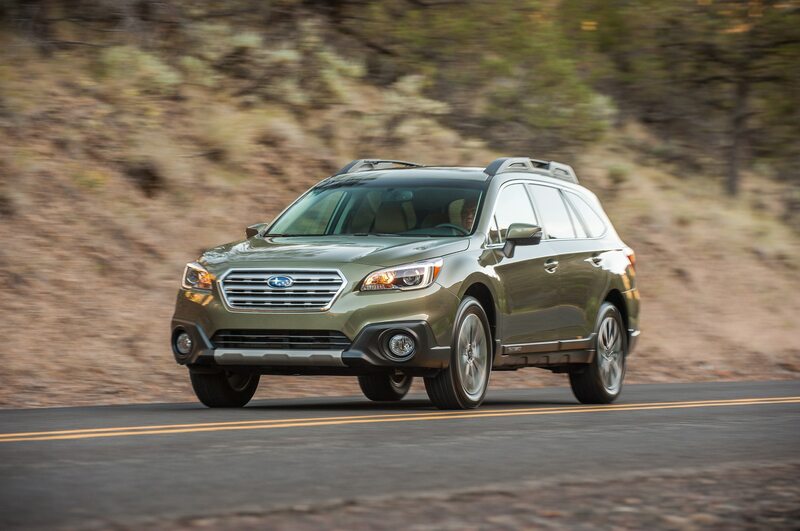 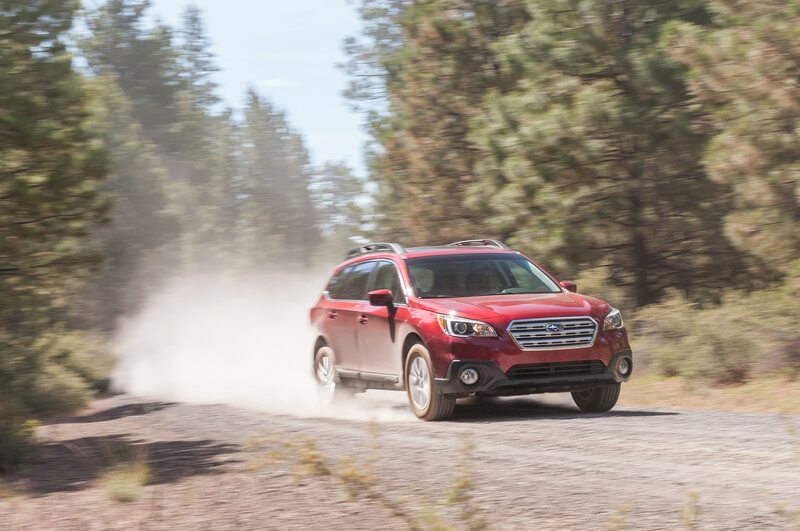 The newest Outback takes a step up in refinement with its quieter boxer engine, composed ride, and well-calibrated, unobtrusive continuously variable transmission. 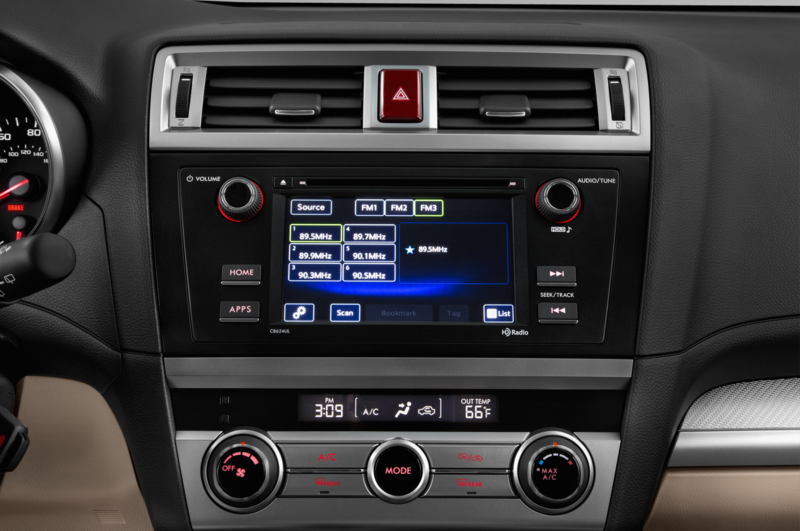 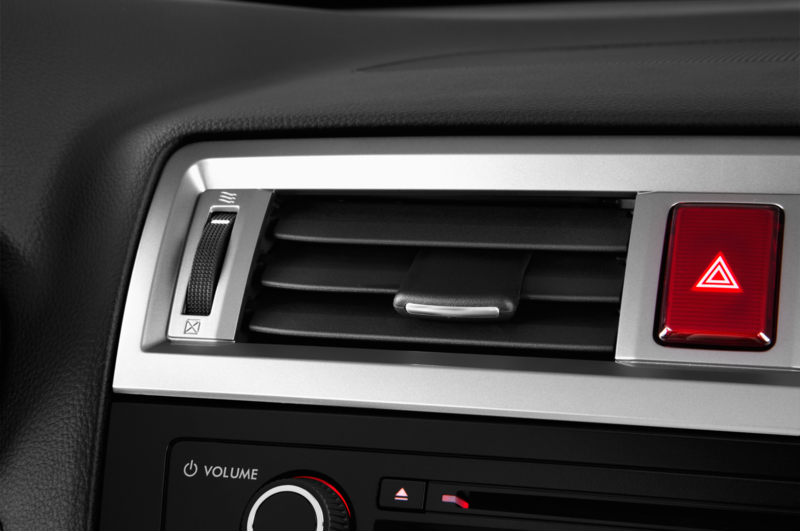 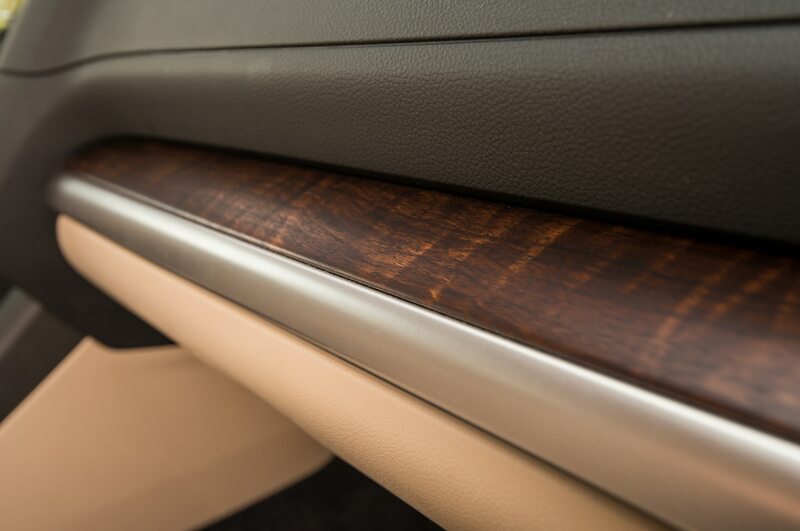 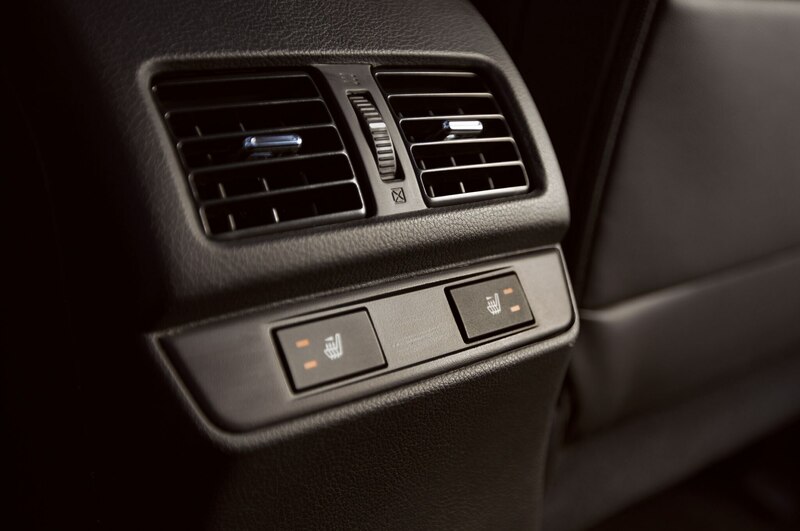 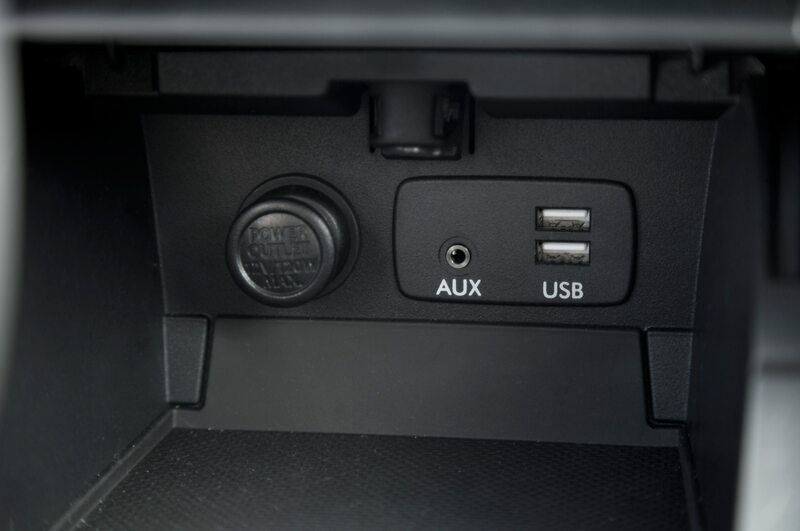 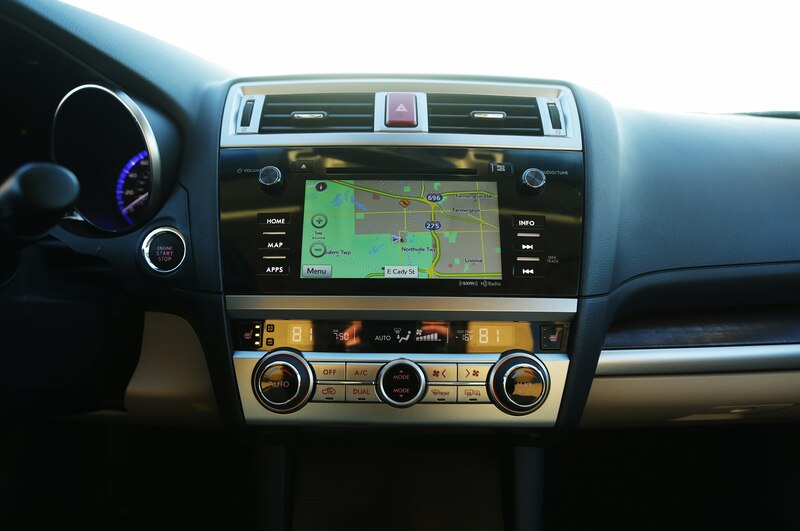 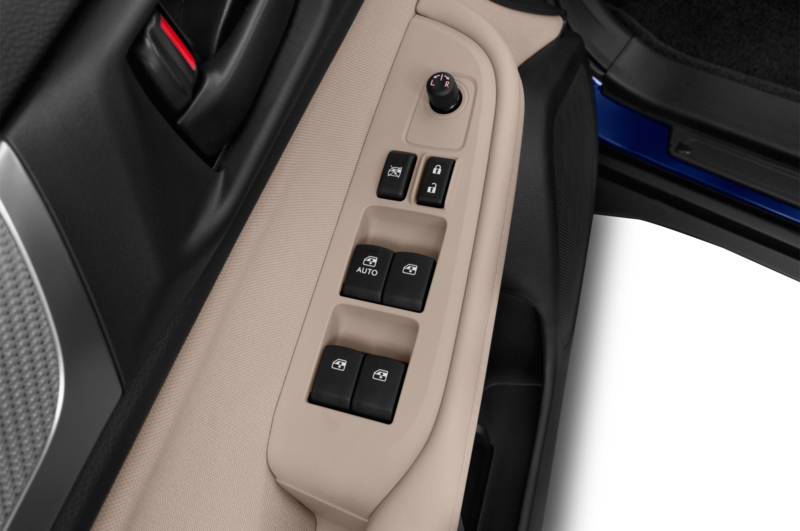 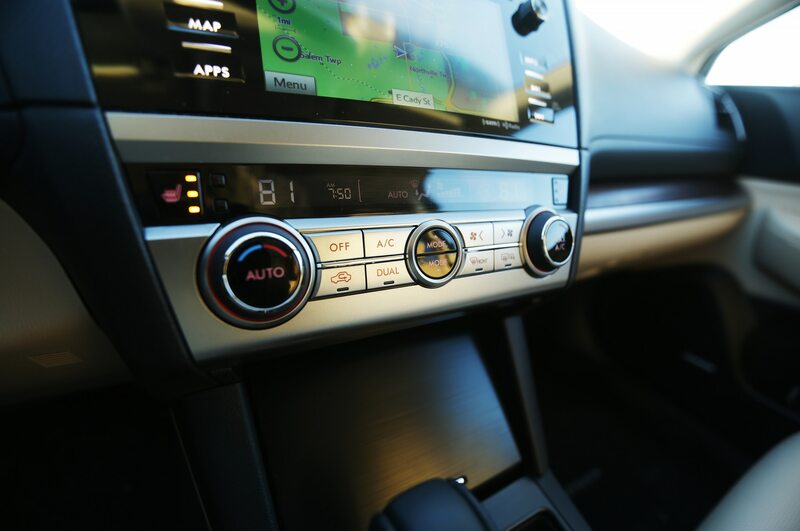 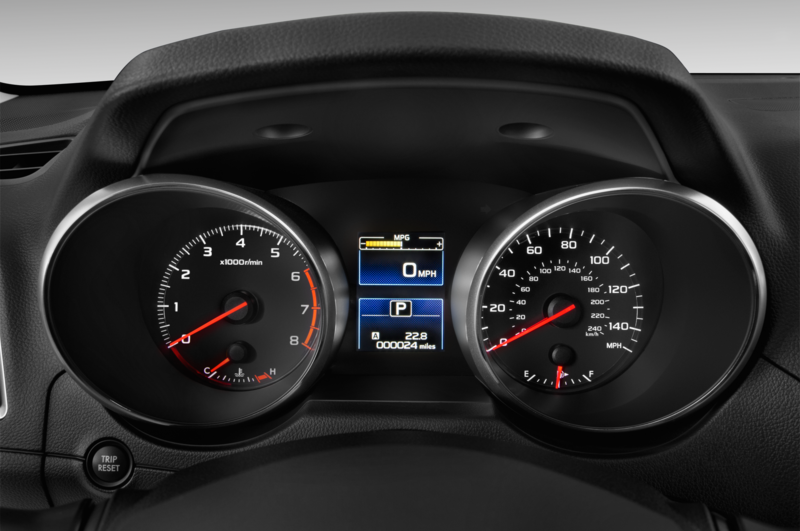 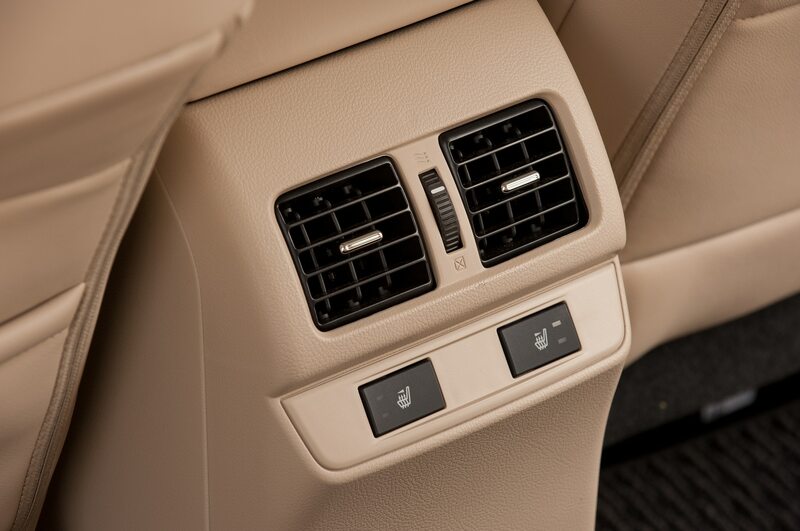 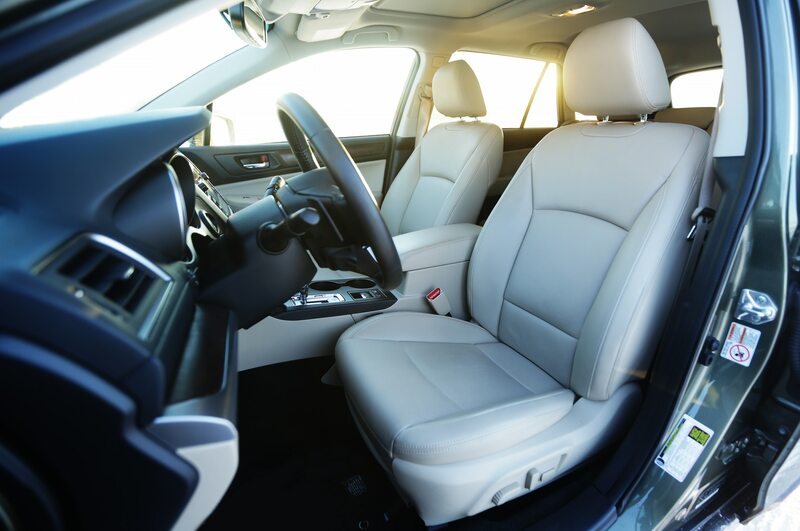 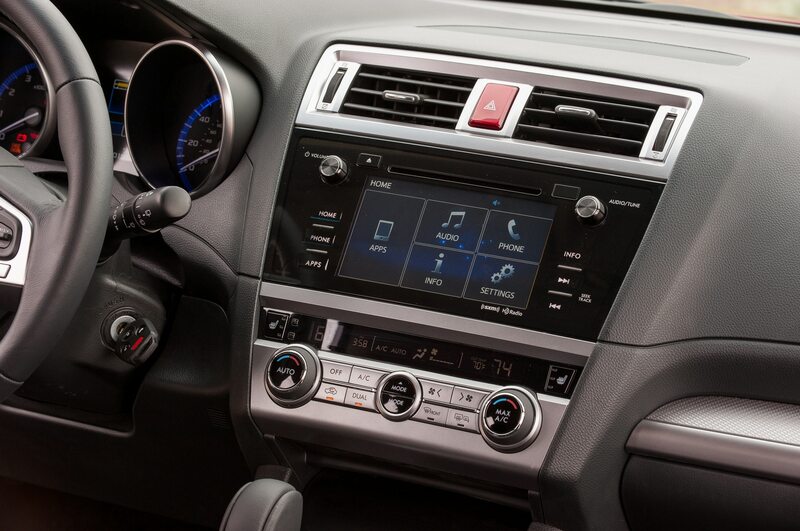 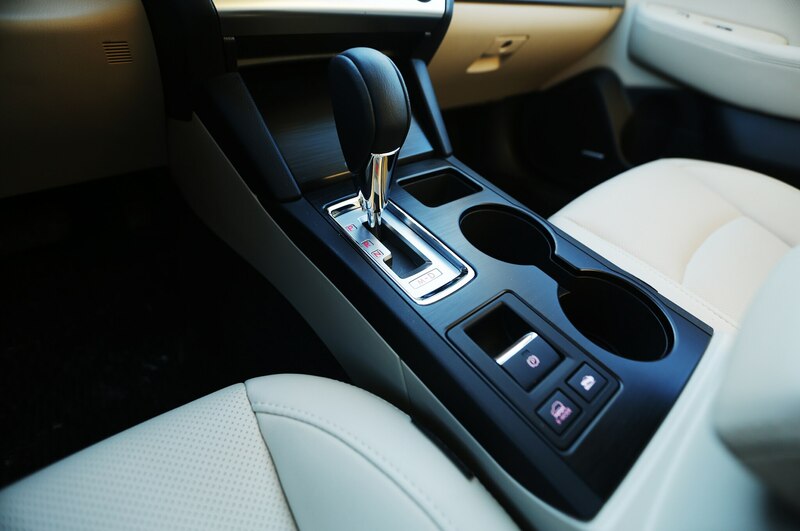 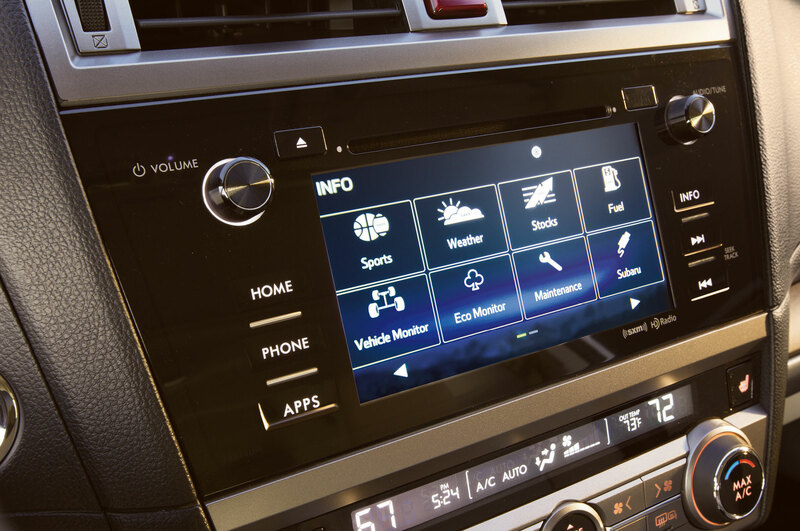 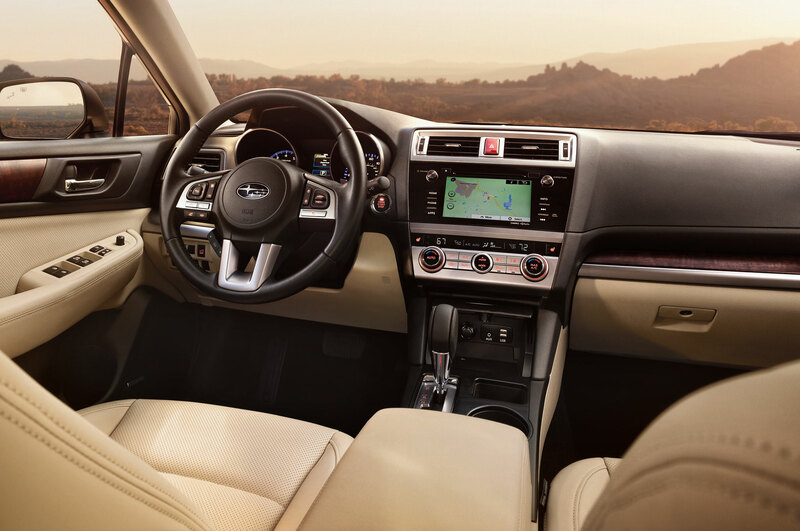 The classy interior digs, replete with matte wood trim that wouldn’t look out of place in an Audi, also feature an intuitive, capable new infotainment system and a full suite of EyeSight active safety features. 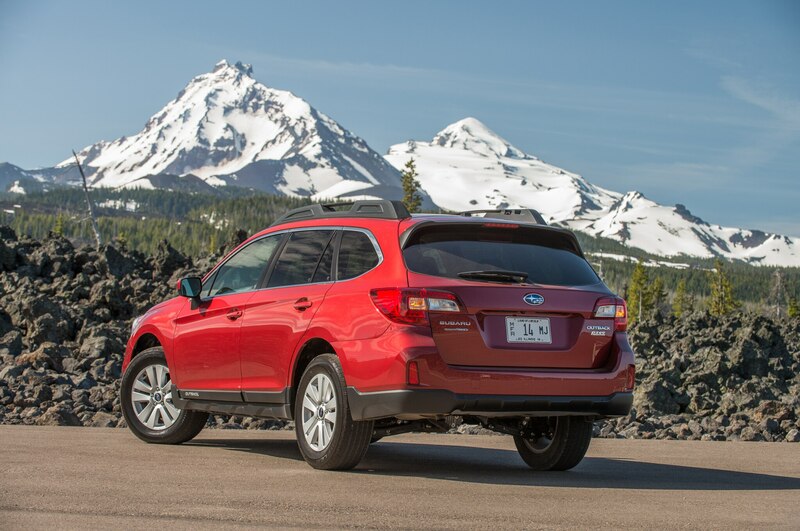 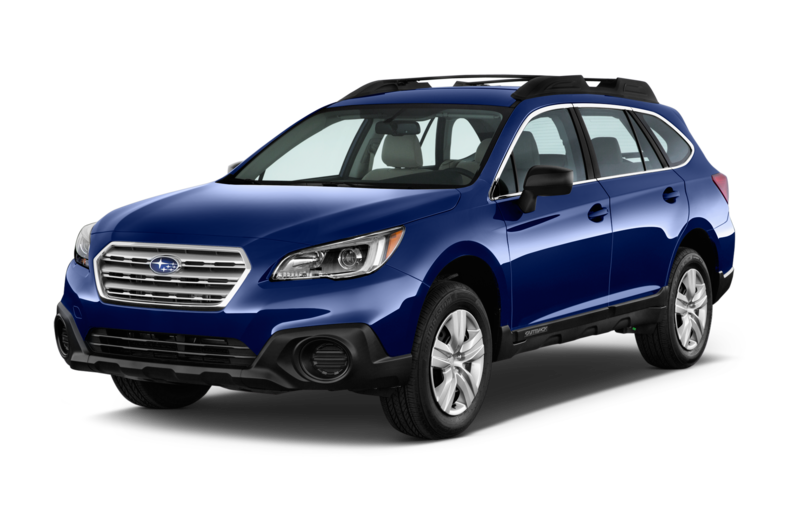 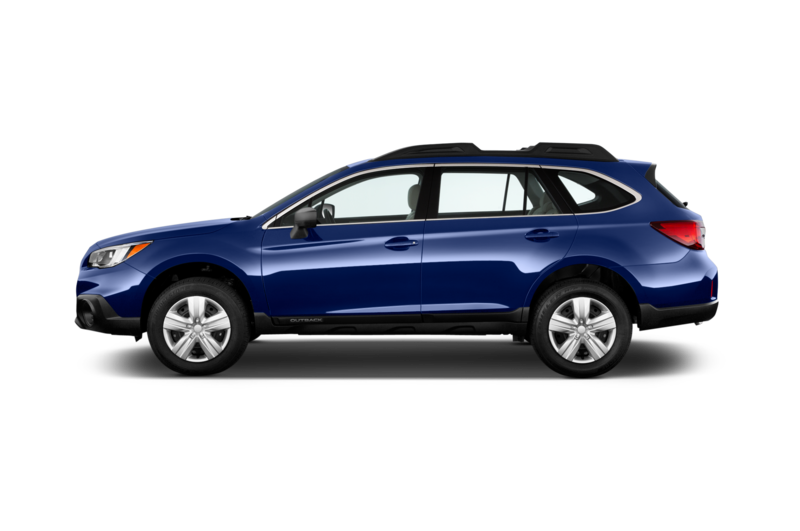 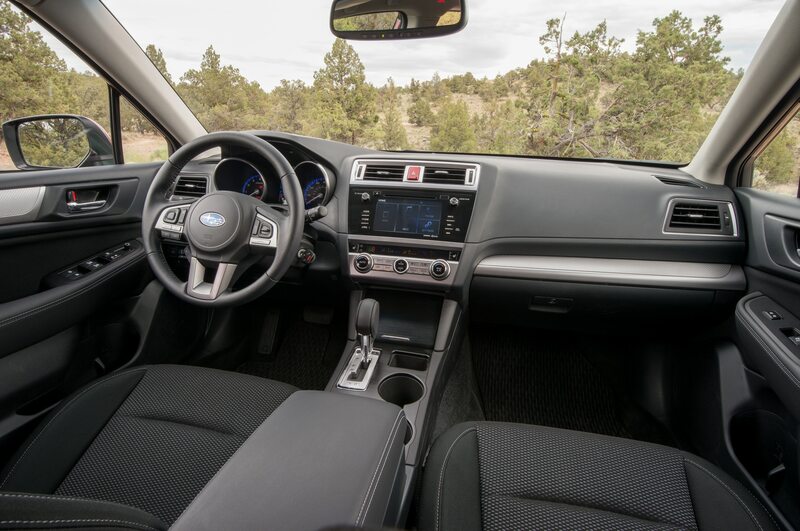 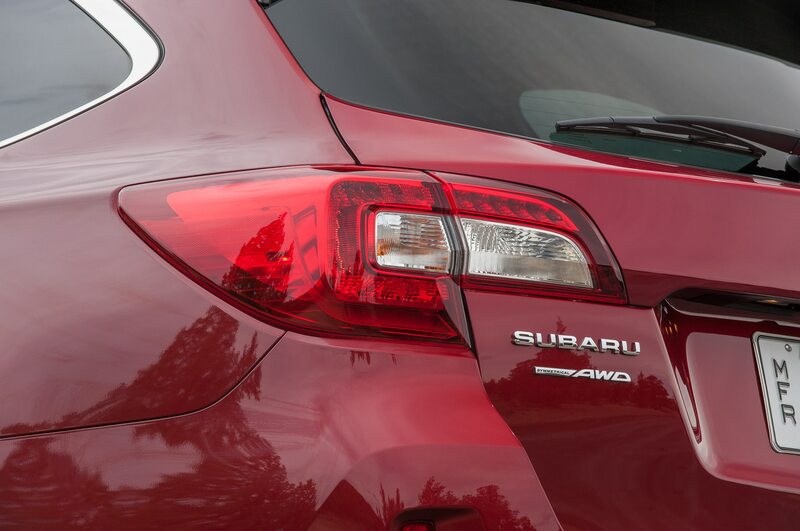 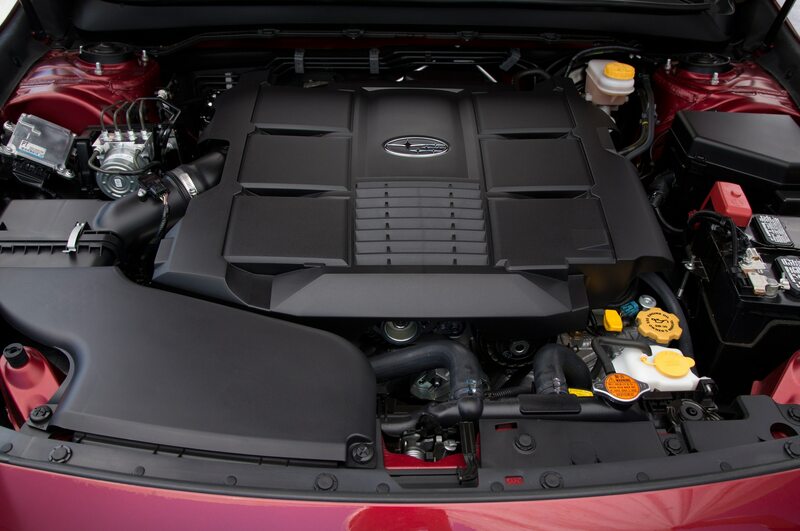 This is relatively new territory for Subaru, but the real surprise came when we found similar polish and poise in a four-cylinder 2015 Subaru Outback 2.5i Premium that cost $6,724 less. 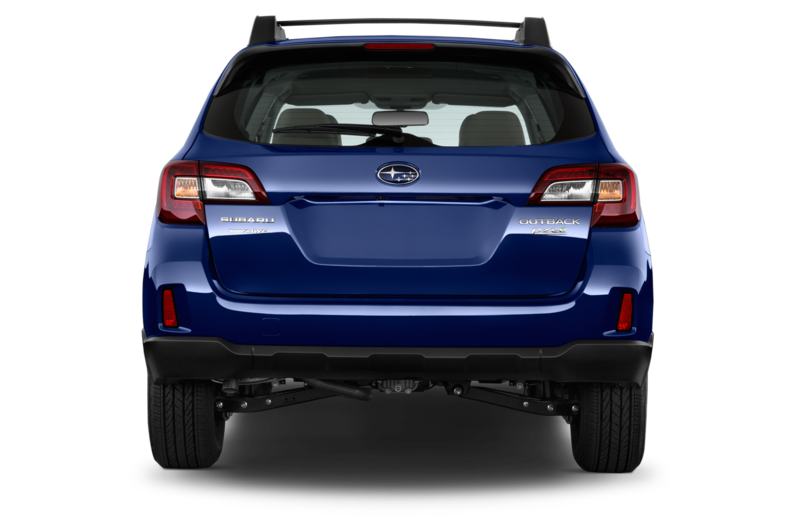 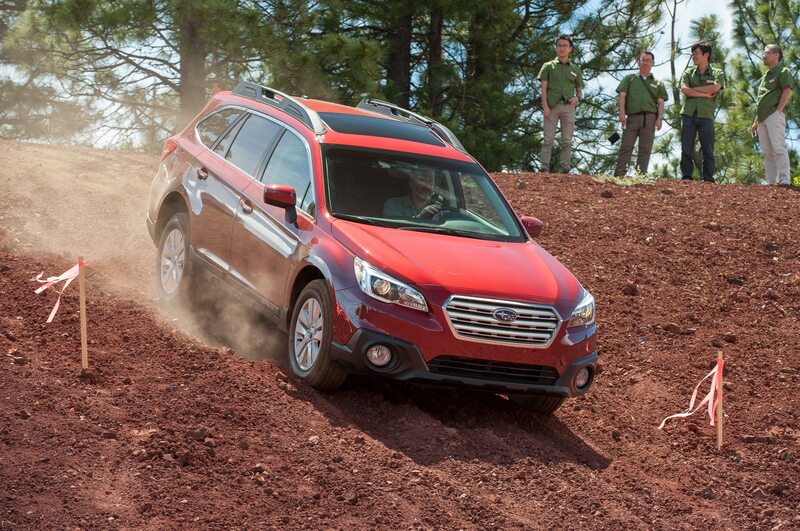 At first, this more plebeian Outback seemed closer to Subaru’s roots with its cloth seats and rubber floormats. 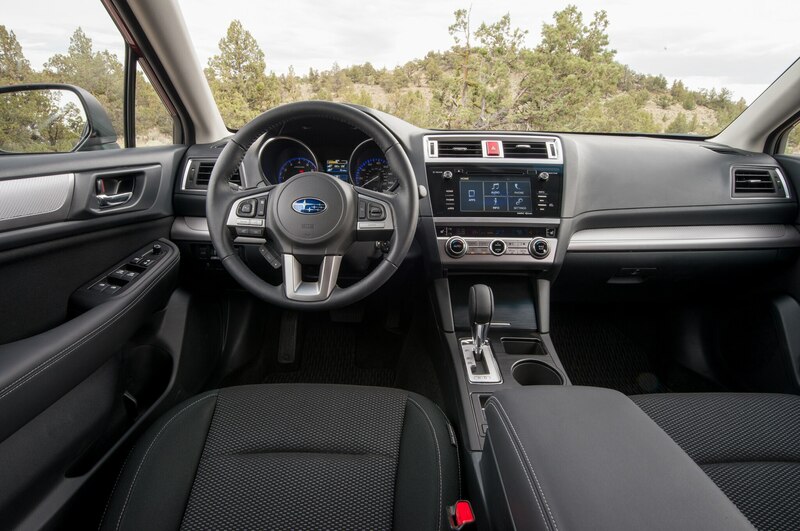 But it still had the same quiet, comfortable ride, high-quality interior materials, and responsive infotainment interface as the six-cylinder 3.6R. 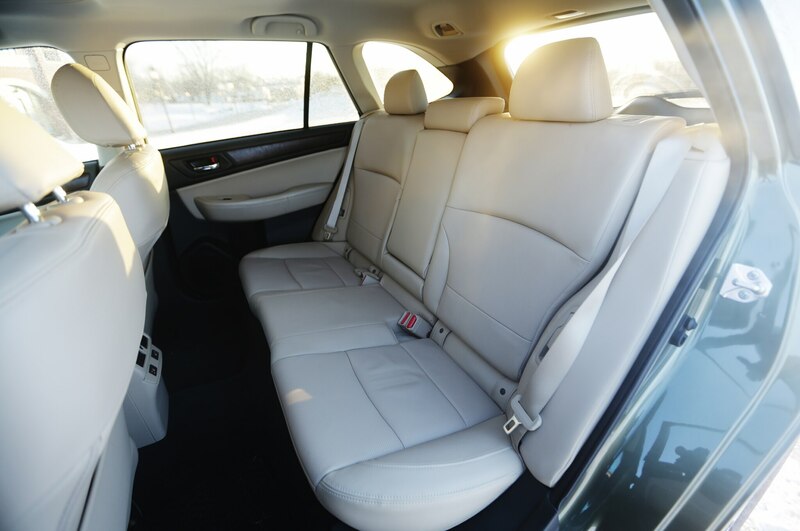 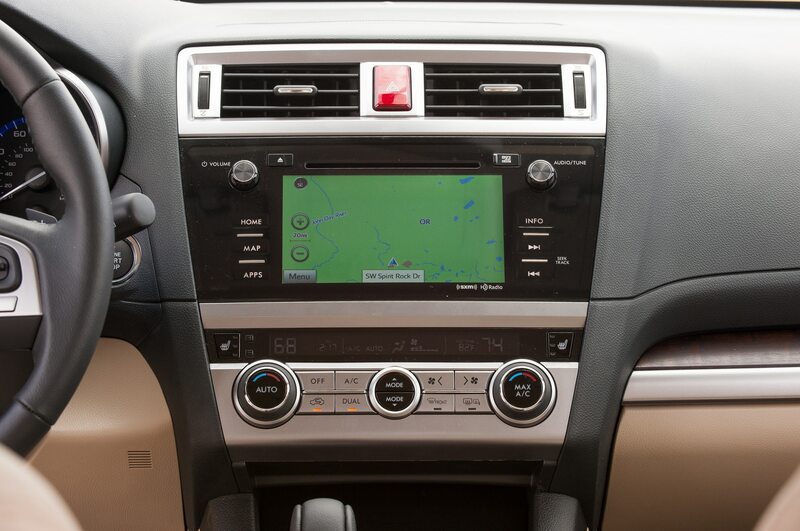 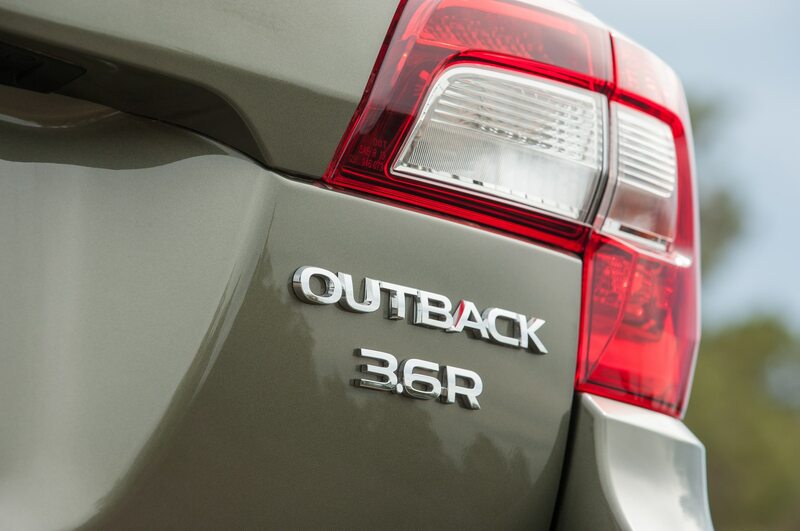 And despite its lower price tag, the Outback 2.5i still had a healthy load of features including heated seats, a power tailgate, and the optional EyeSight active safety features. 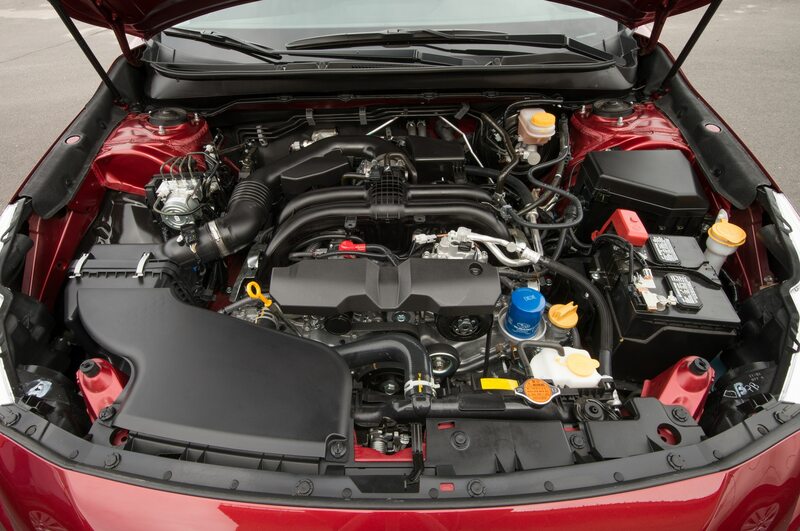 Sure, the four-cylinder has 81 fewer horses, but we’re more than willing to give up the extra grunt when the 2.5i delivered 28.4 mpg observed to the 3.6R’s 23.0 mpg as indicated. 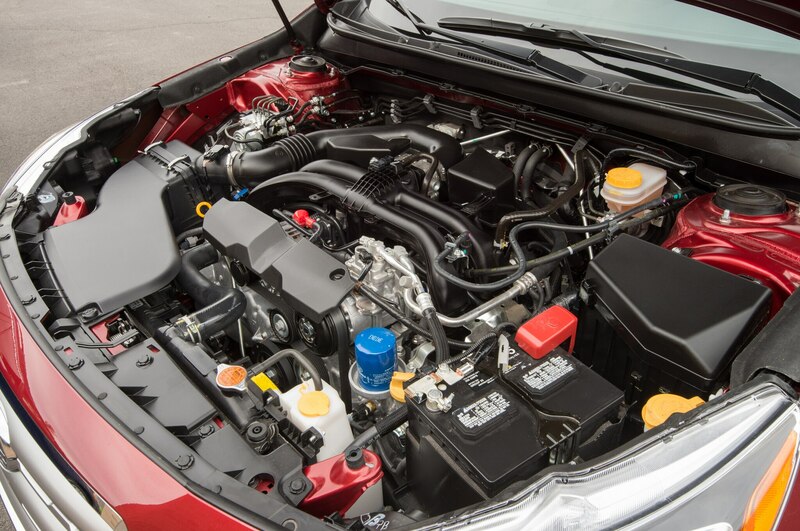 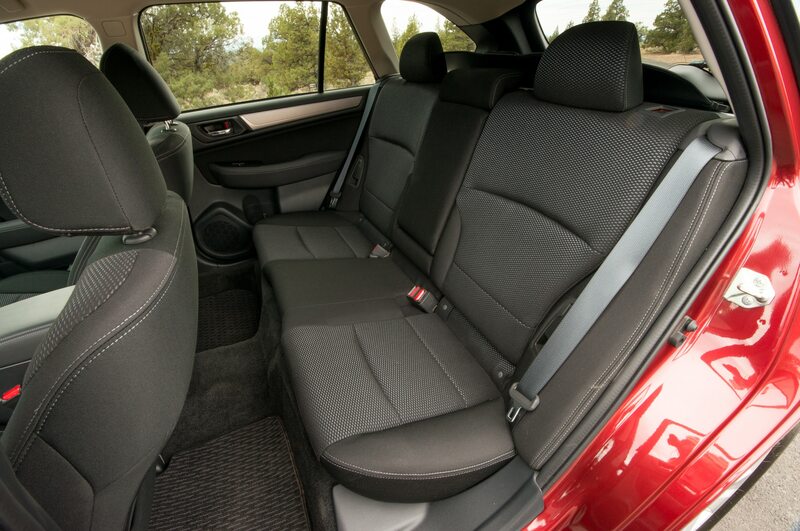 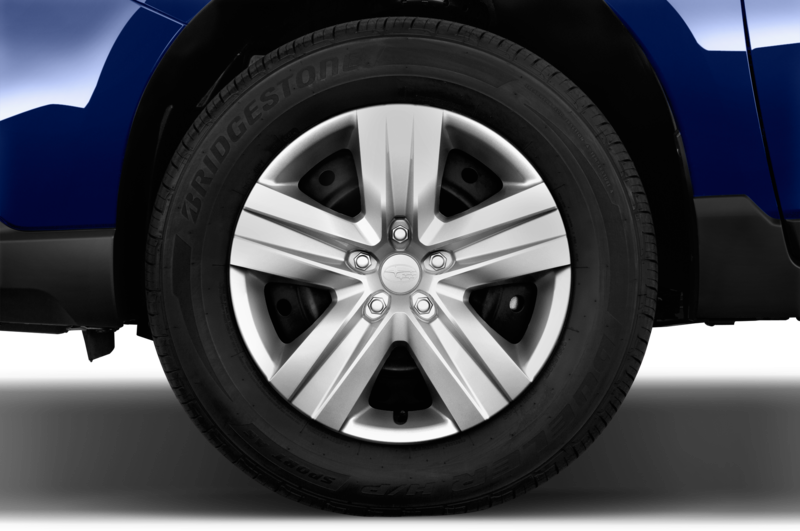 The 2.5i’s 175 hp is more than adequate in a family-oriented wagon, especially in partnership with the new CVT. 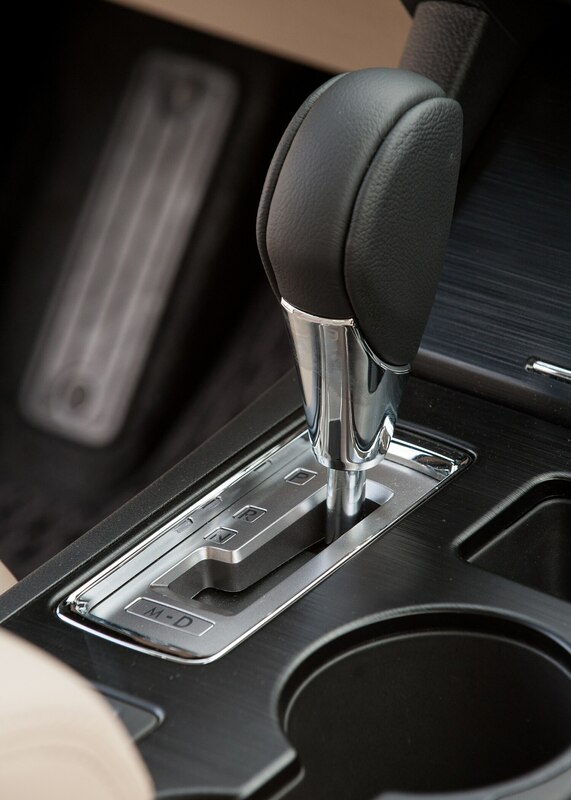 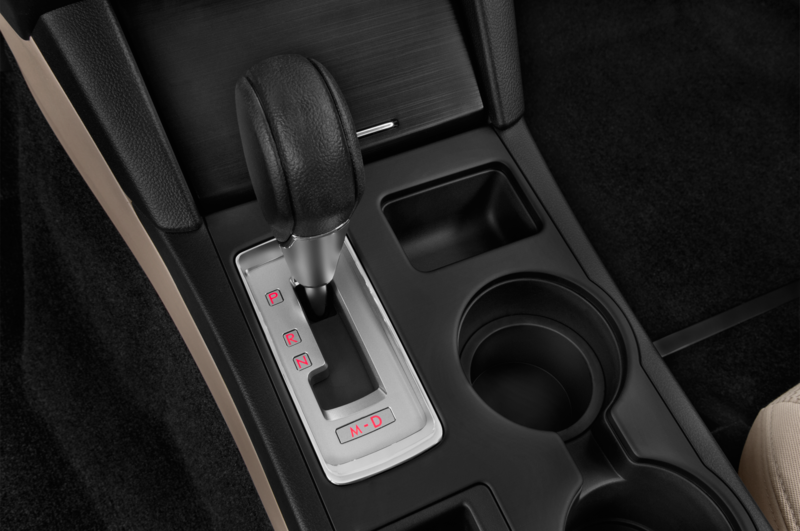 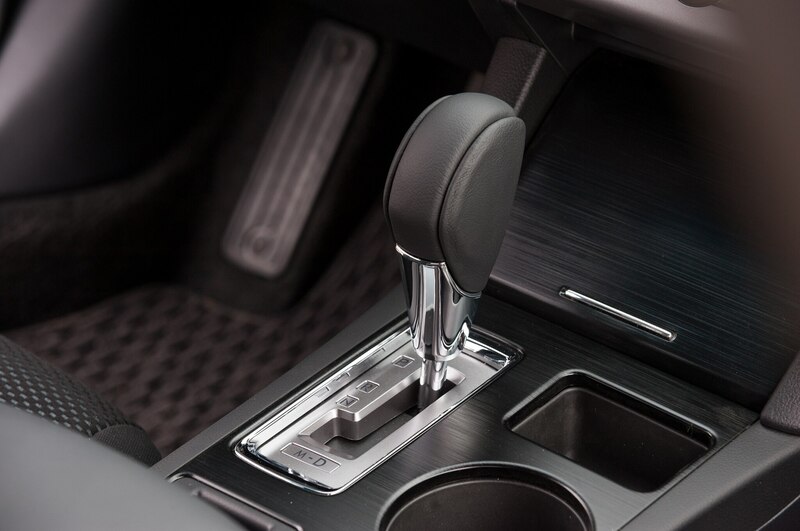 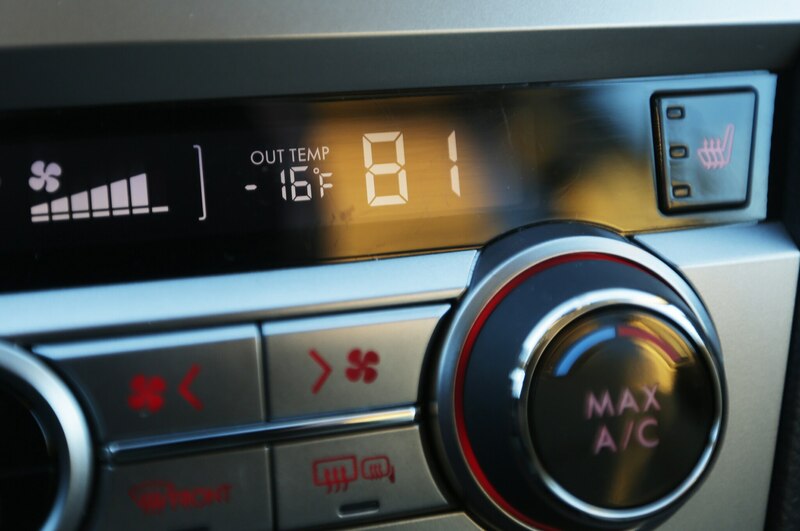 This retuned transmission simulates the shifting of a conventional automatic and makes the powertrain feel more eager and responsive. 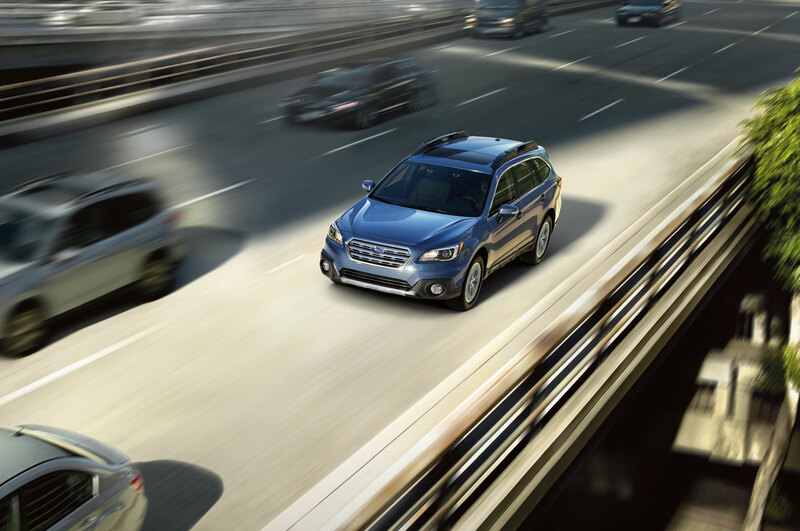 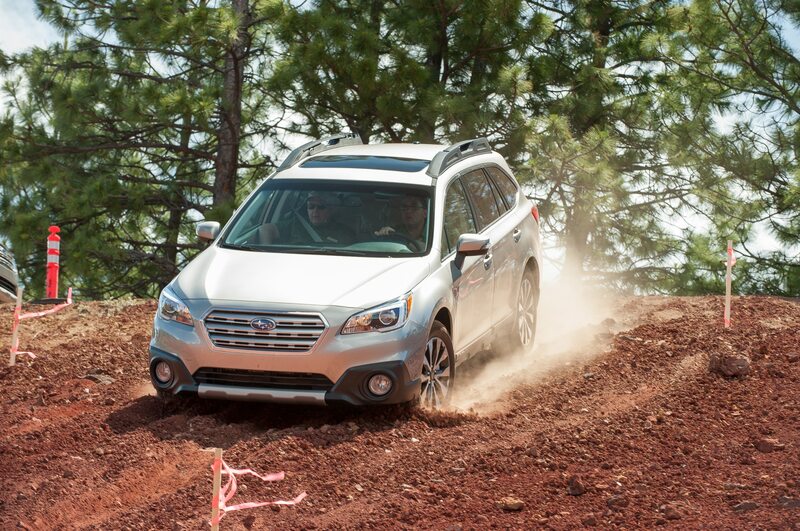 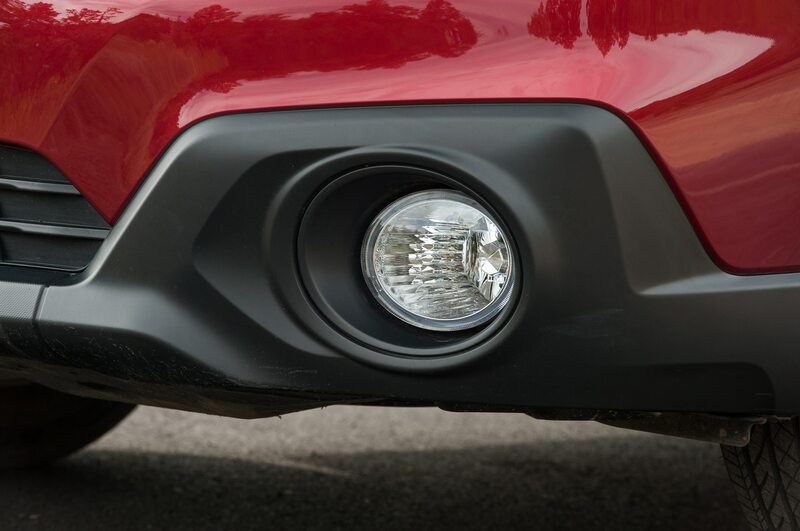 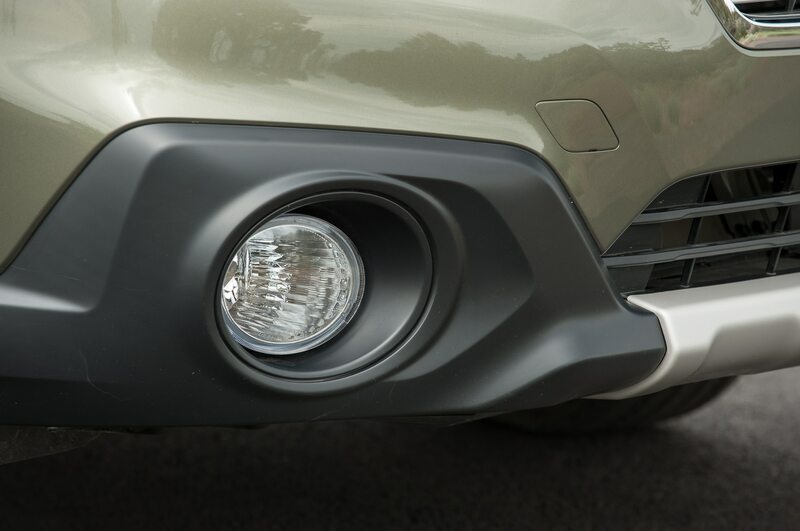 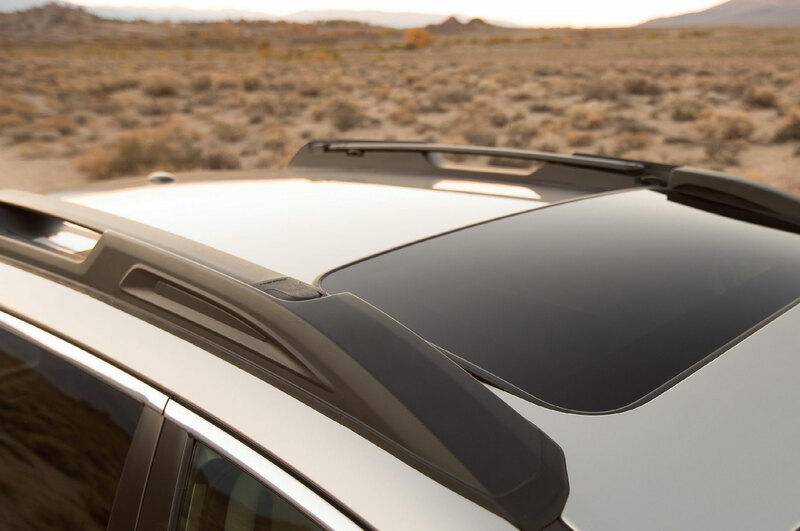 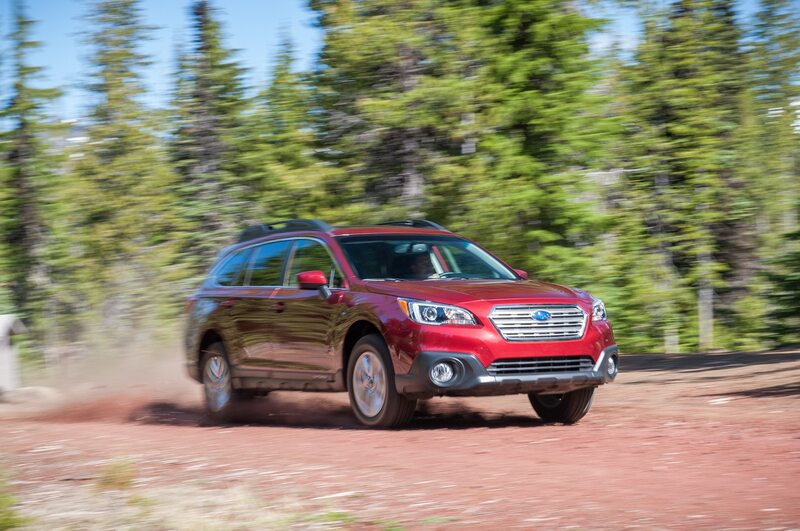 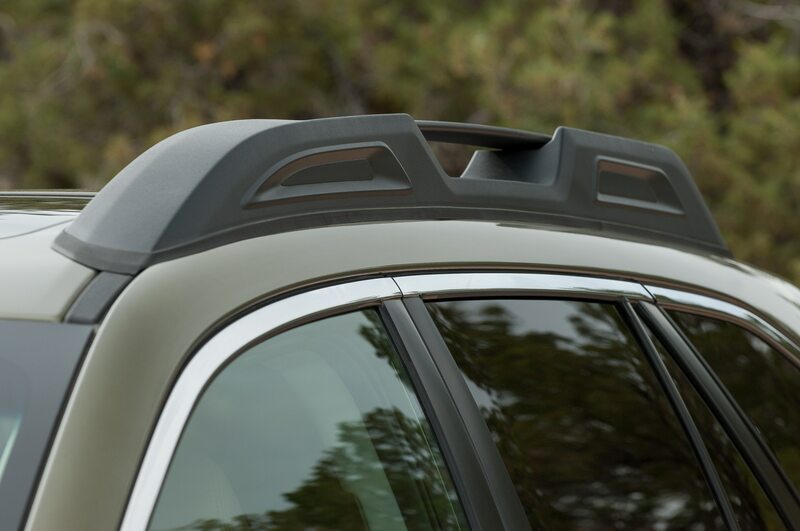 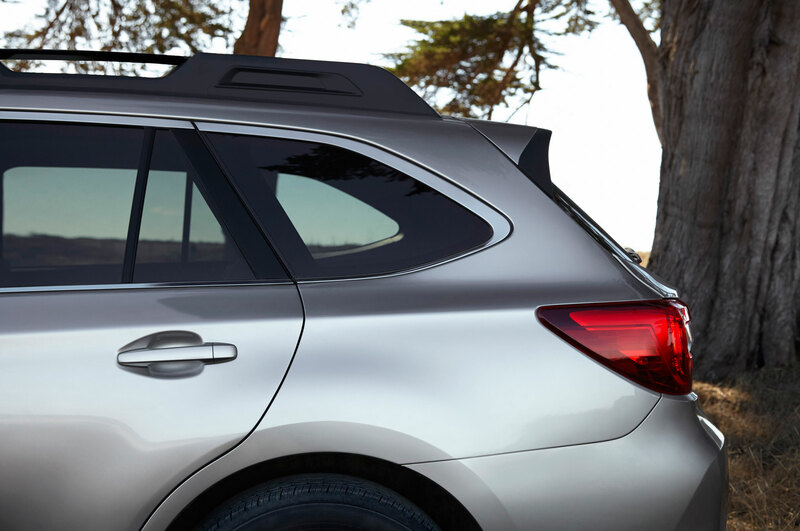 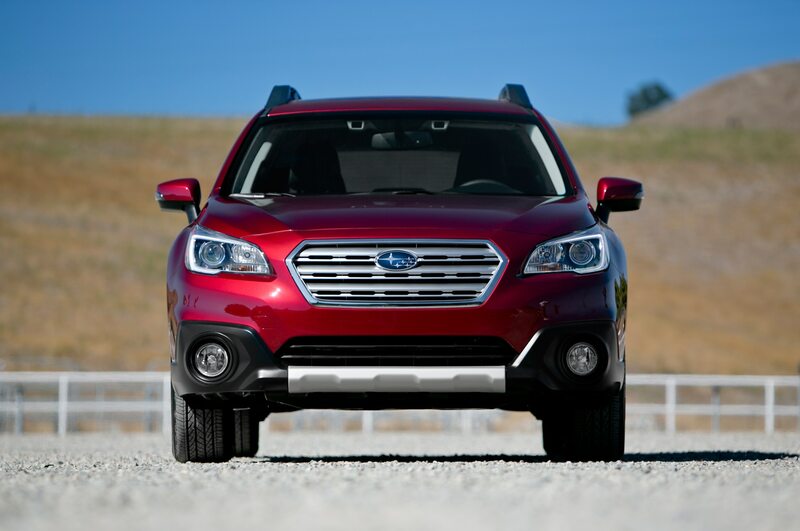 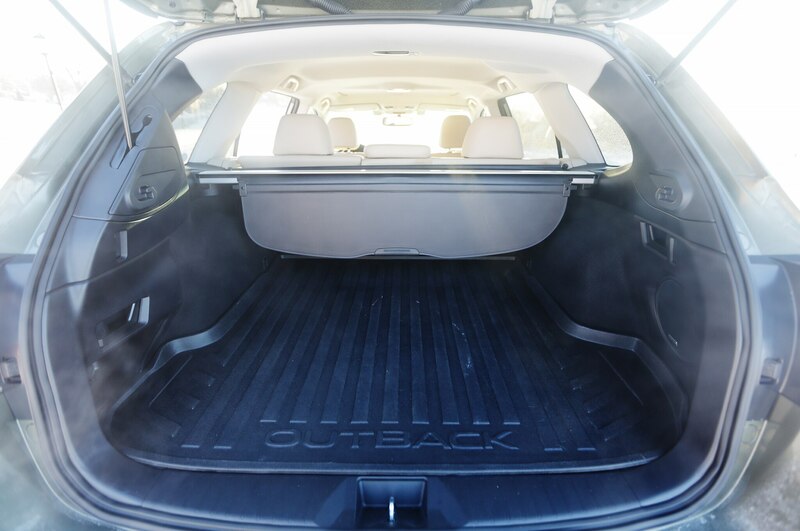 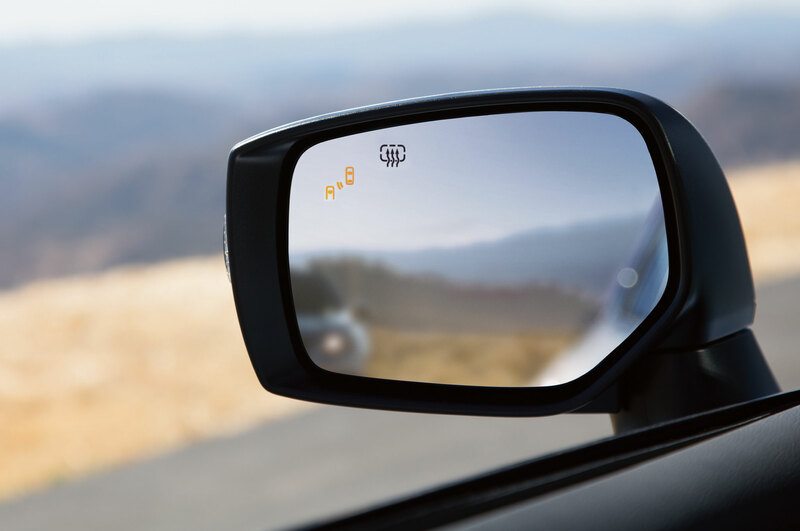 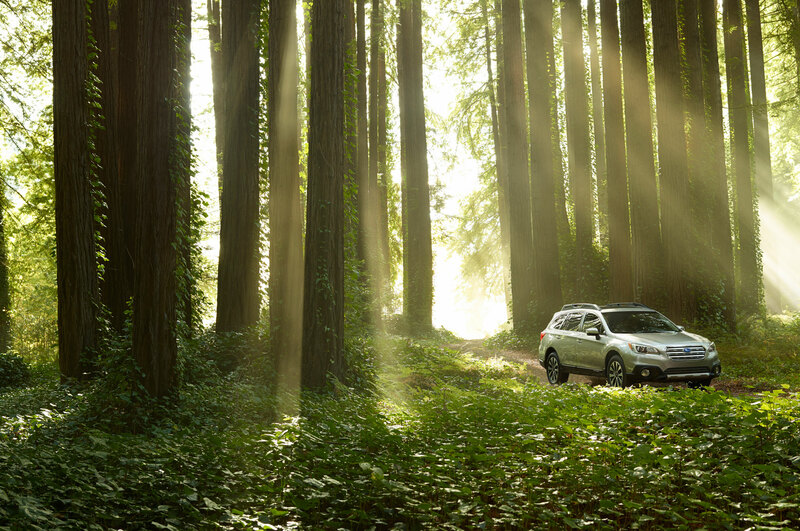 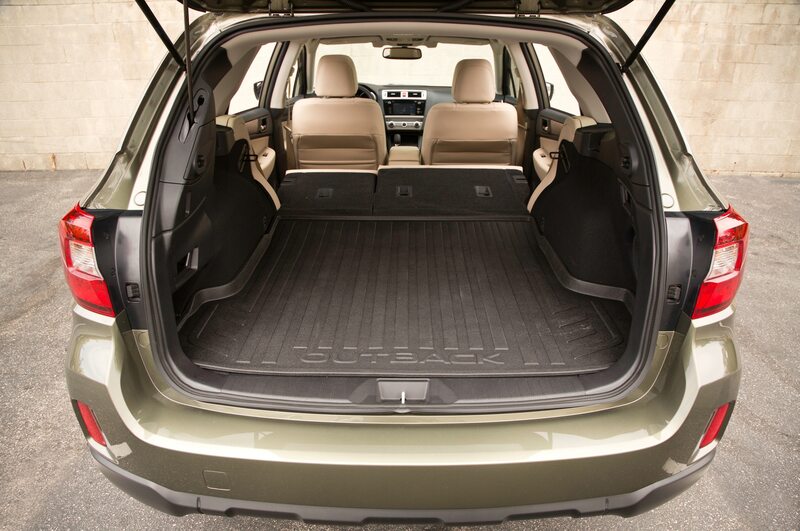 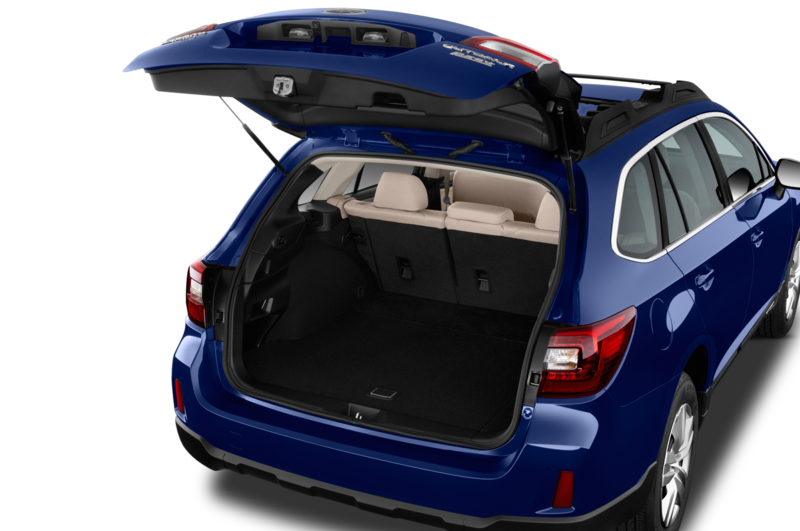 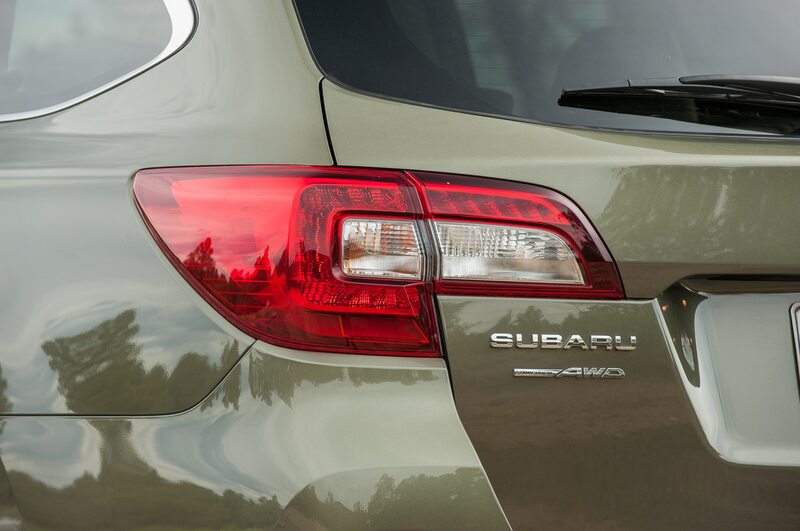 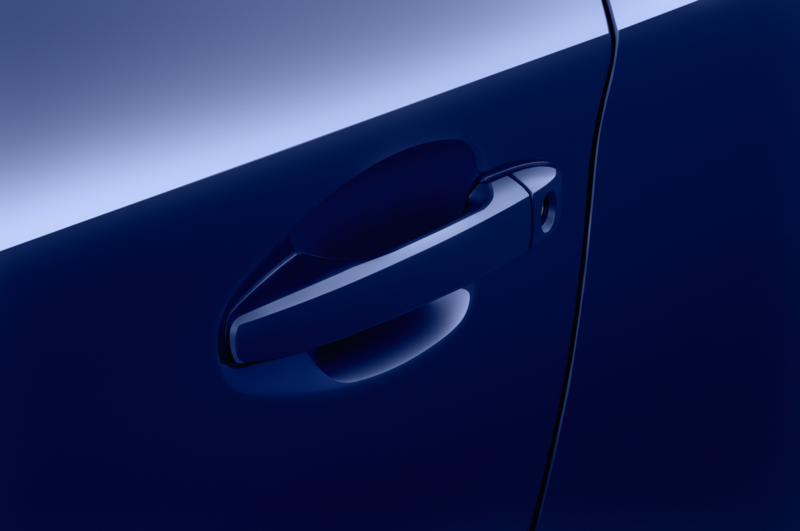 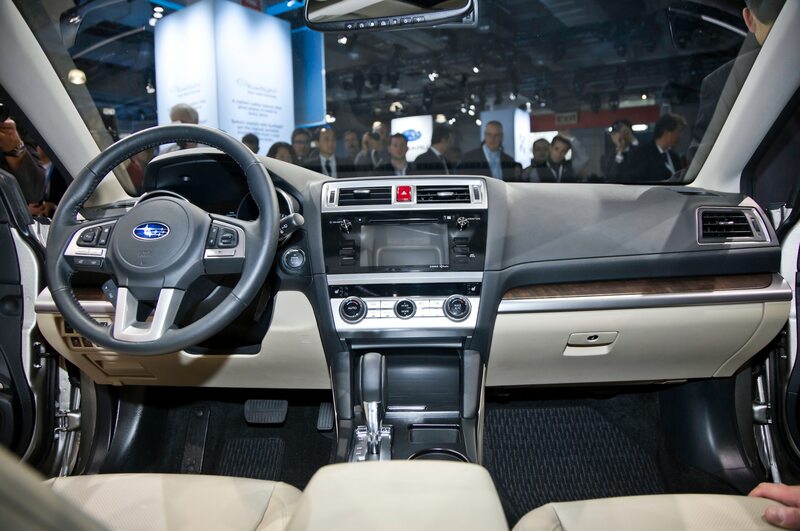 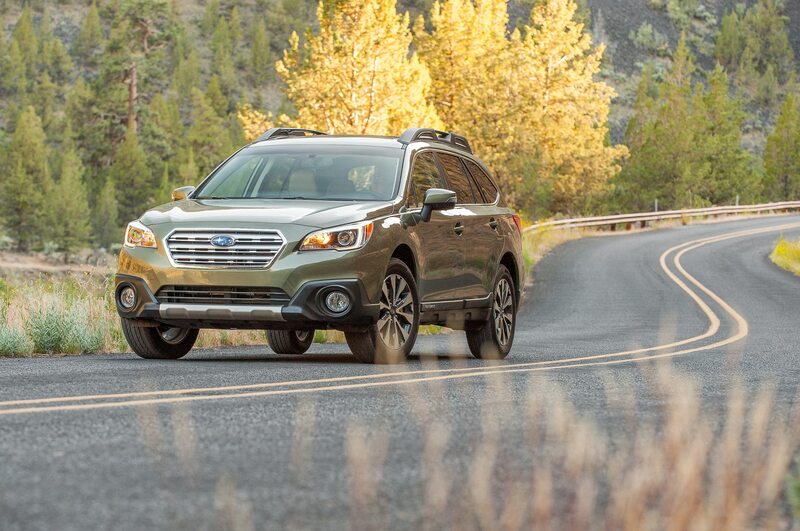 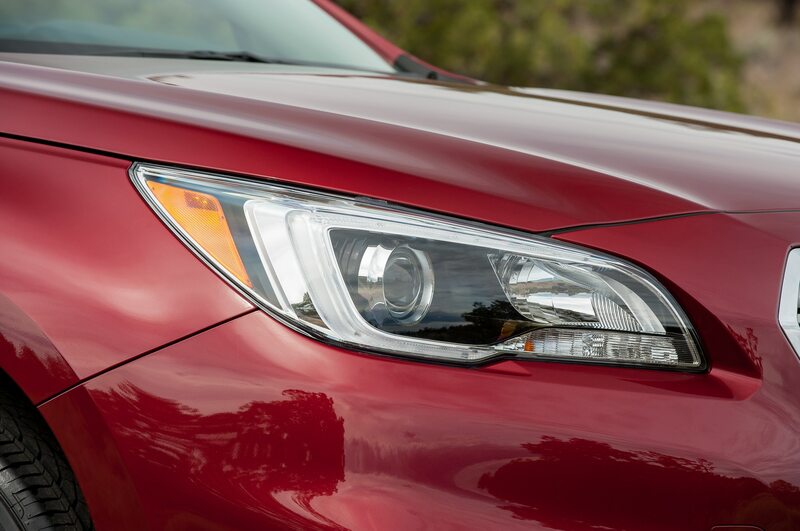 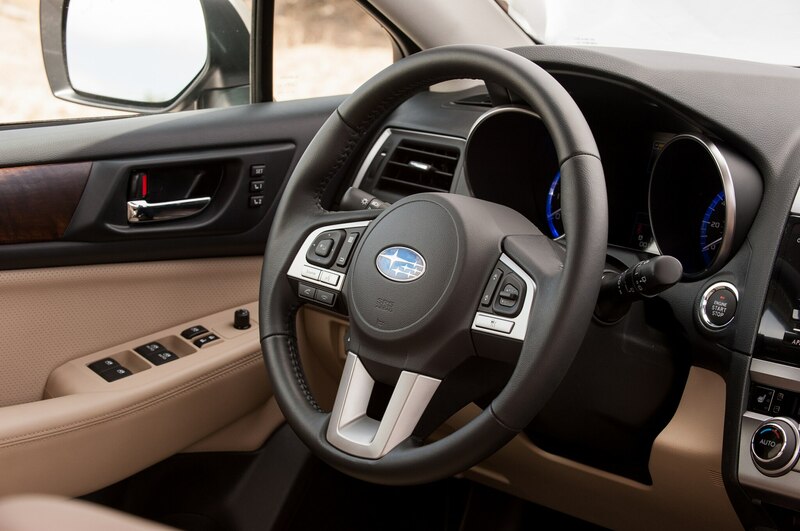 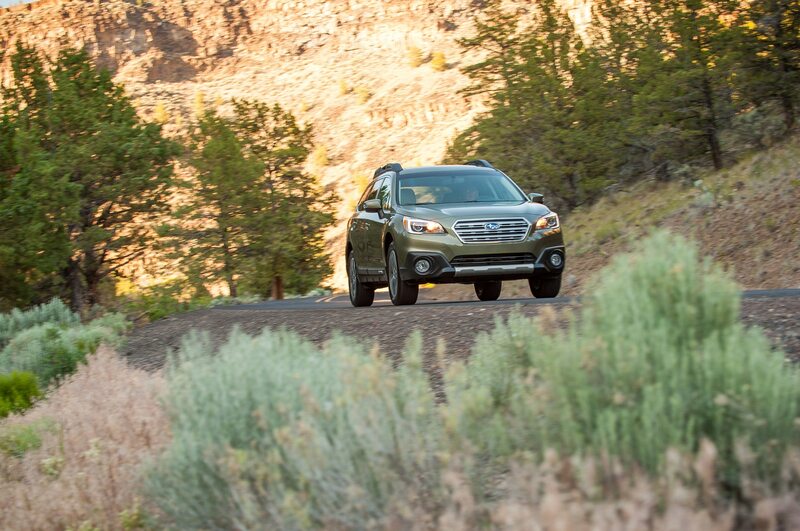 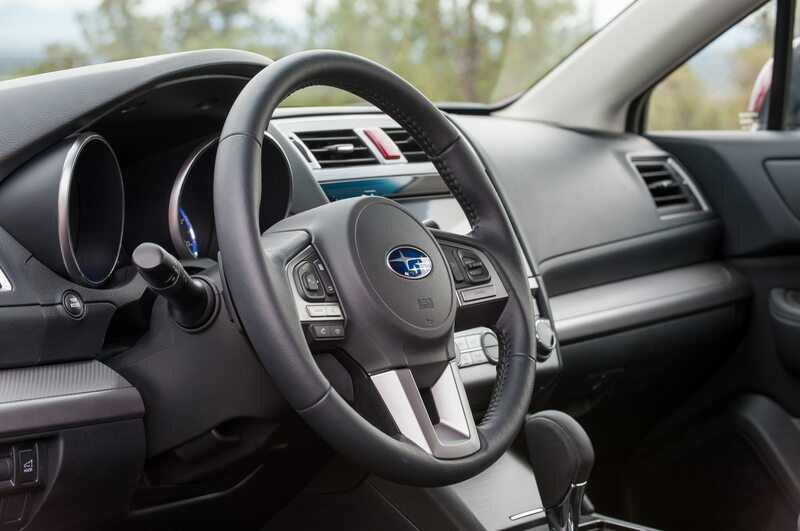 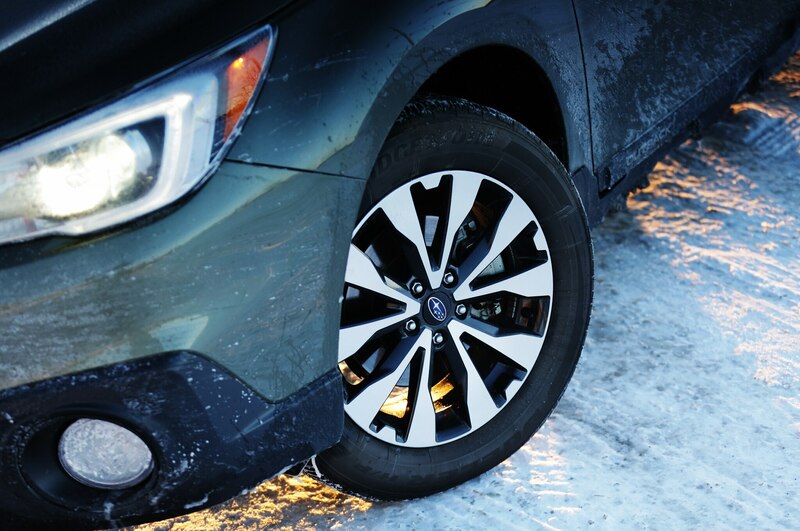 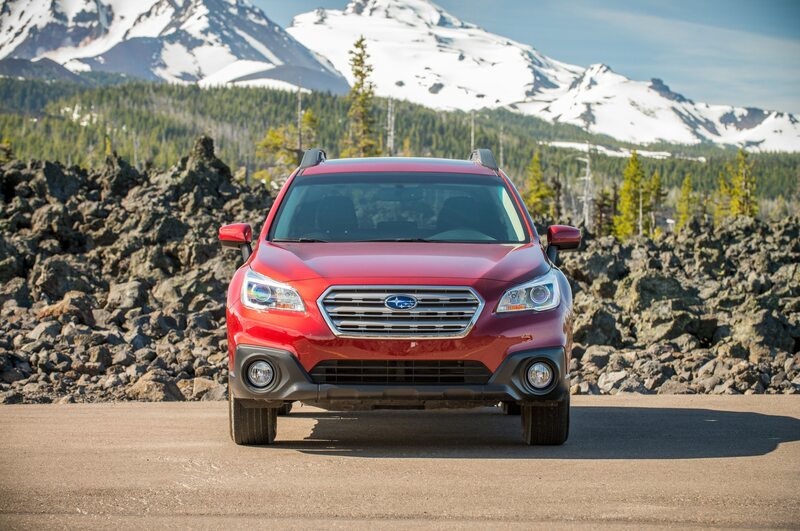 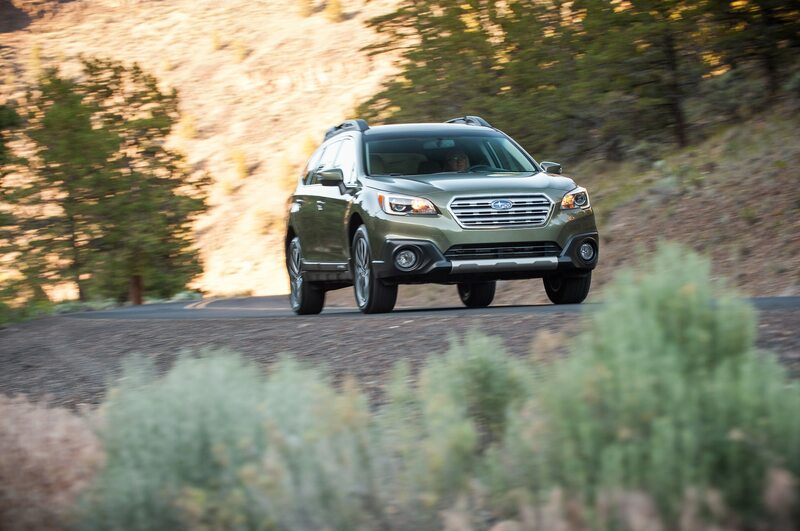 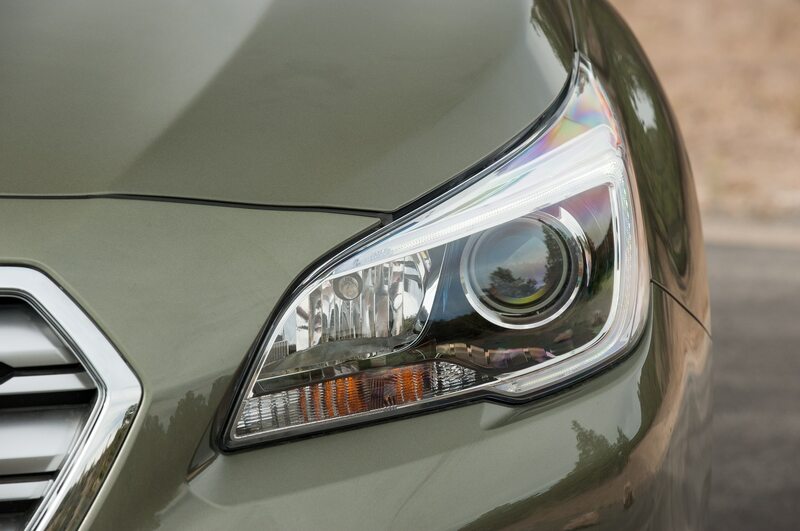 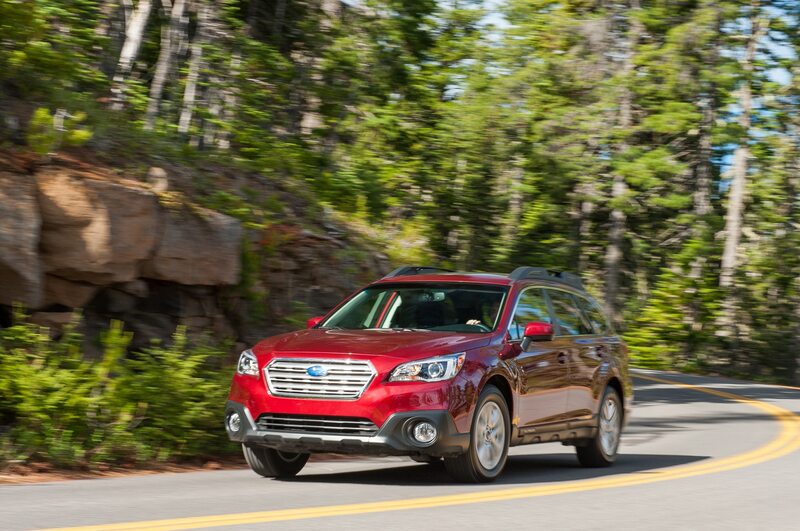 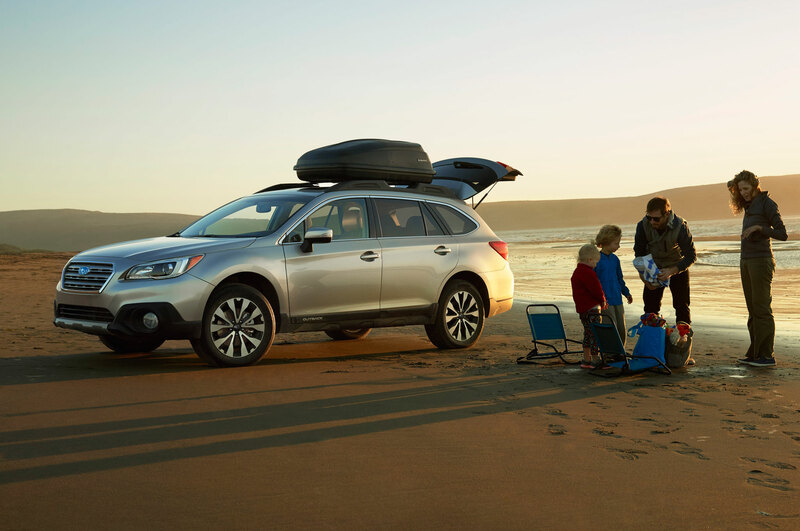 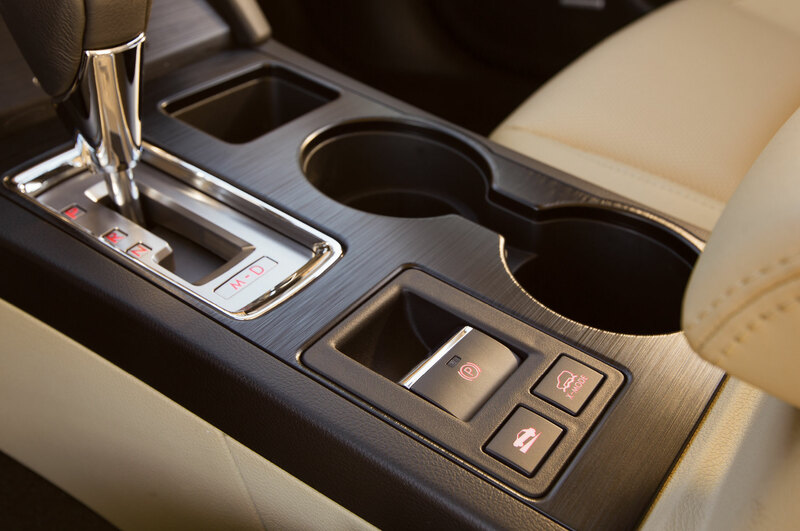 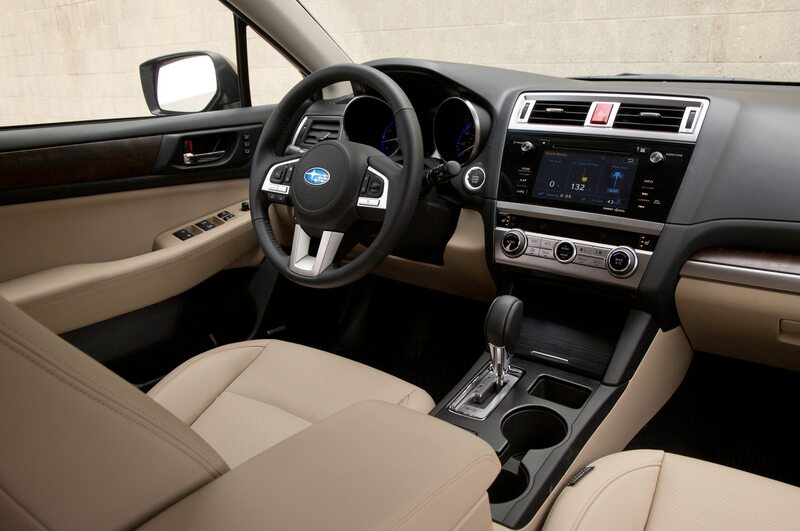 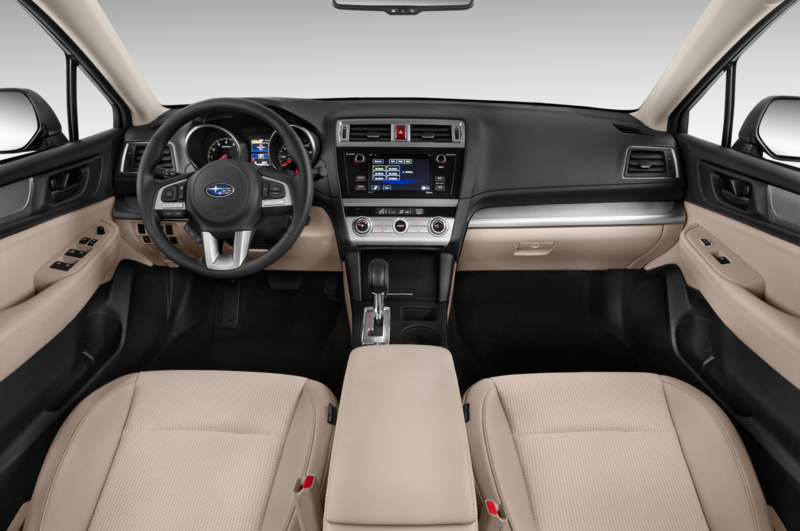 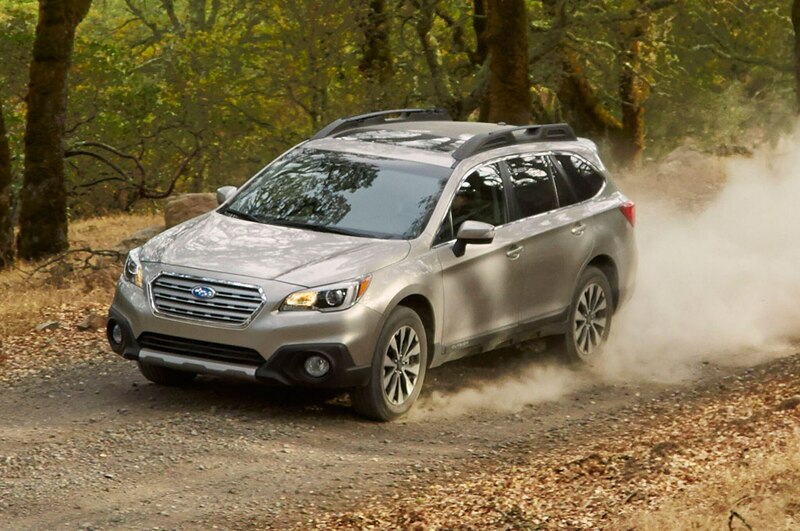 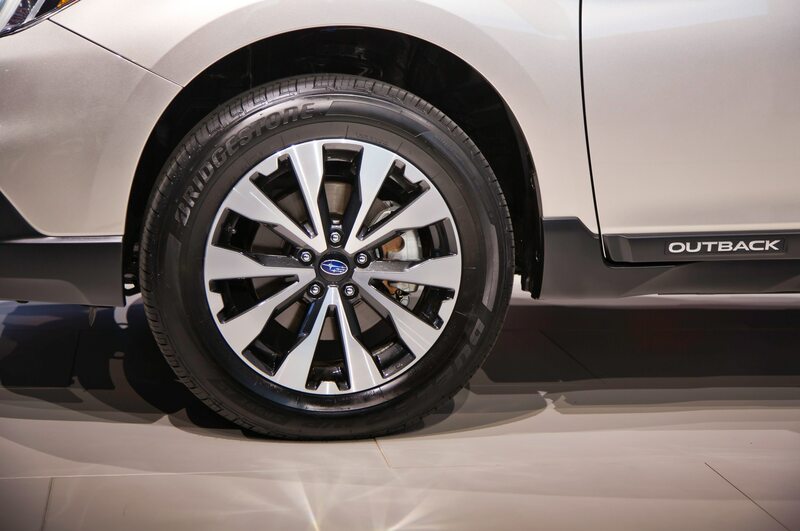 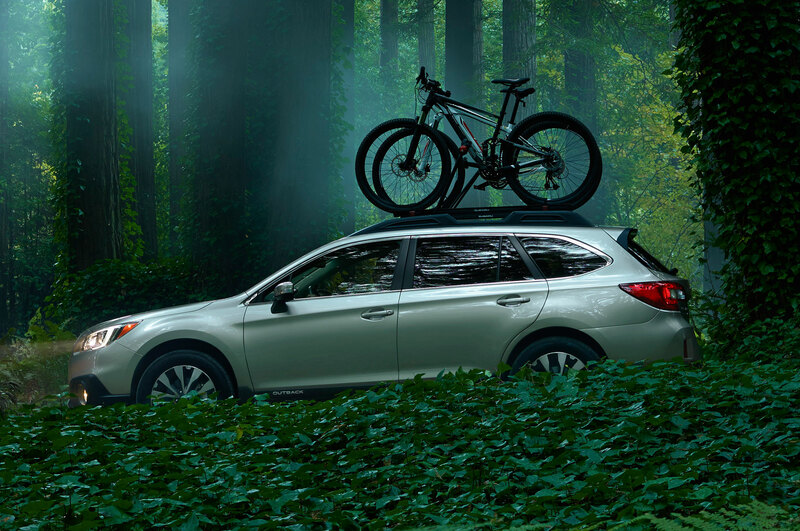 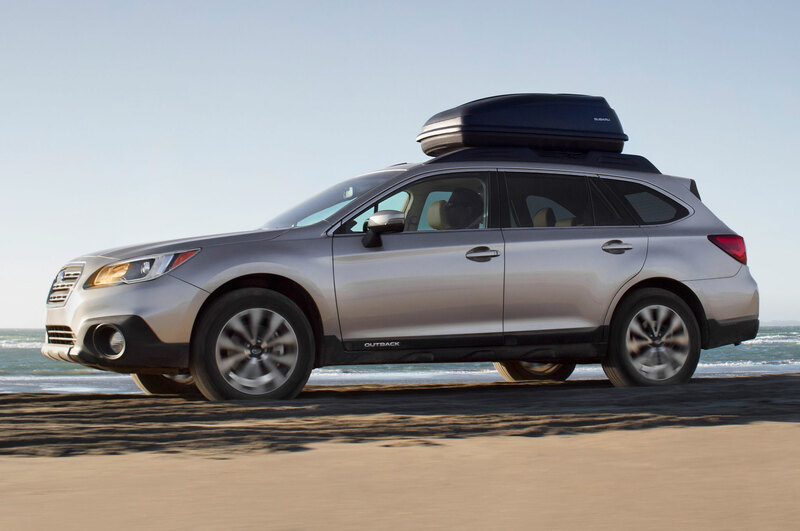 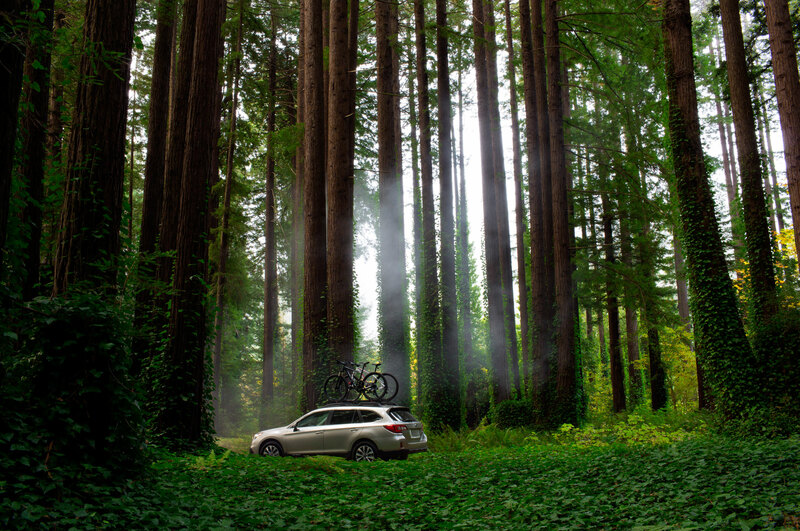 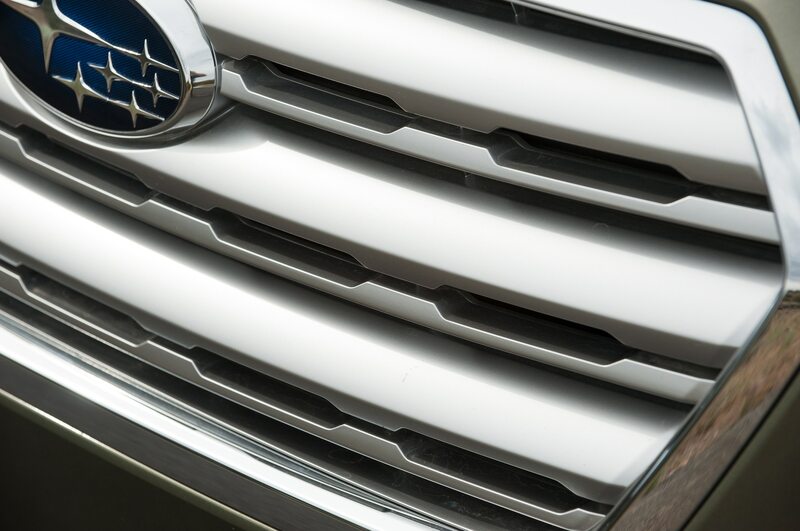 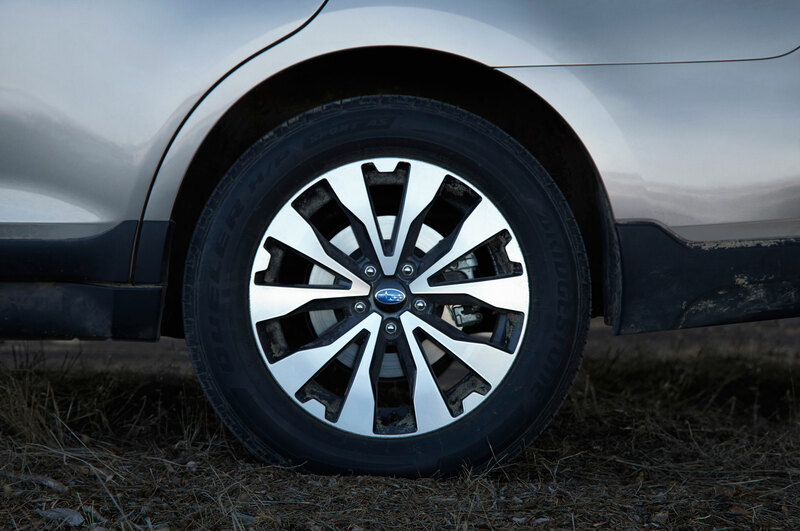 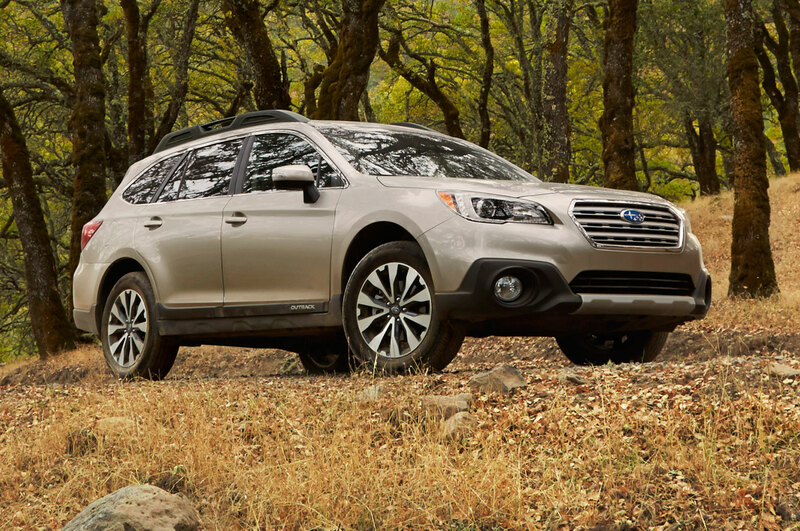 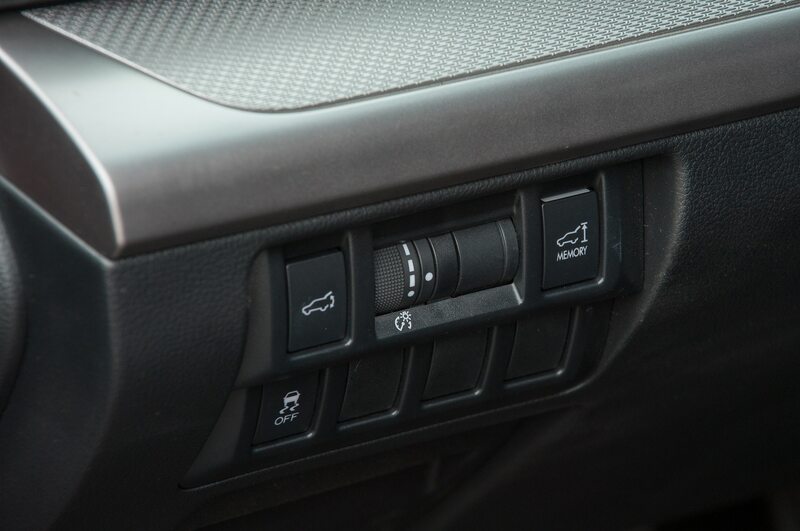 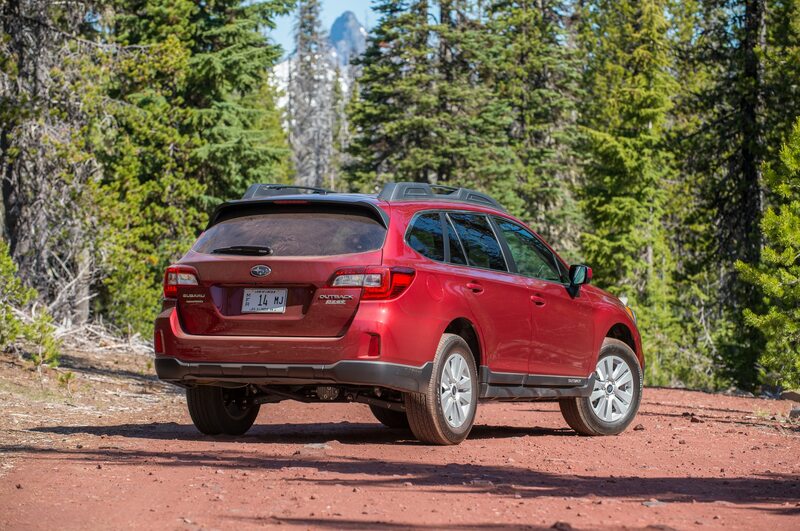 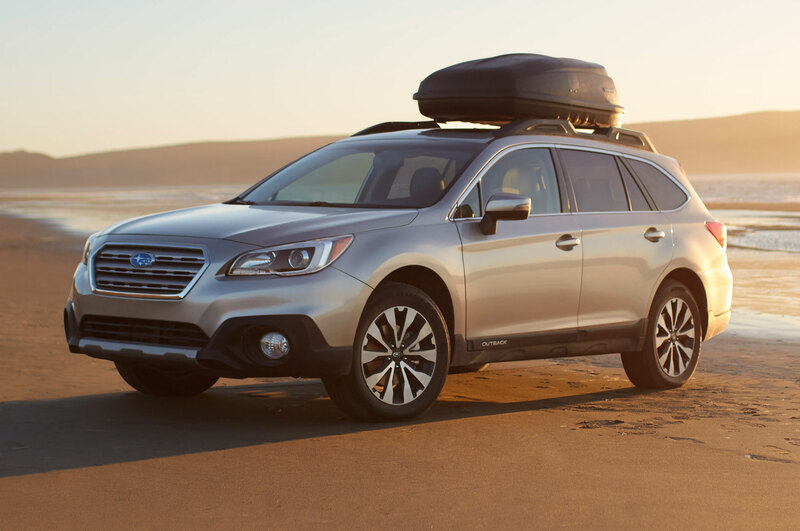 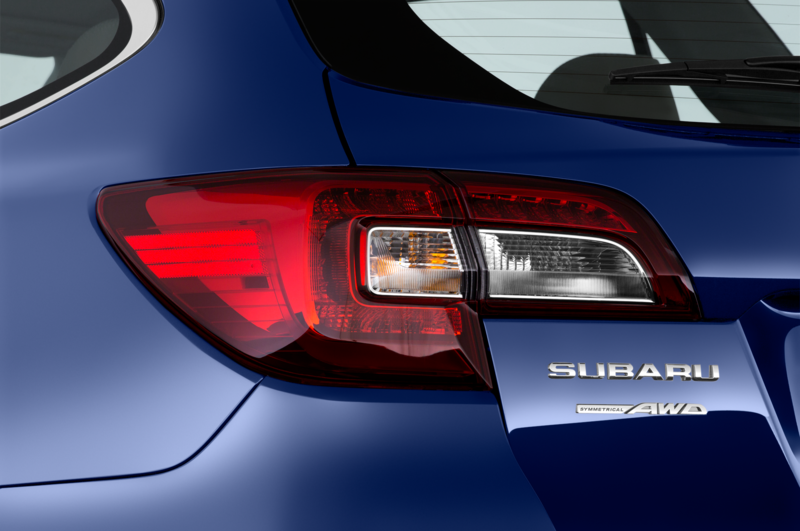 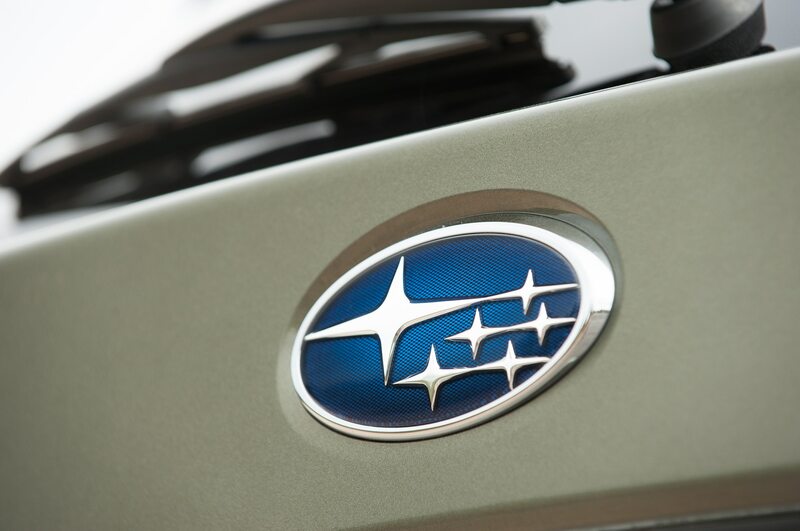 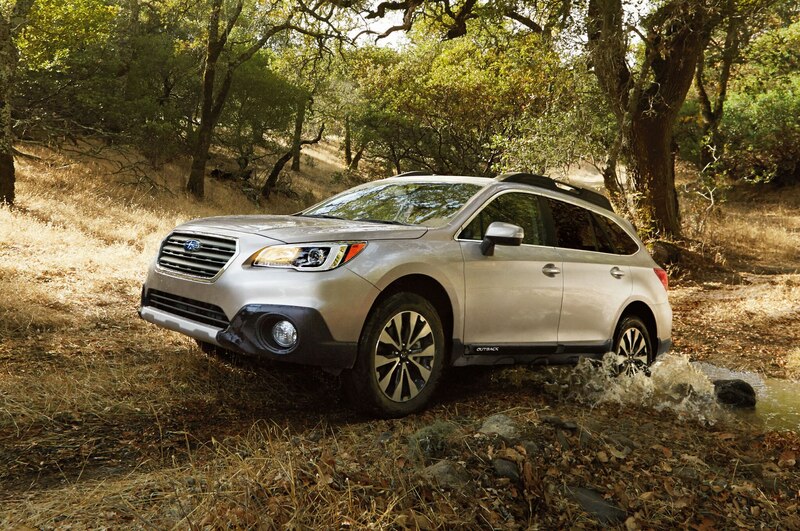 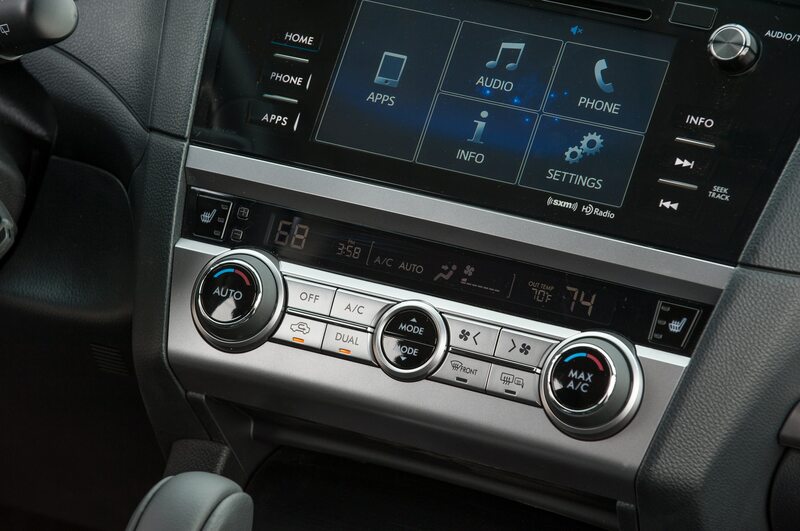 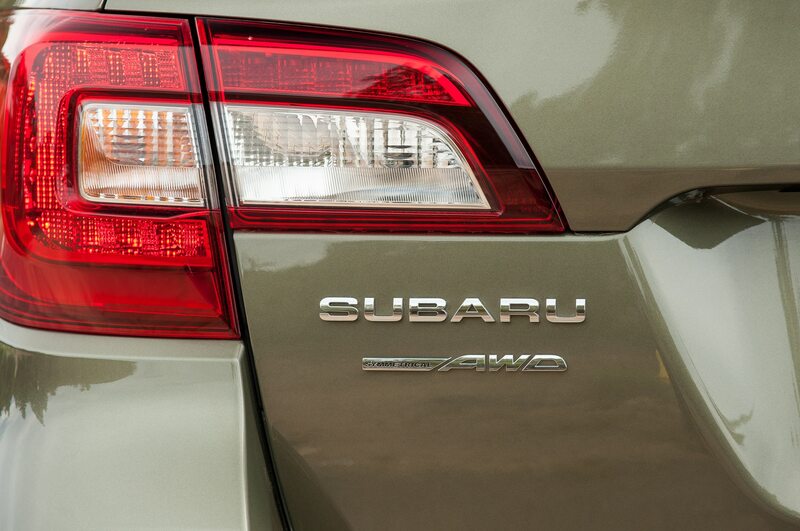 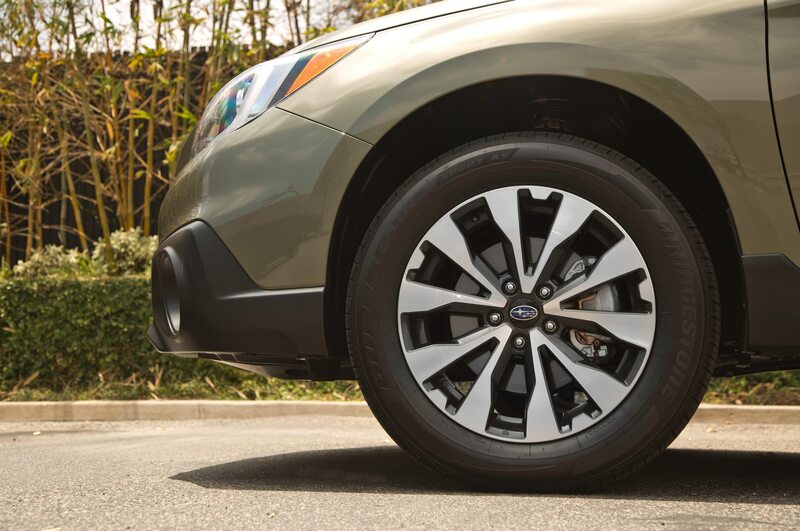 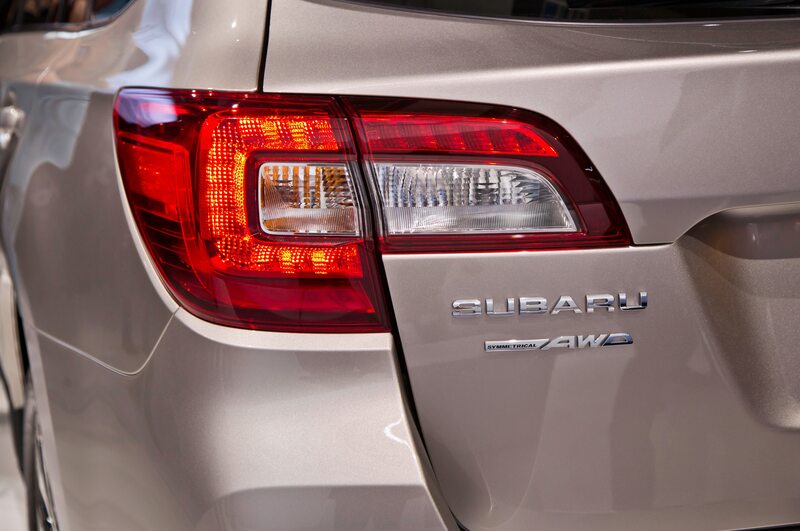 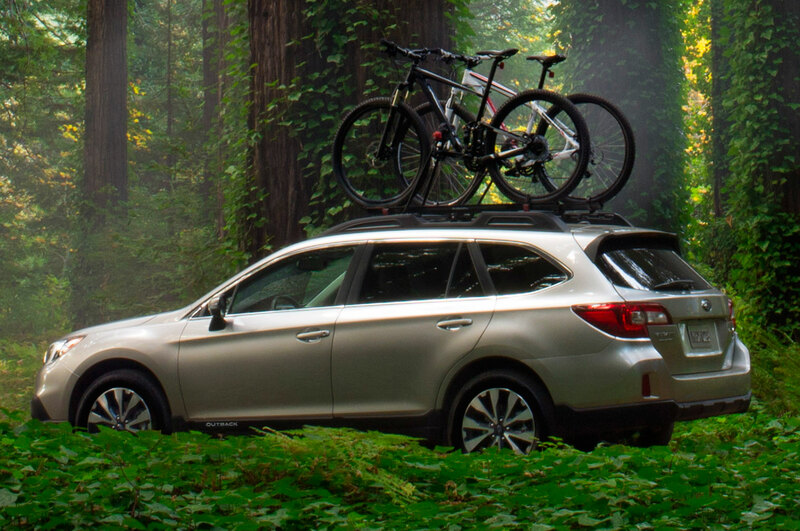 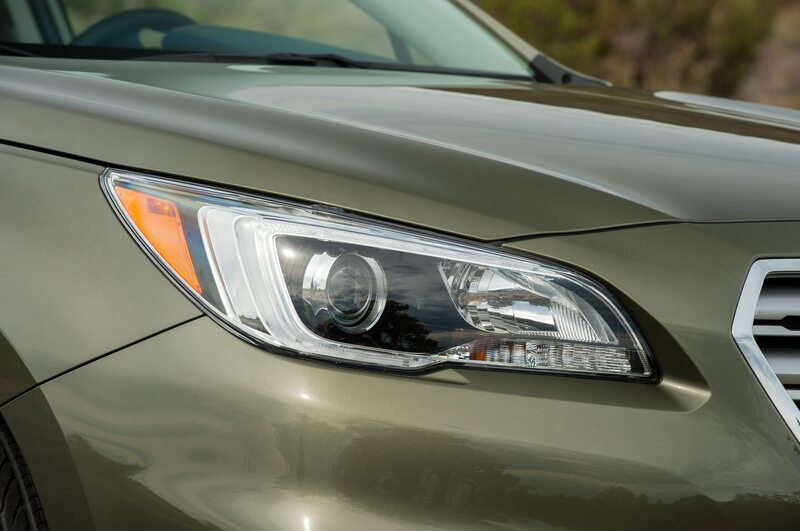 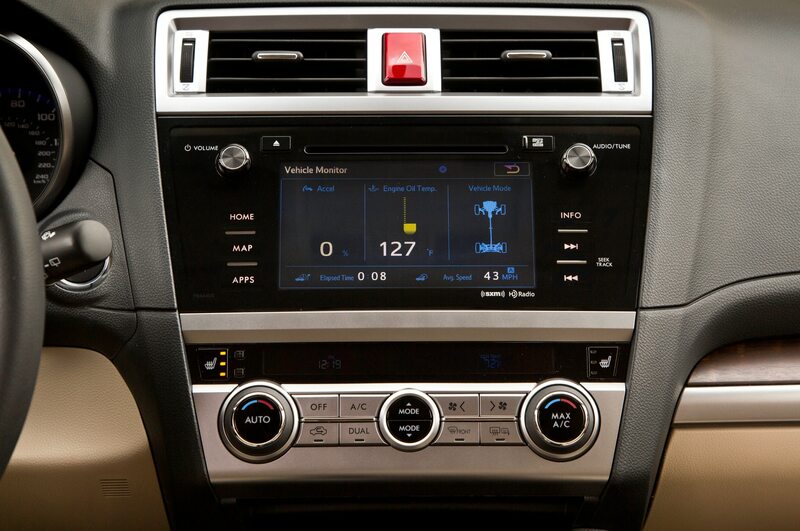 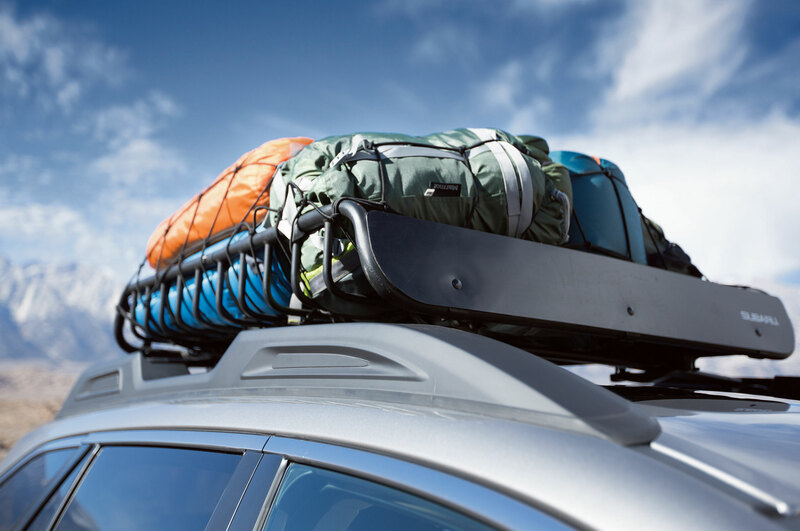 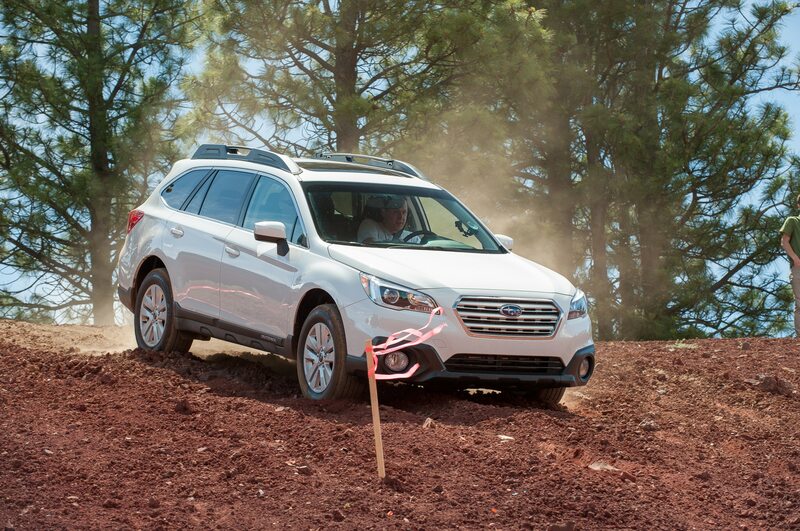 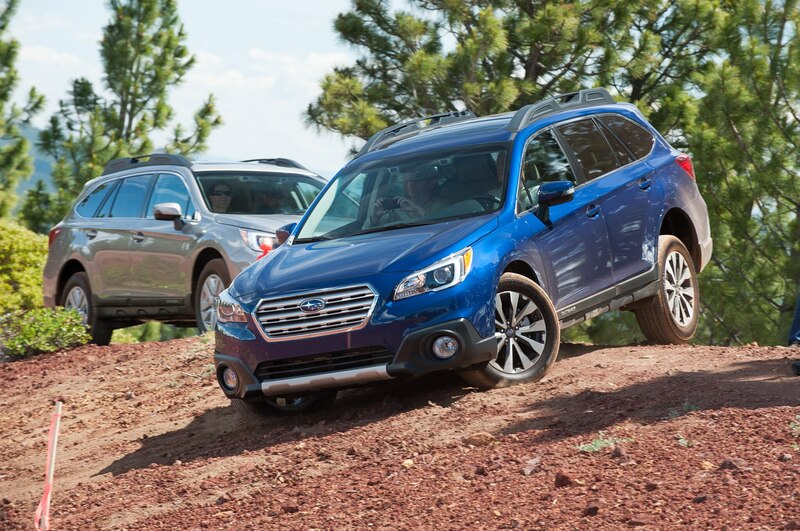 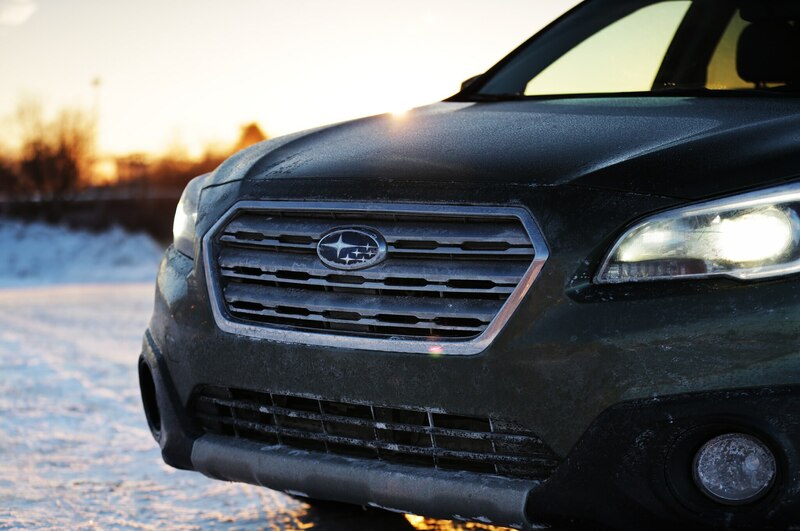 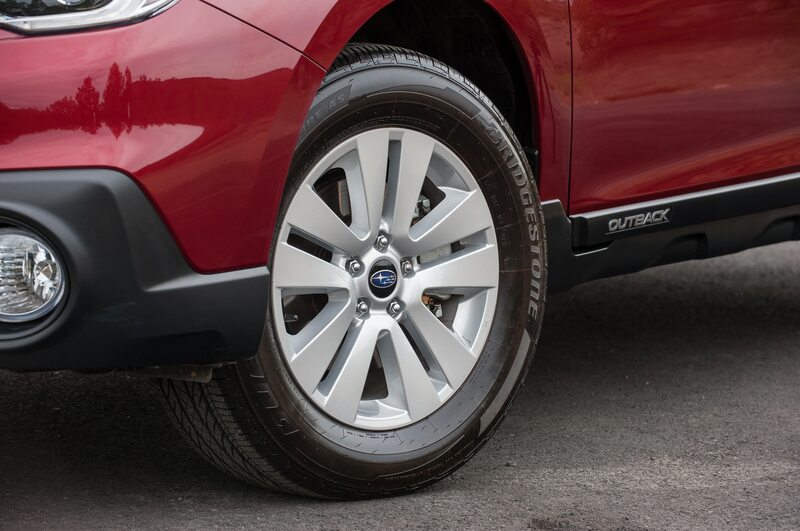 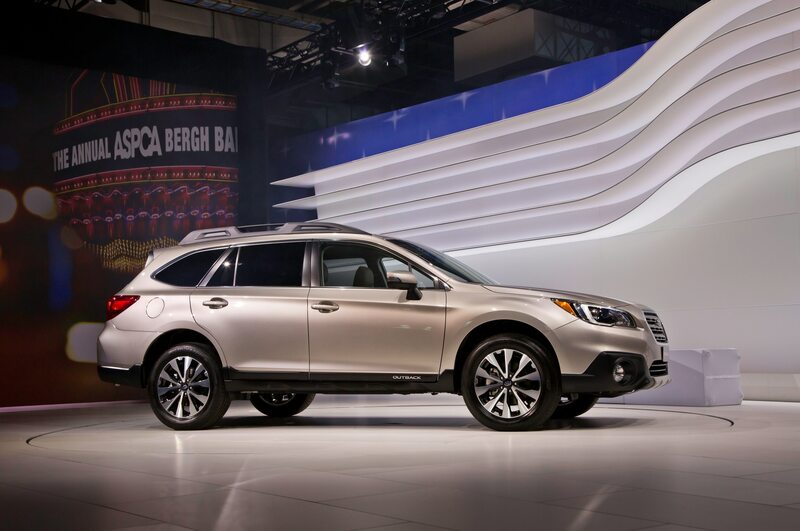 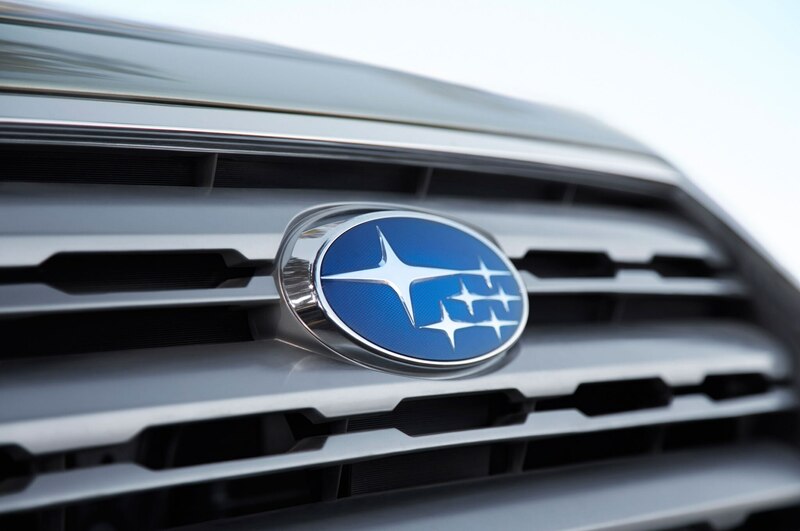 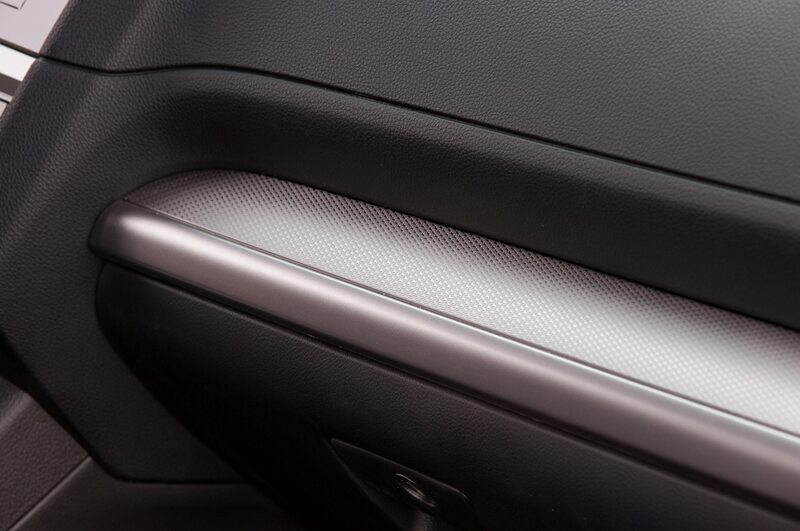 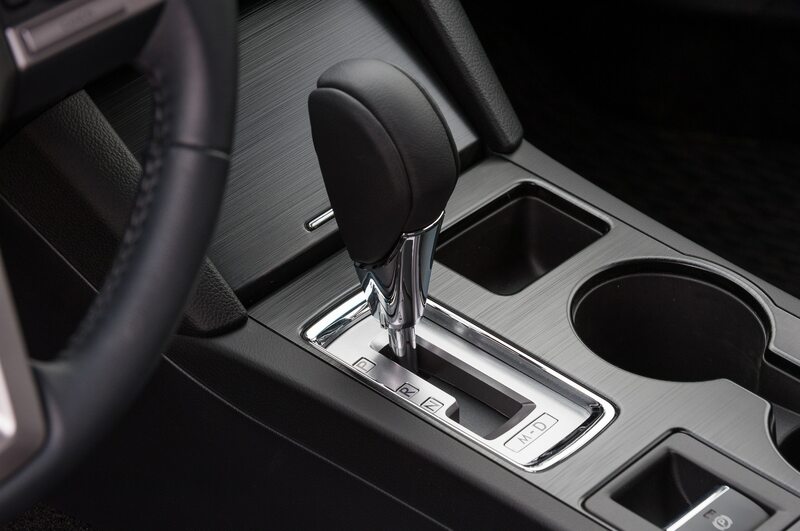 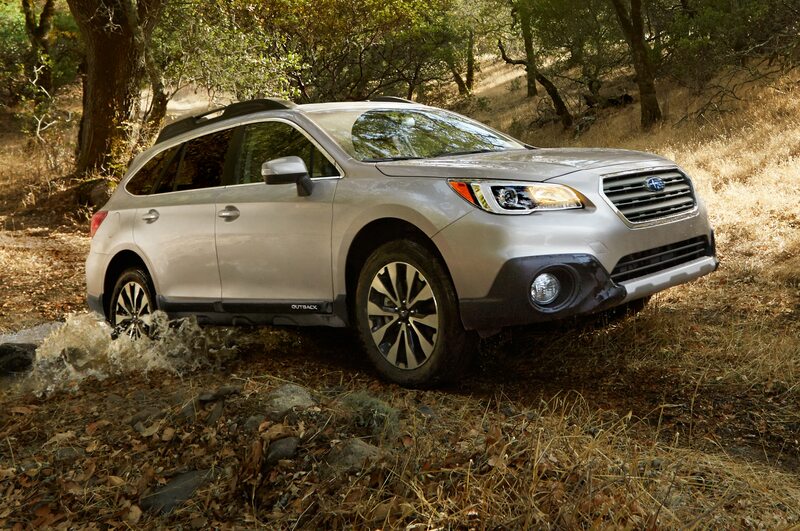 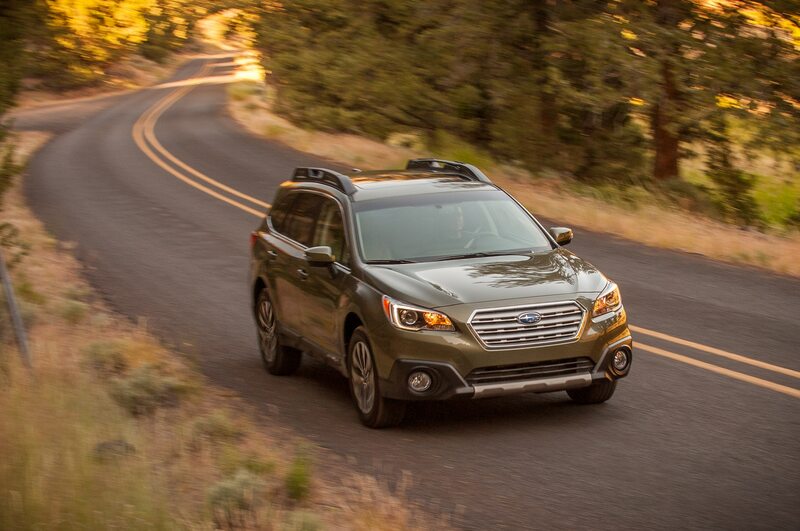 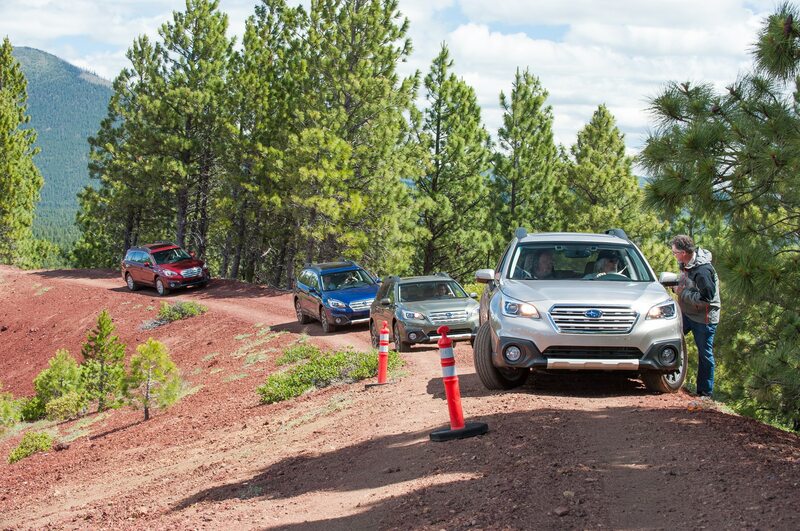 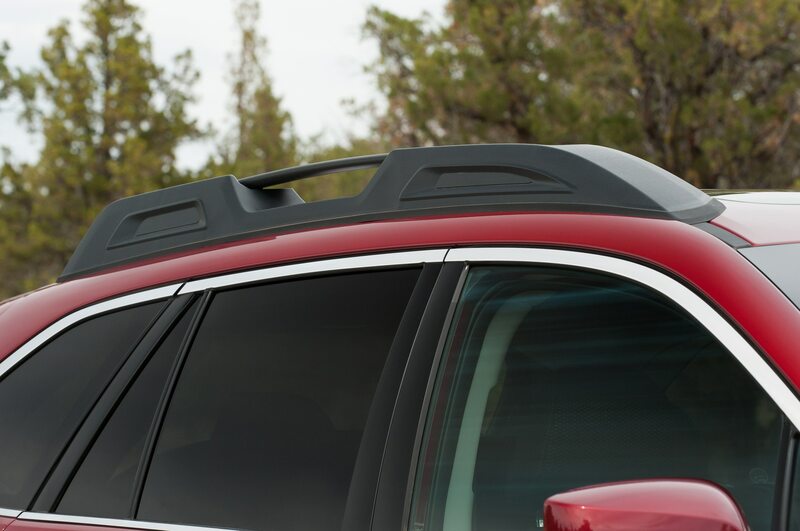 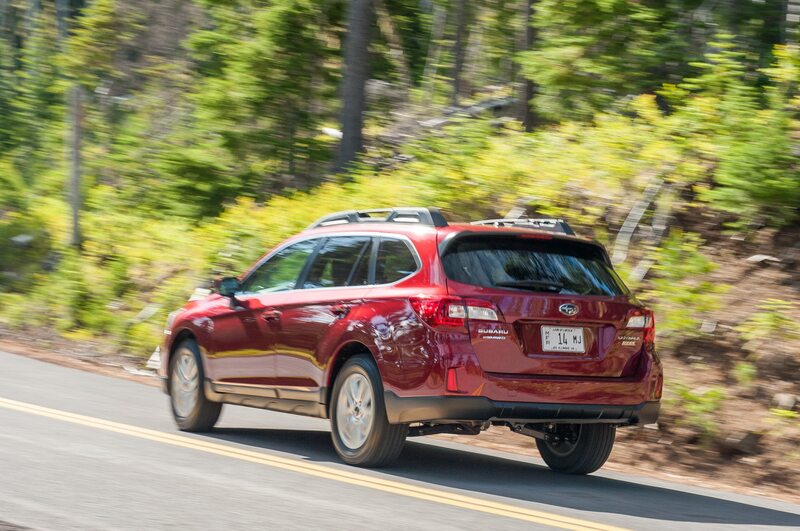 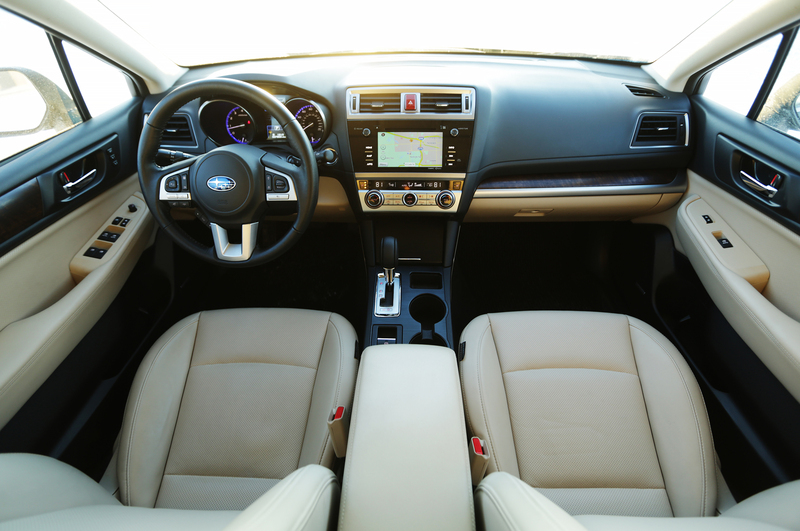 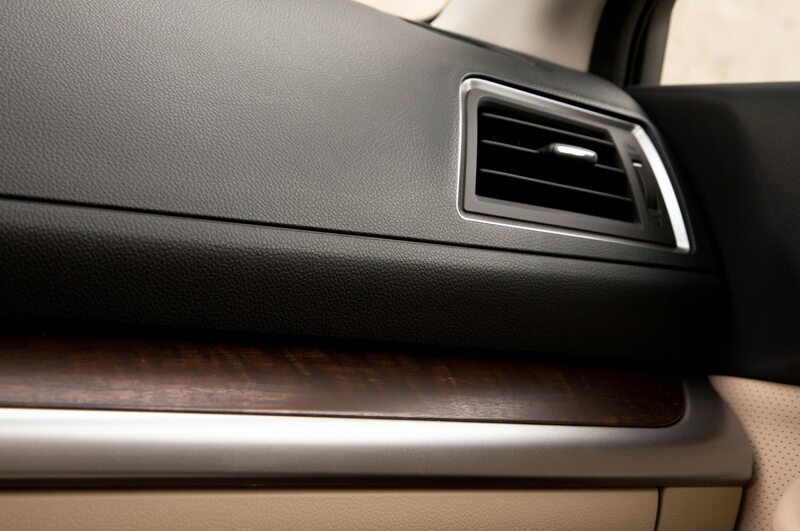 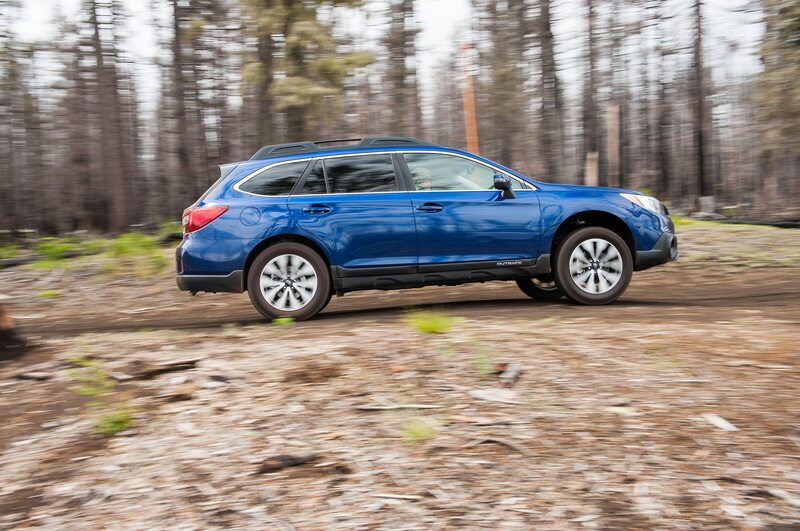 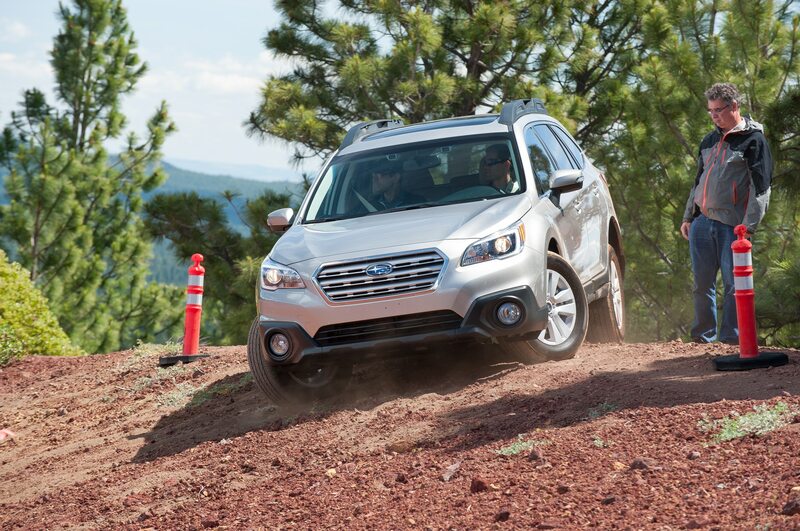 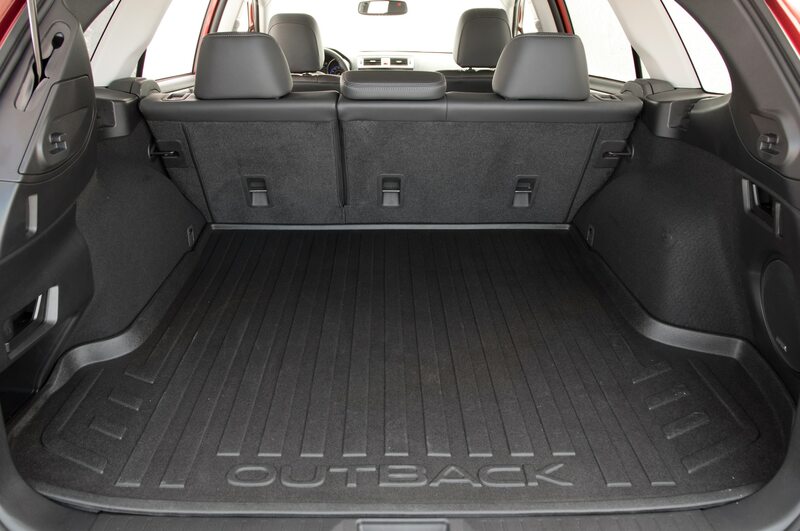 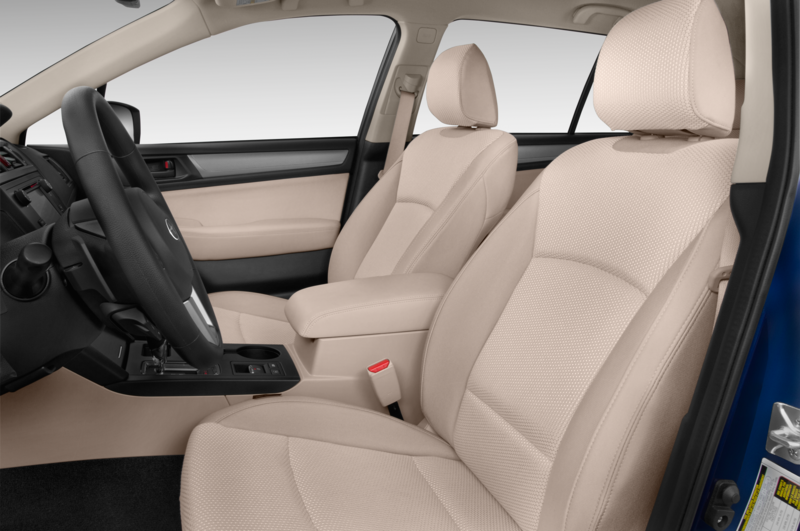 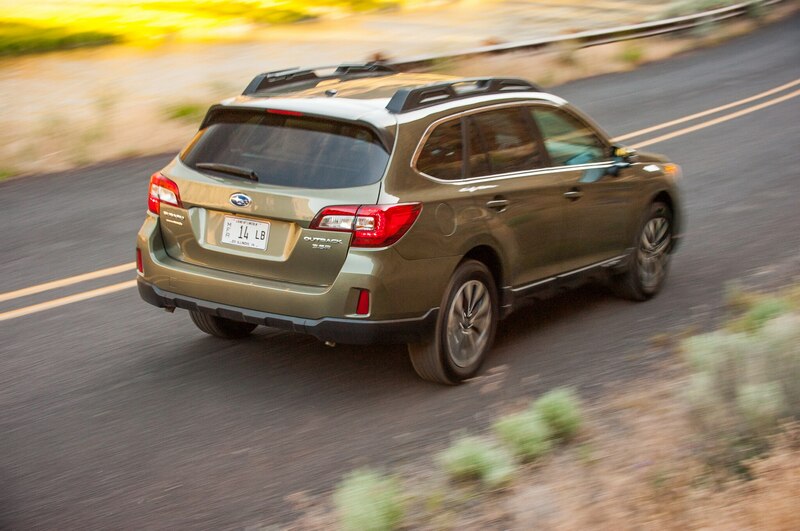 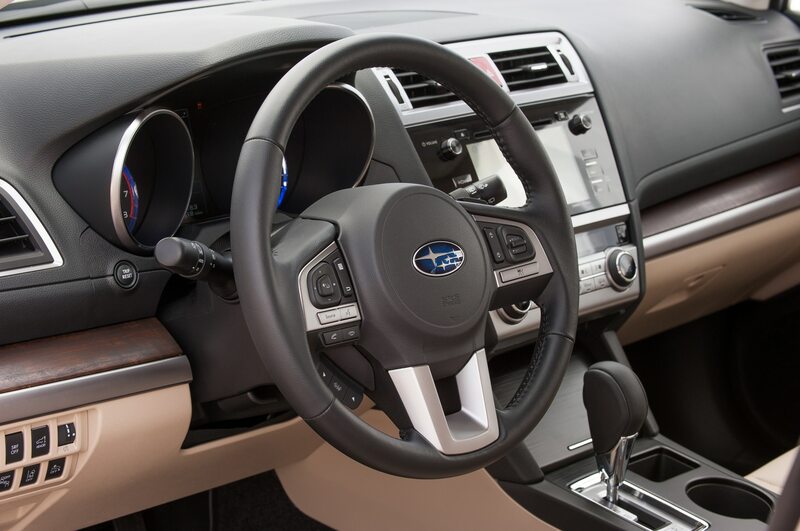 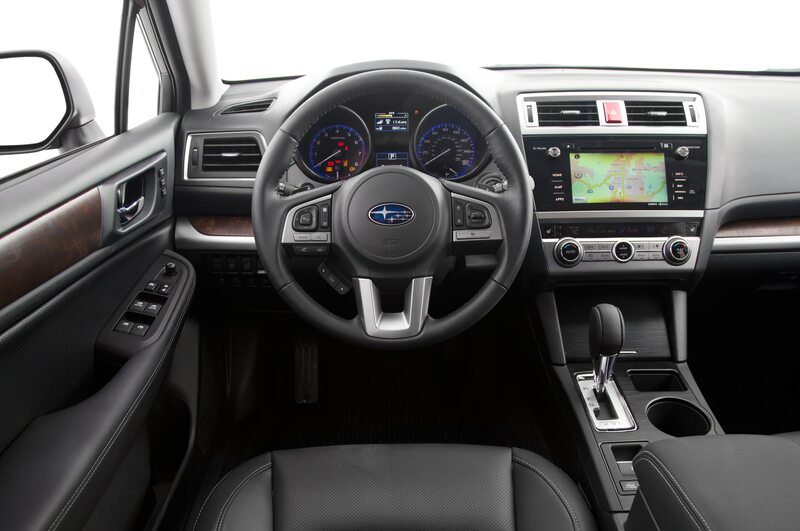 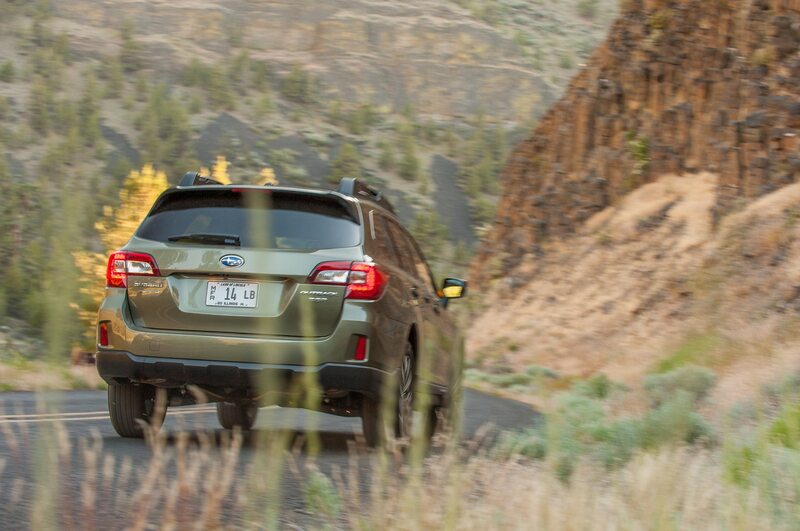 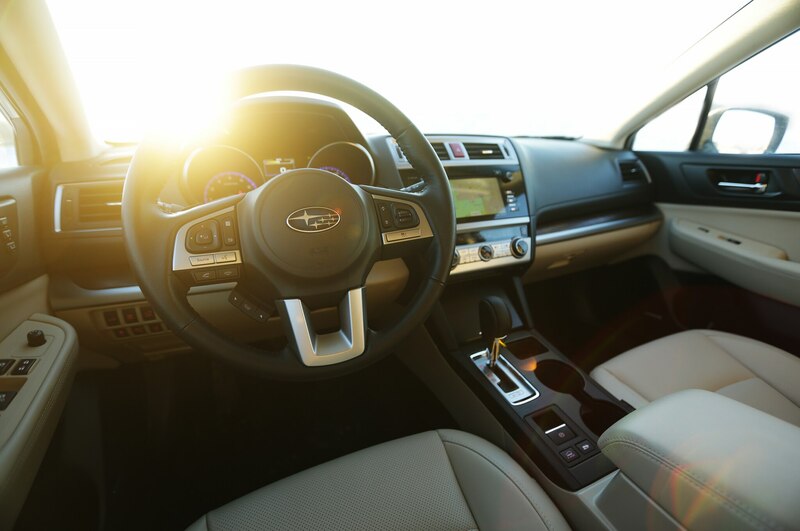 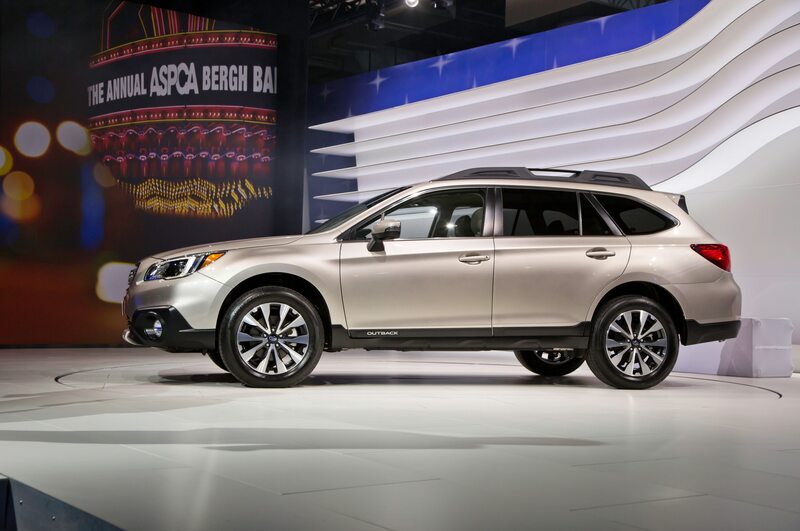 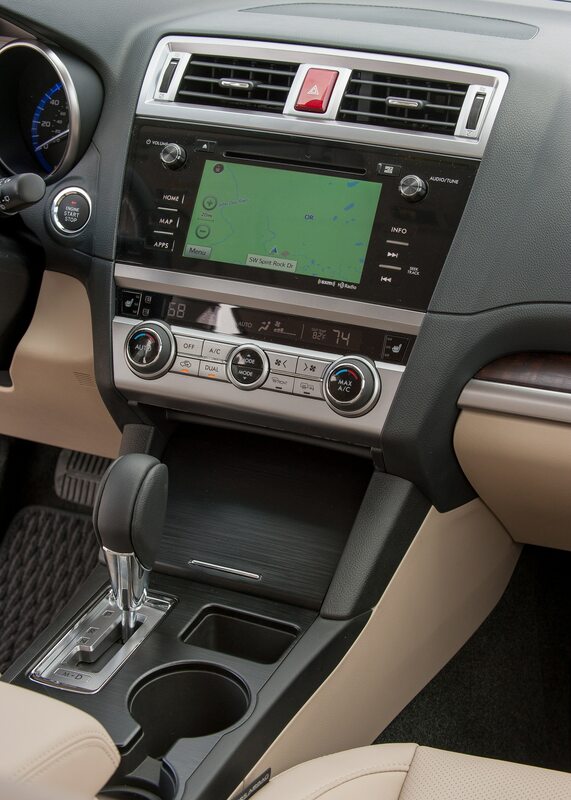 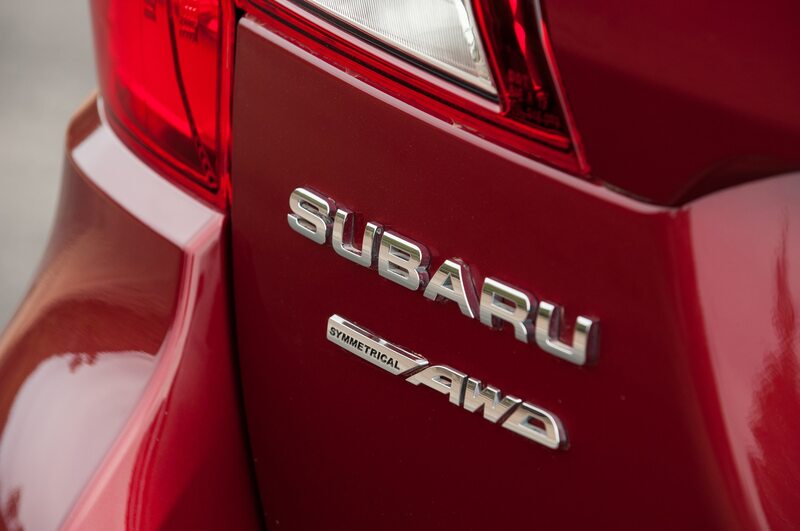 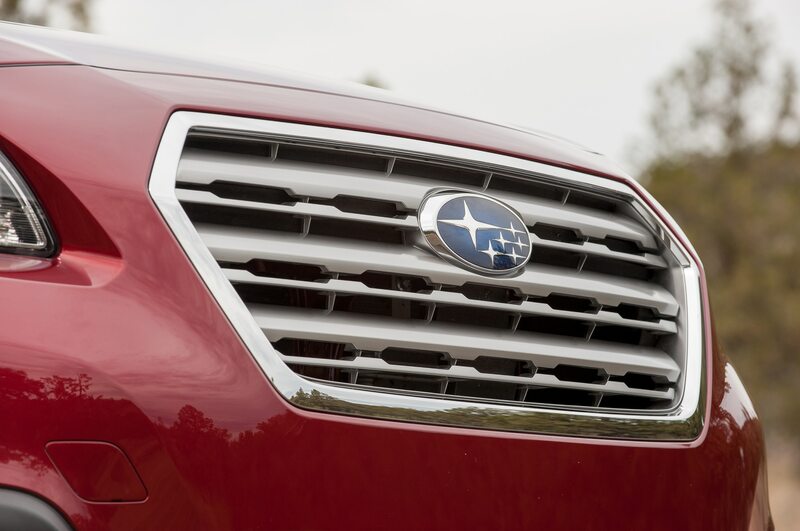 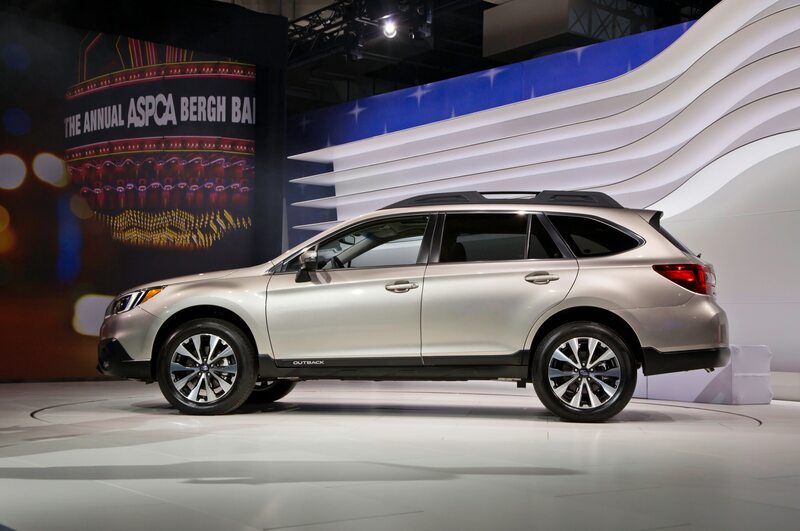 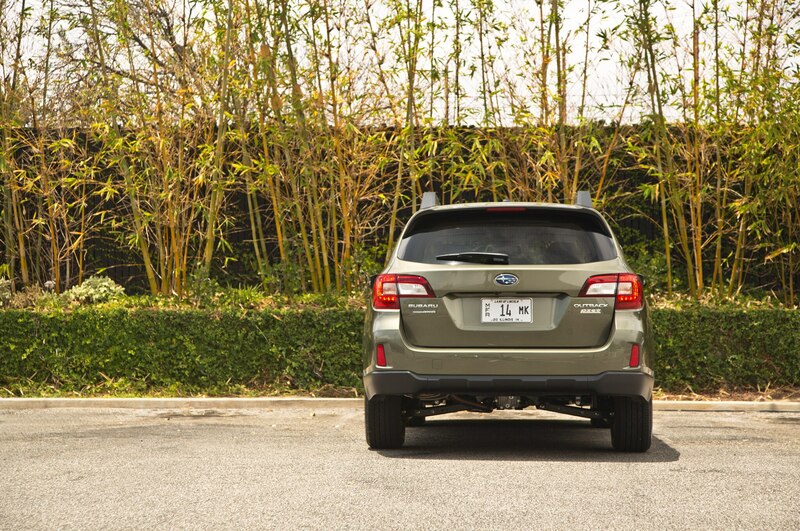 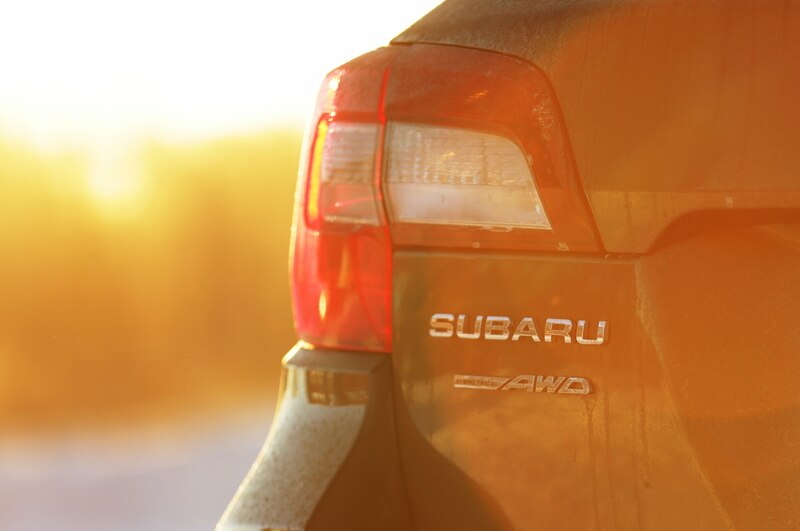 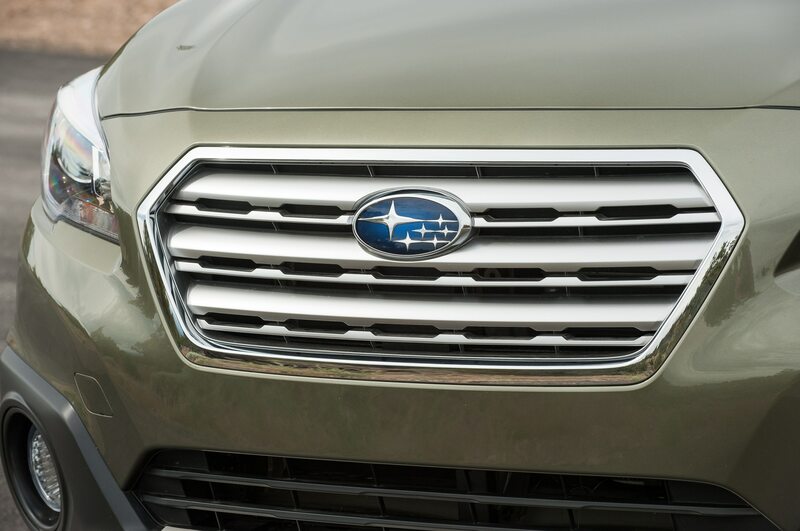 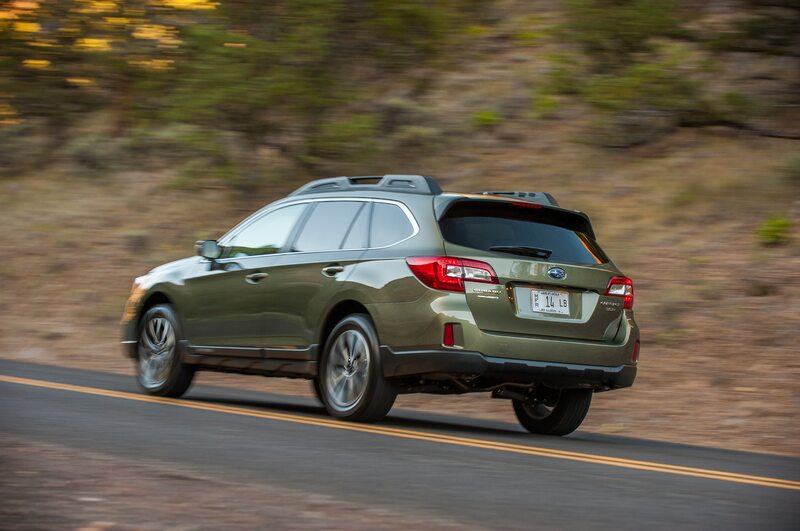 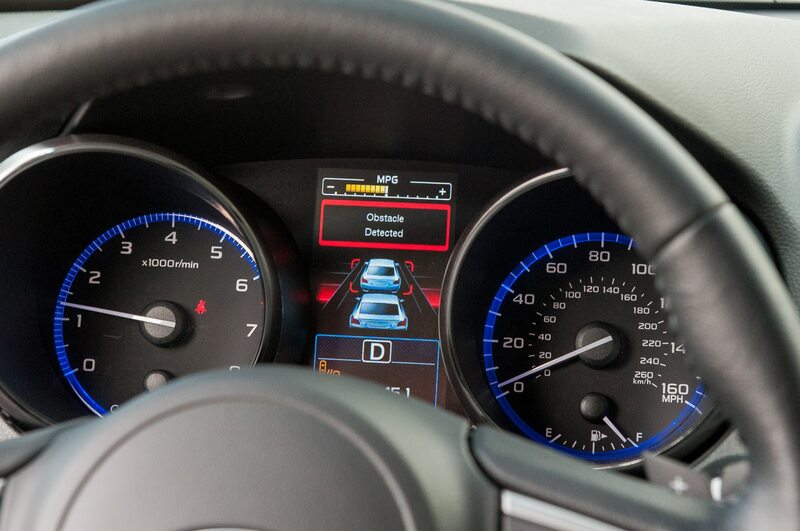 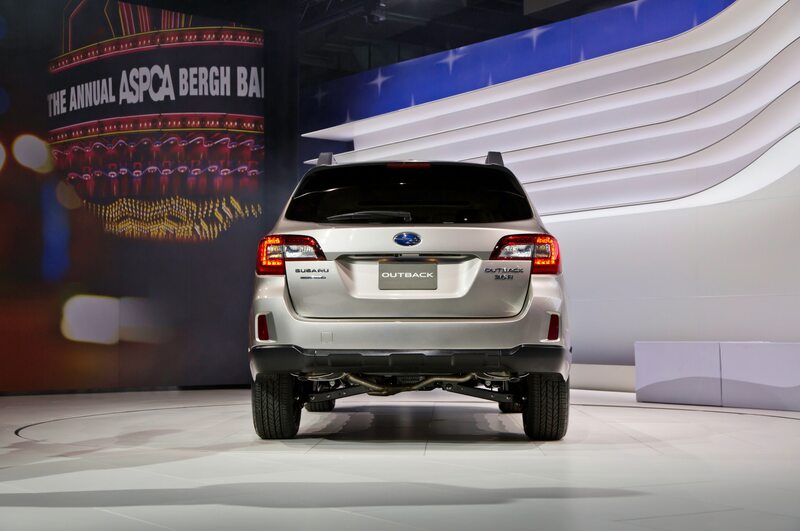 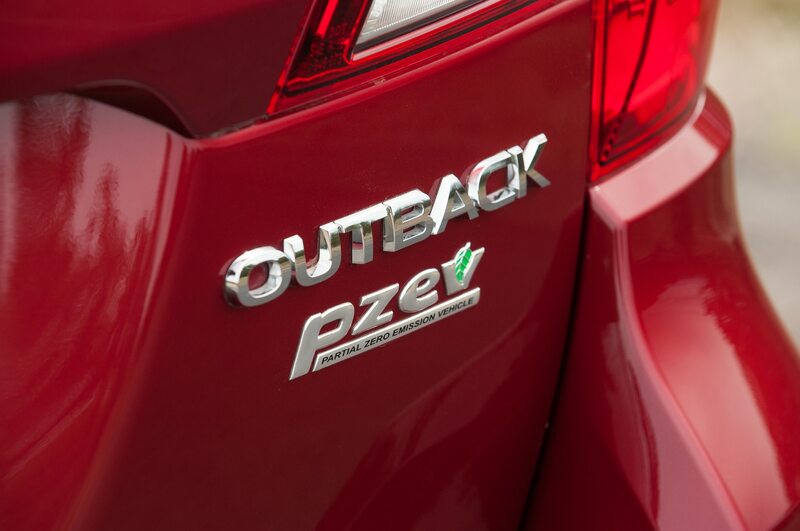 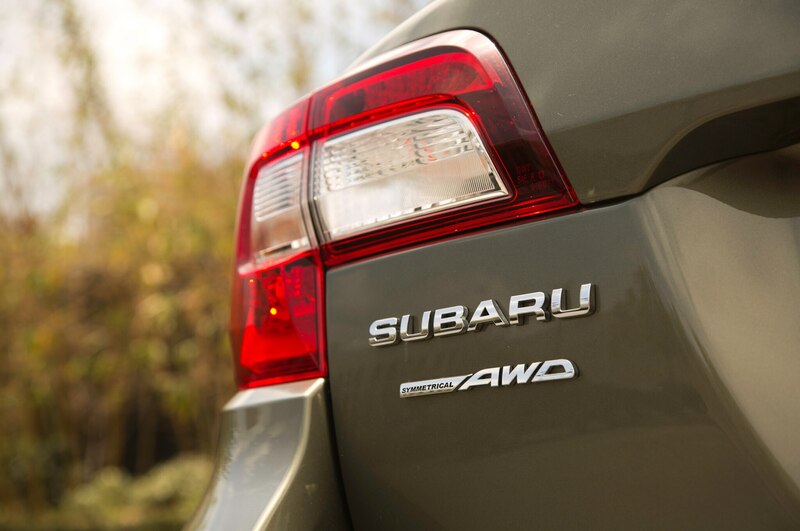 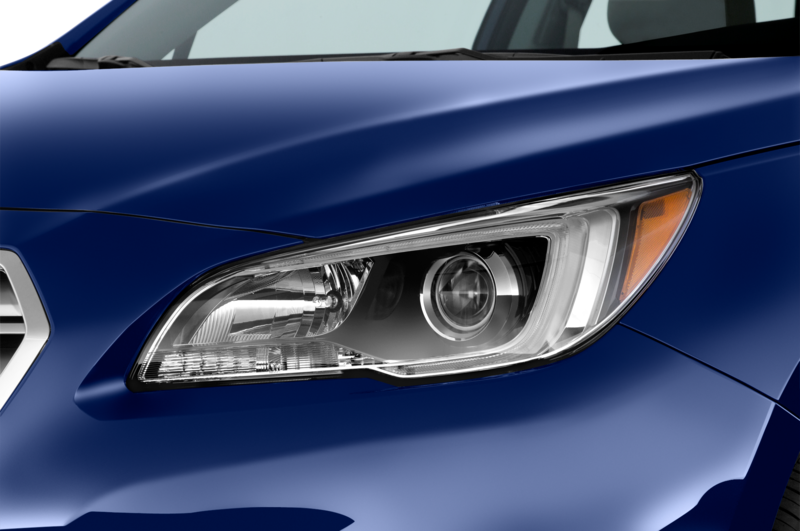 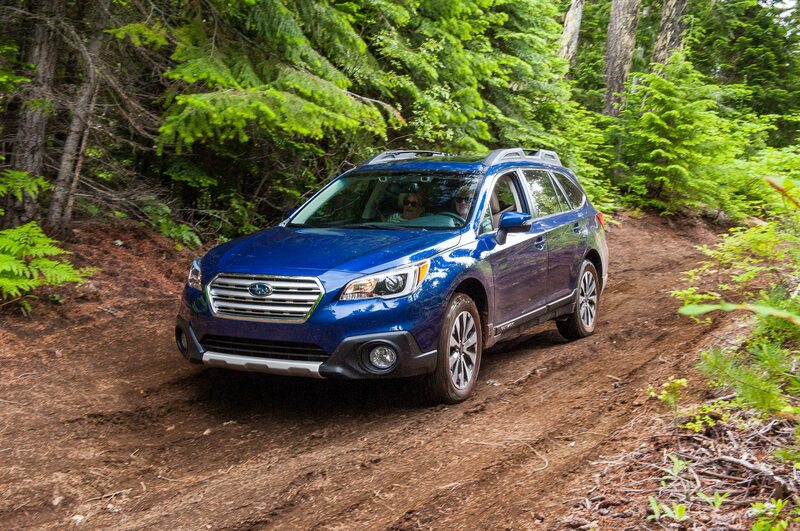 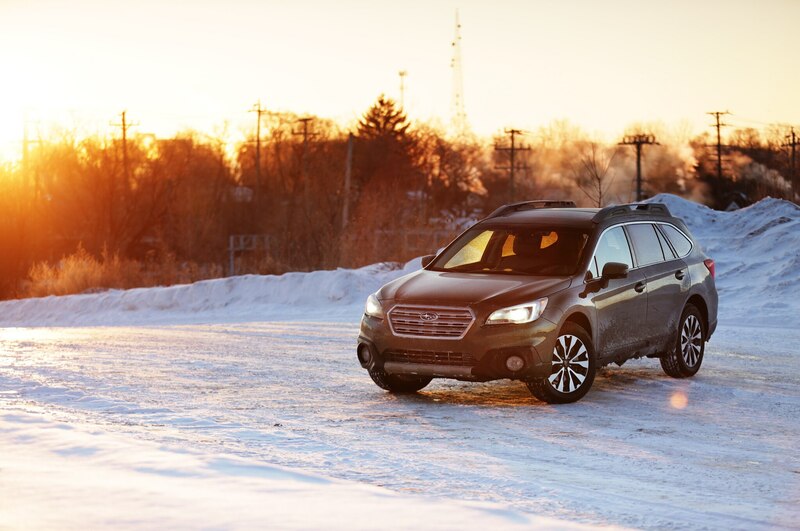 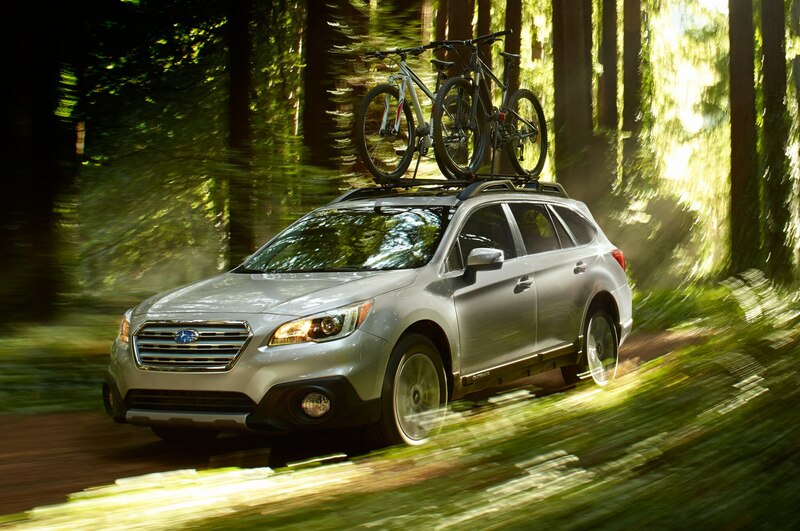 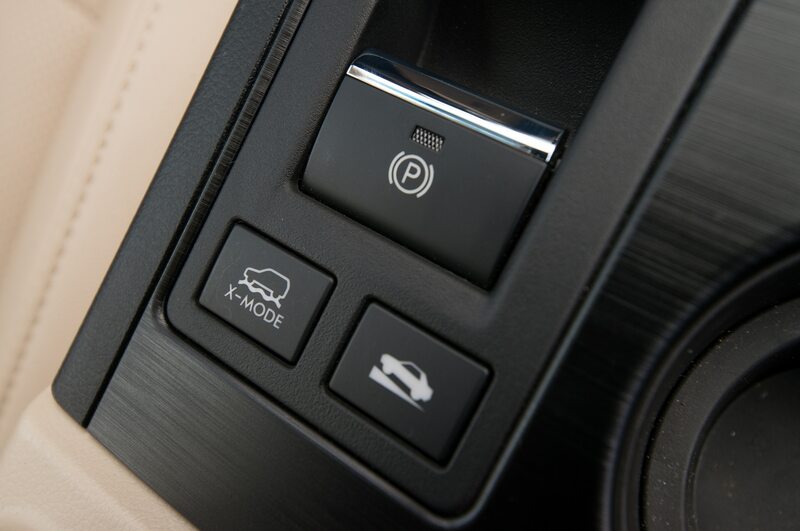 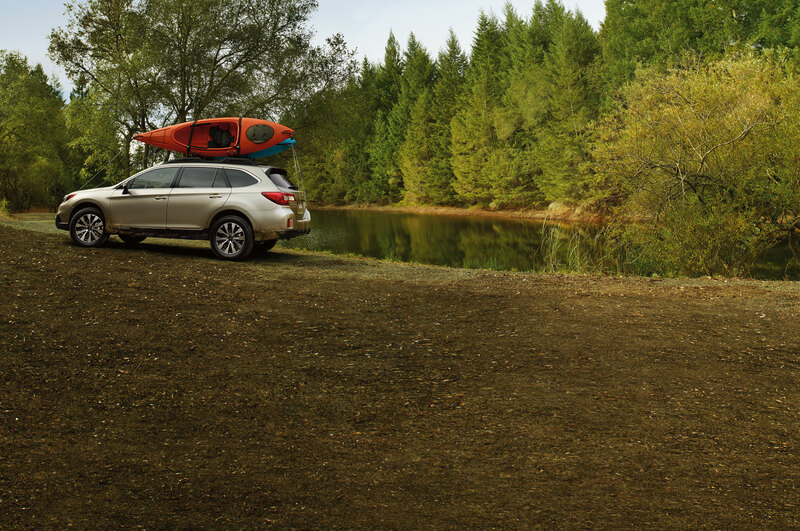 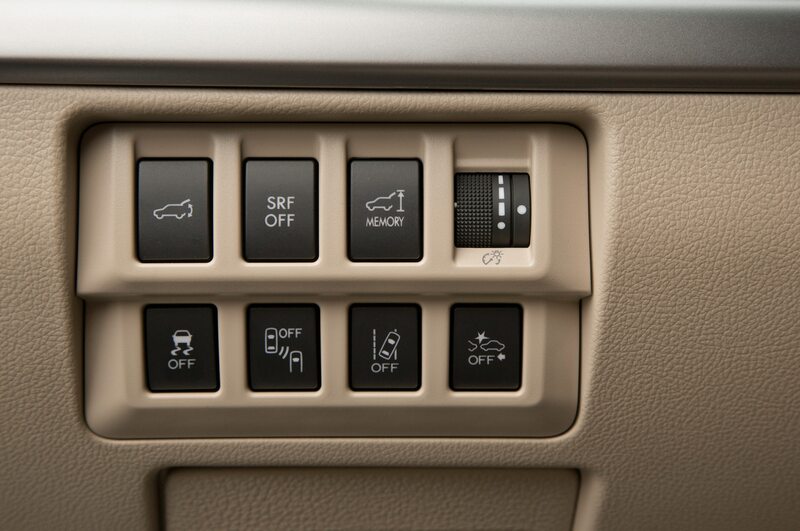 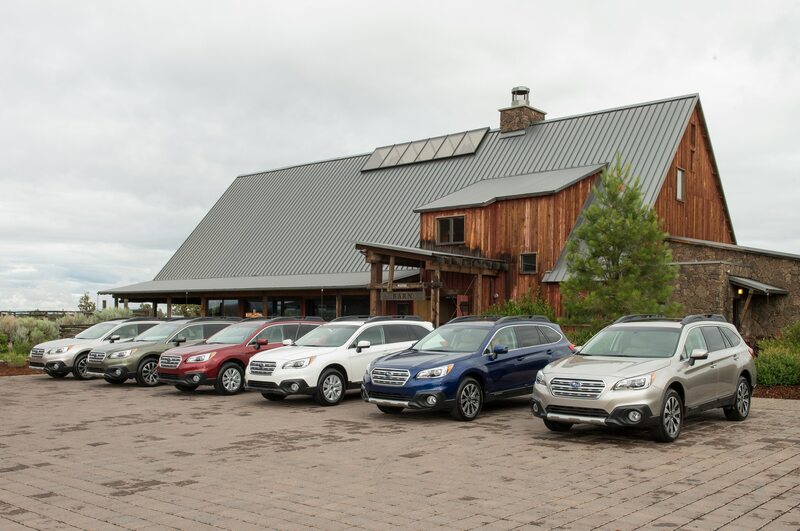 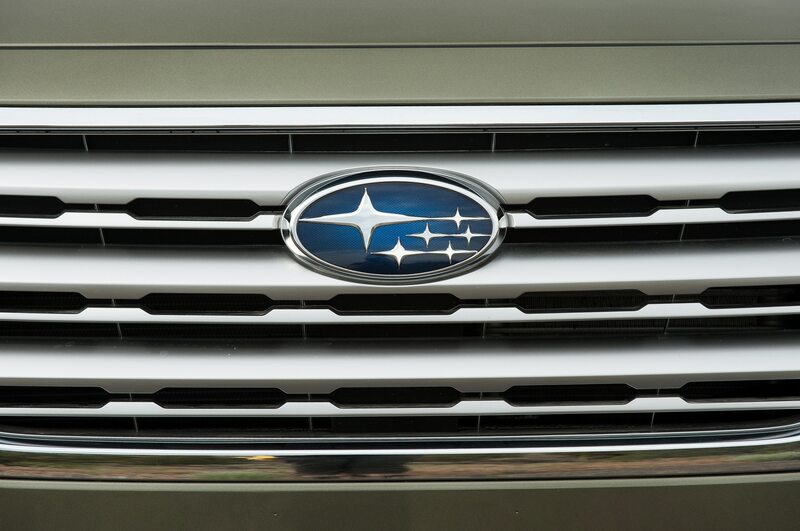 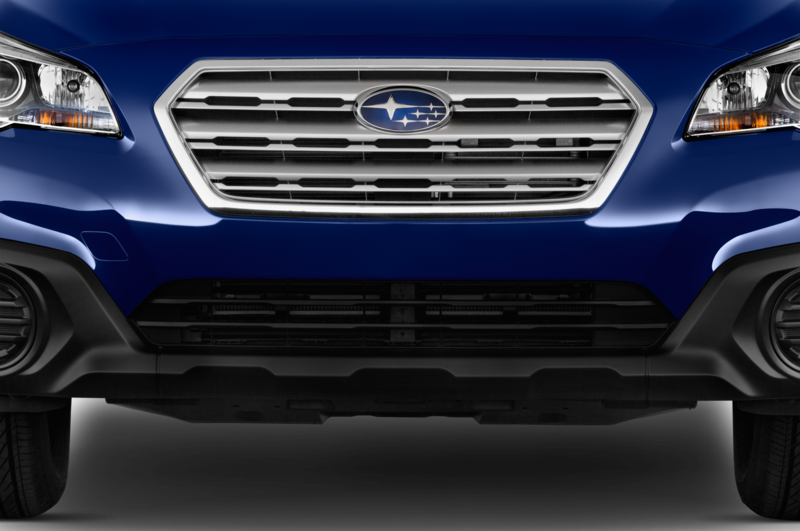 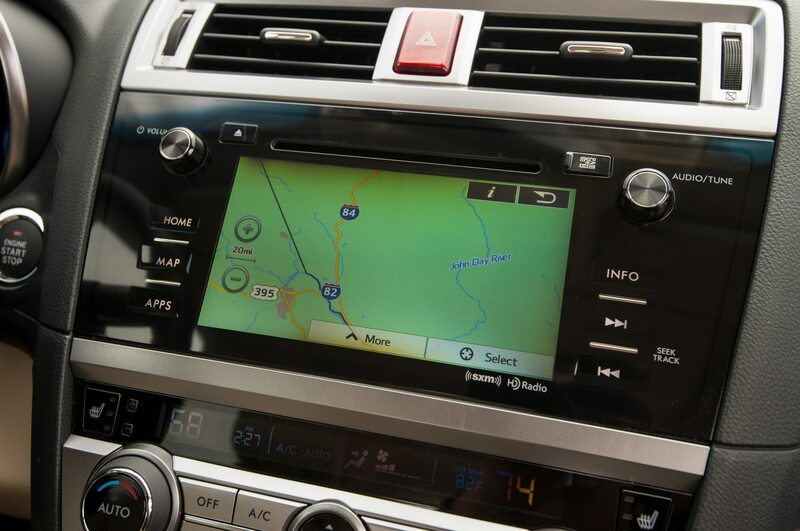 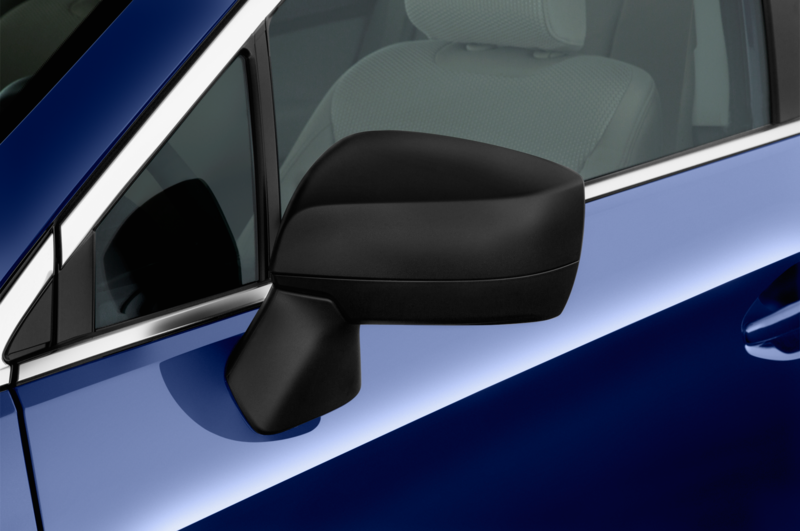 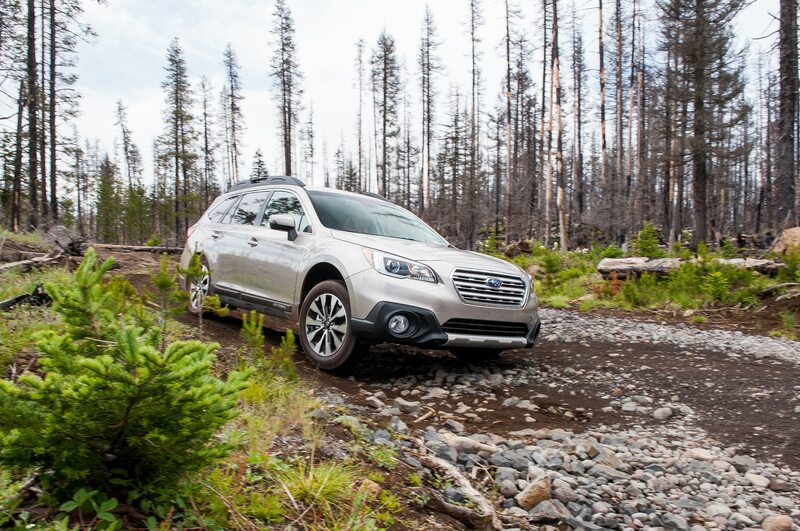 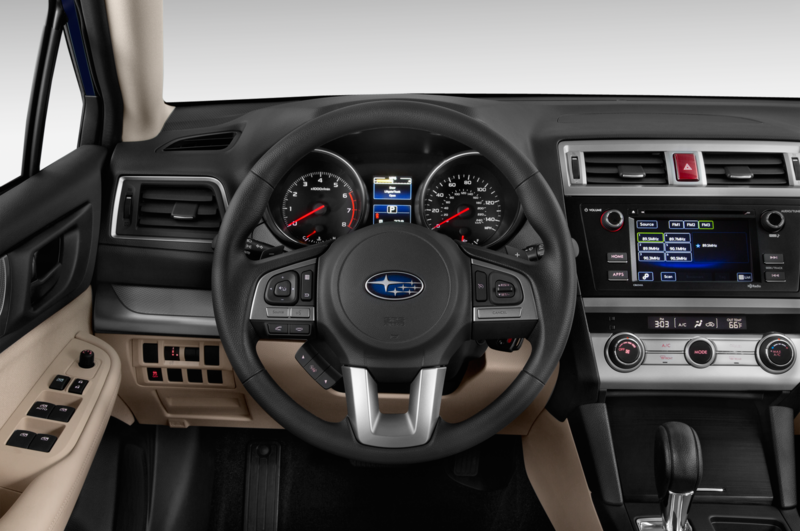 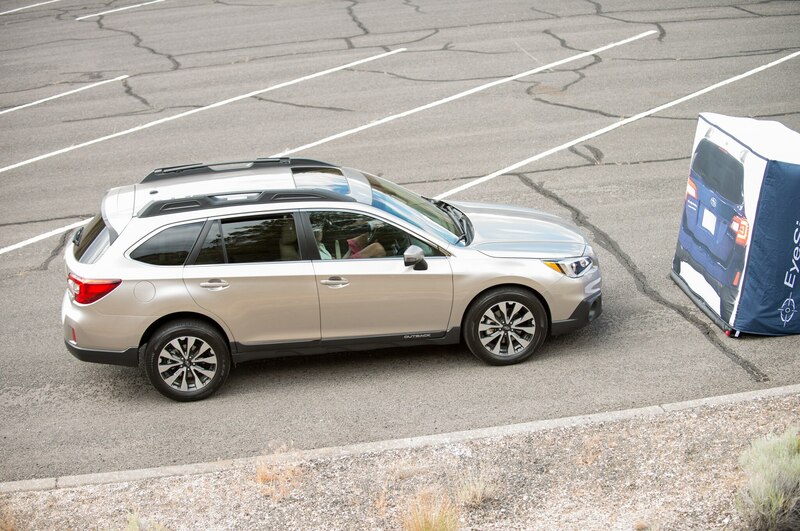 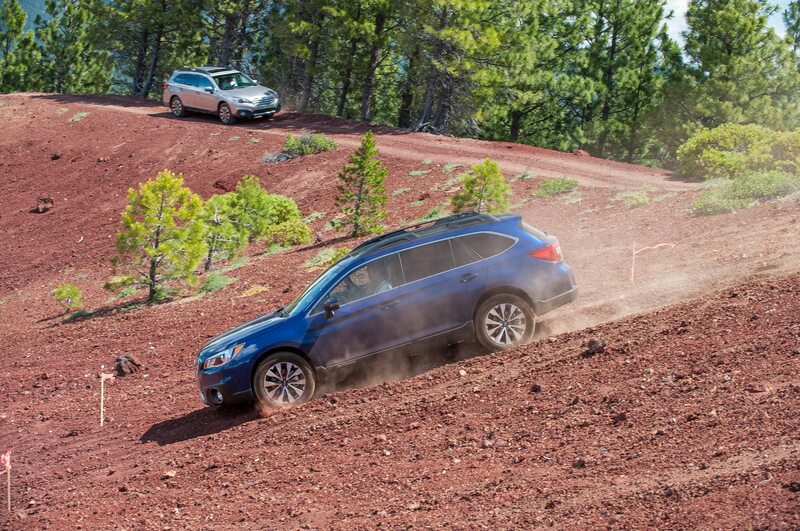 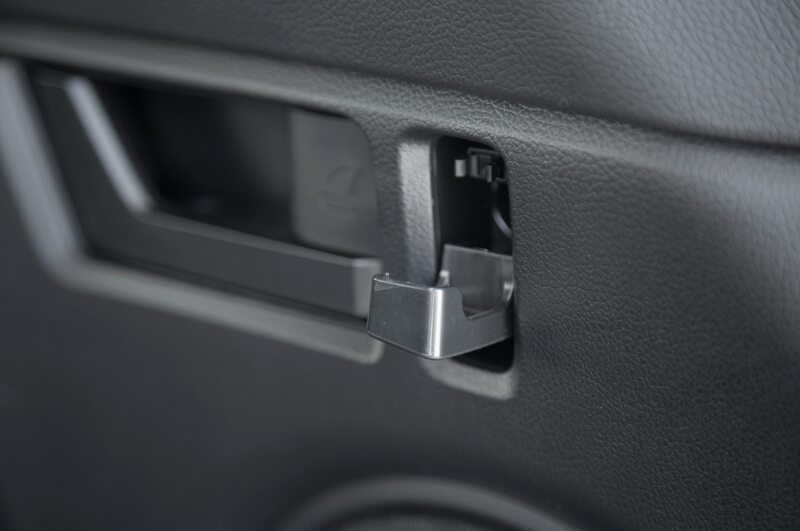 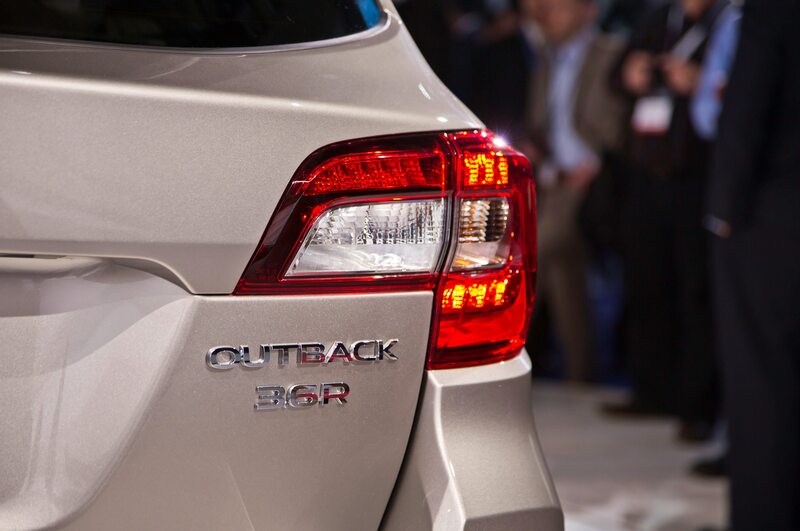 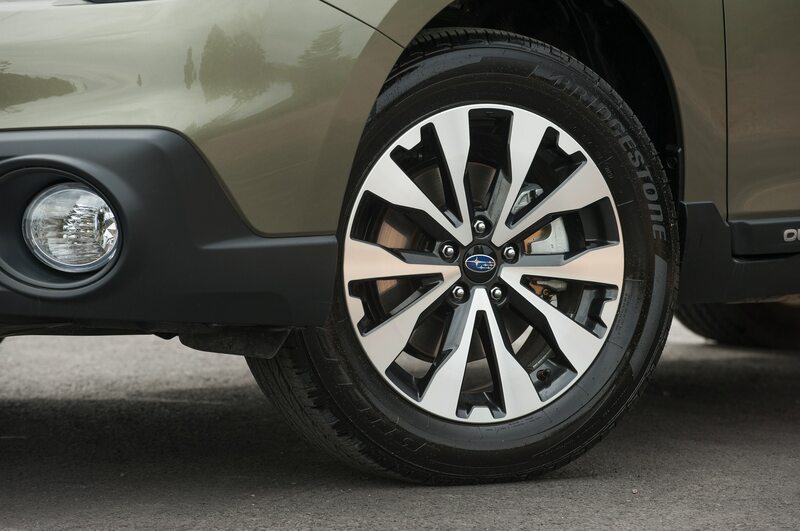 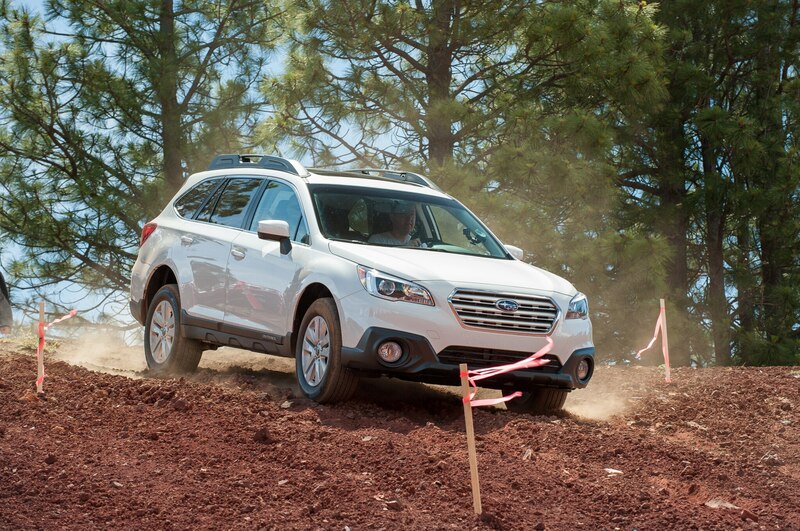 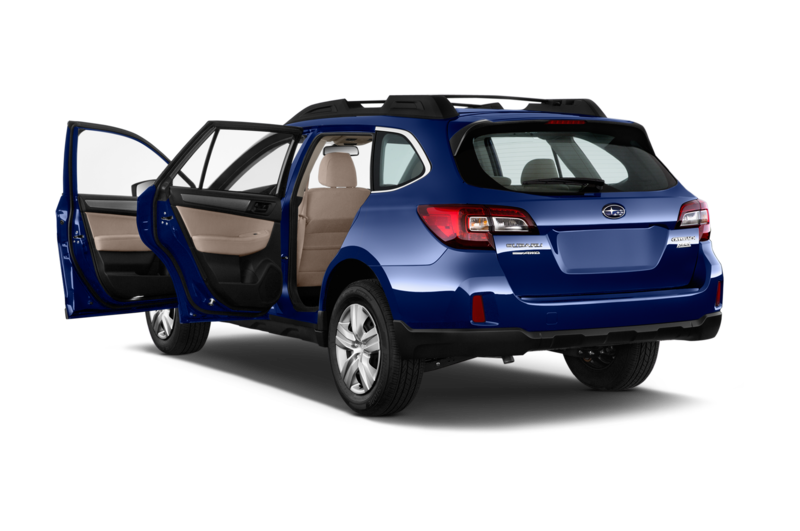 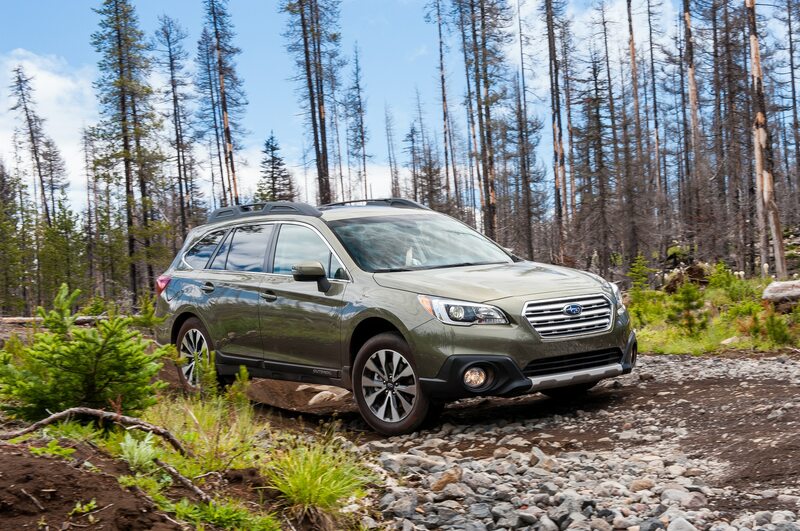 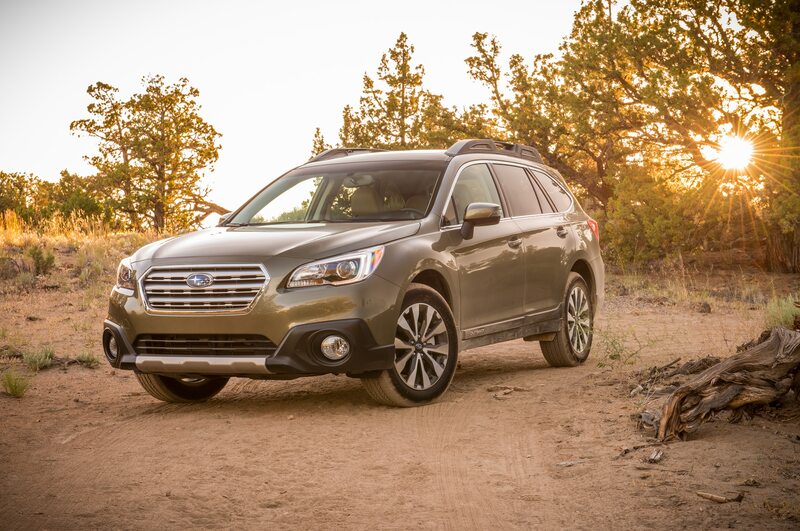 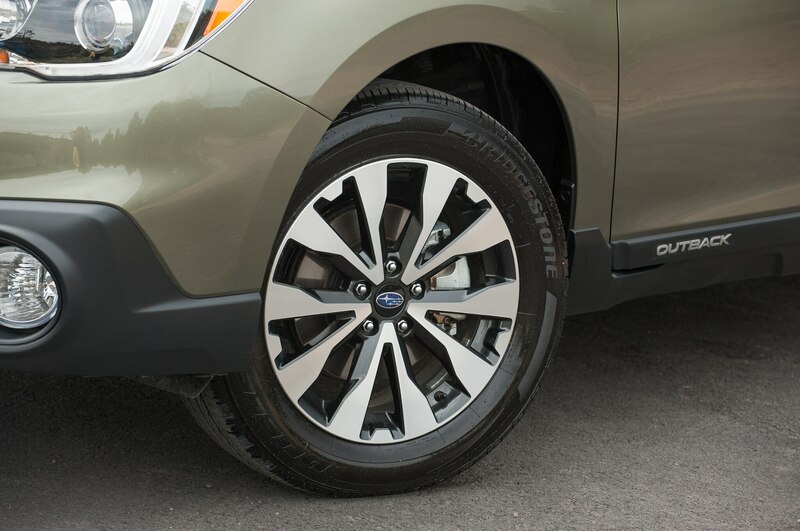 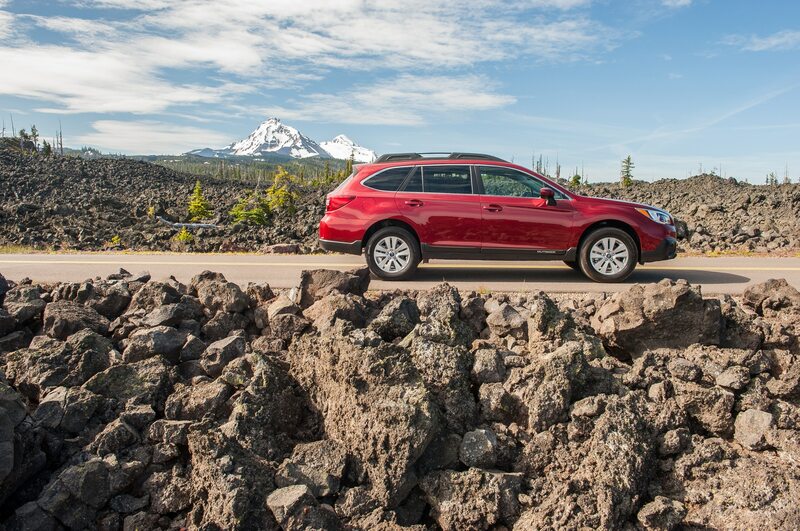 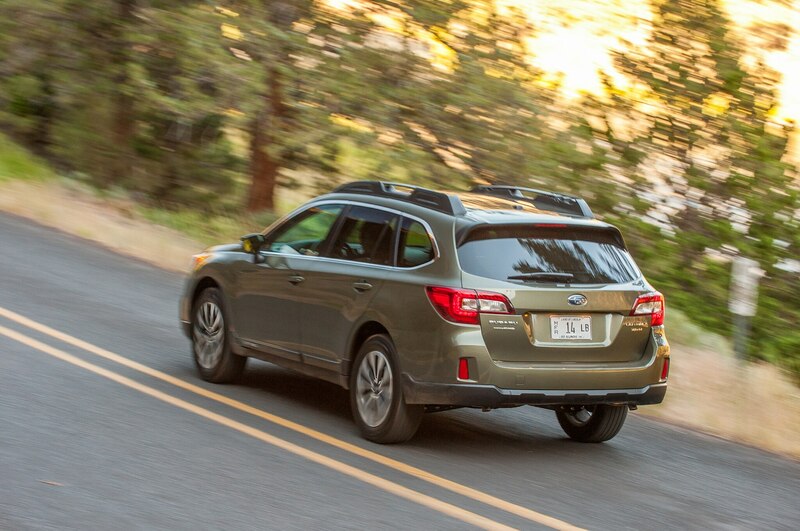 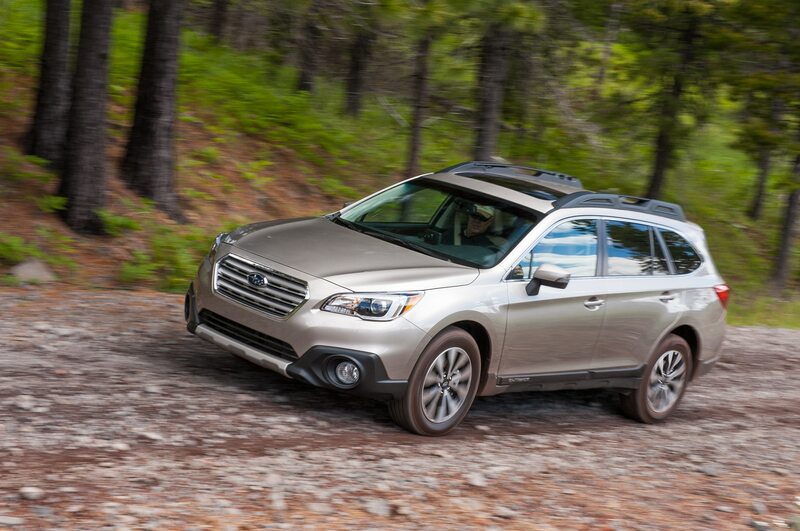 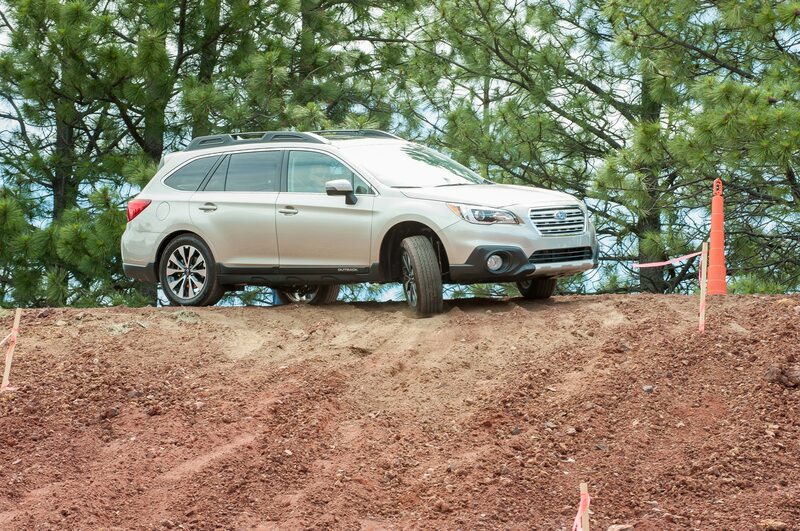 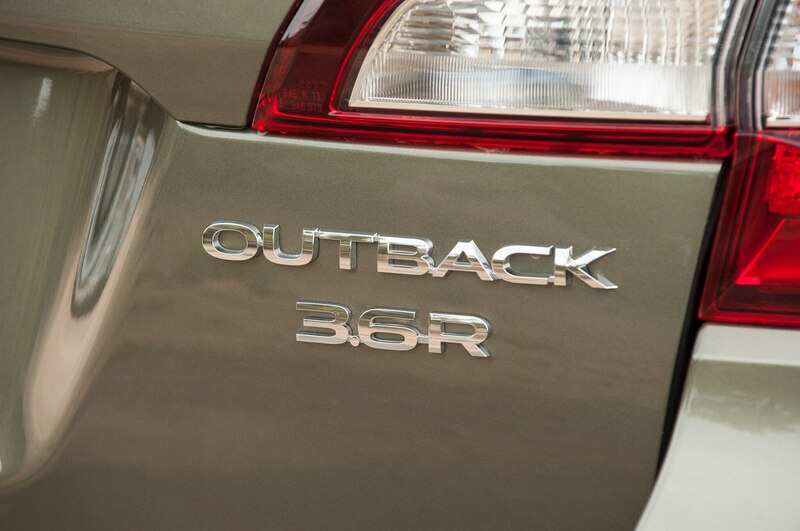 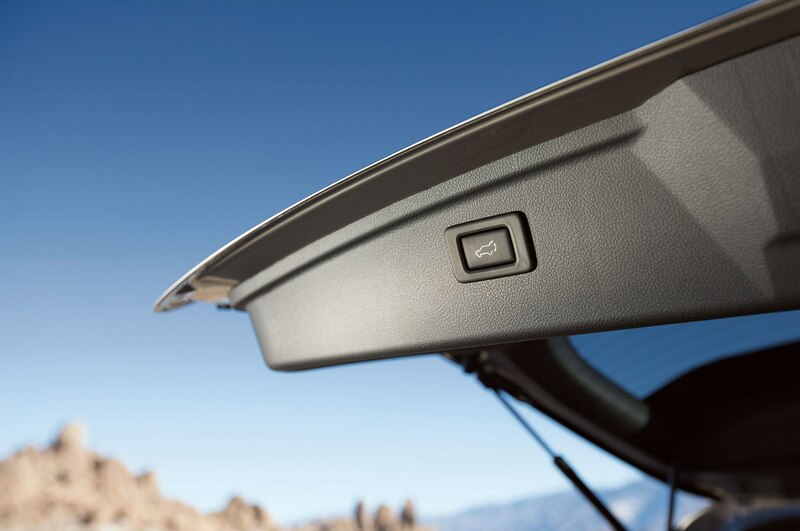 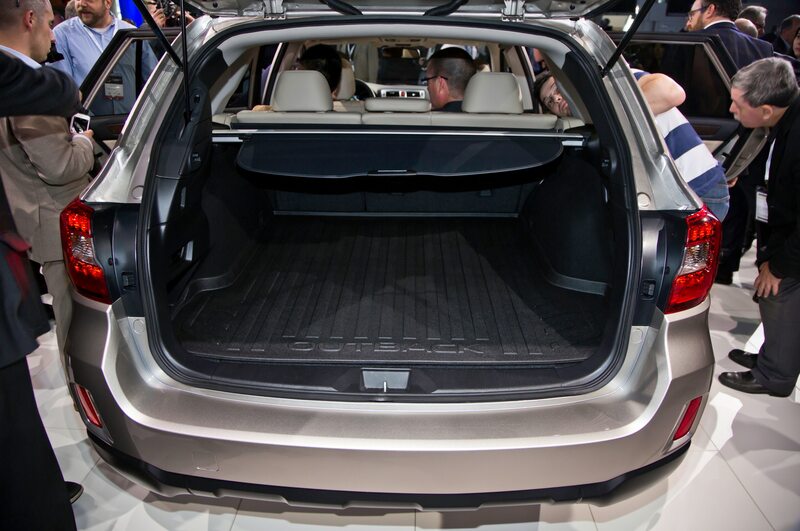 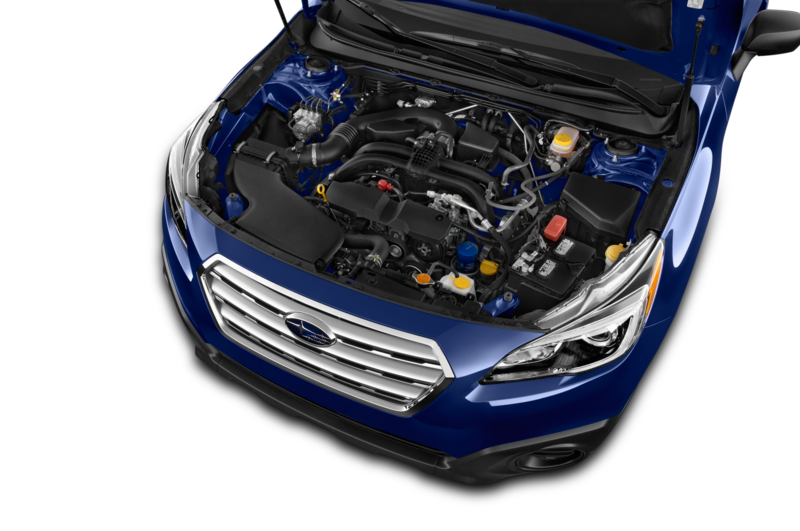 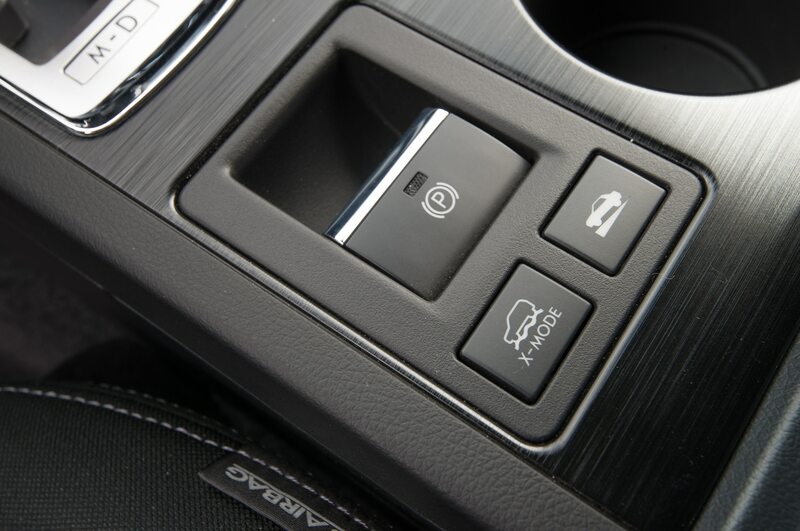 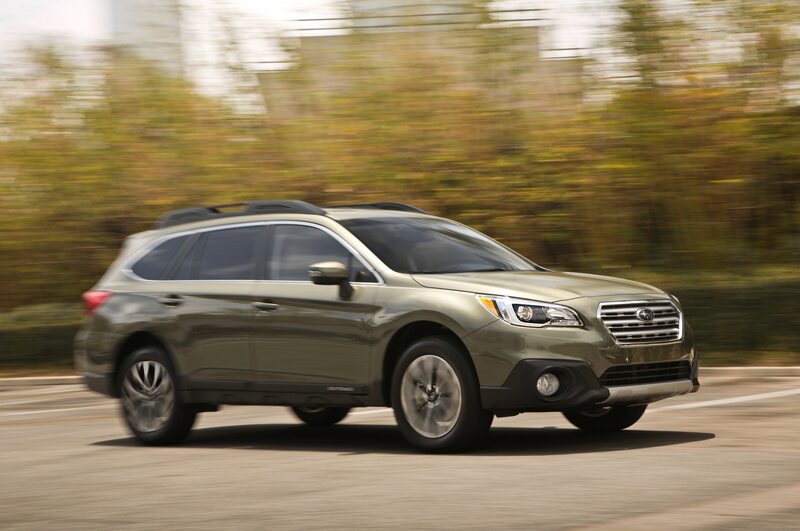 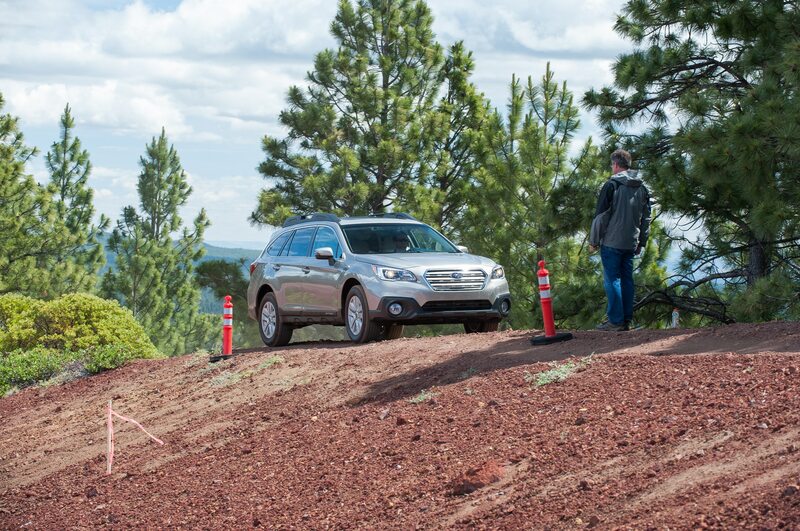 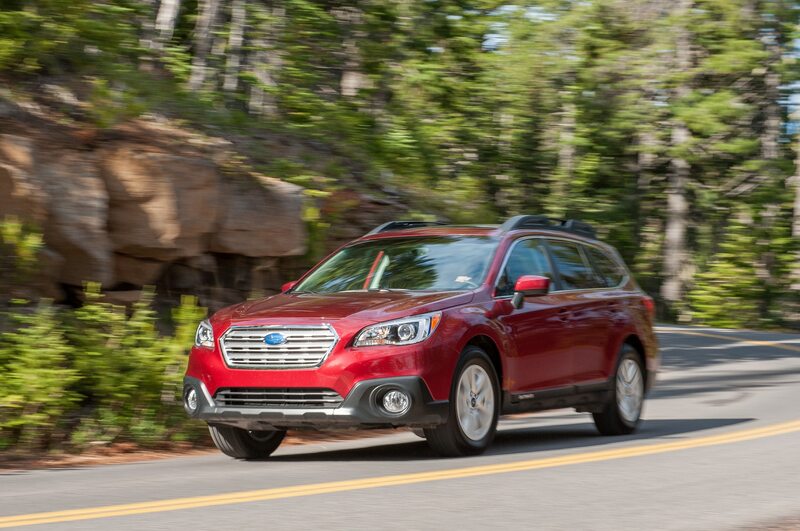 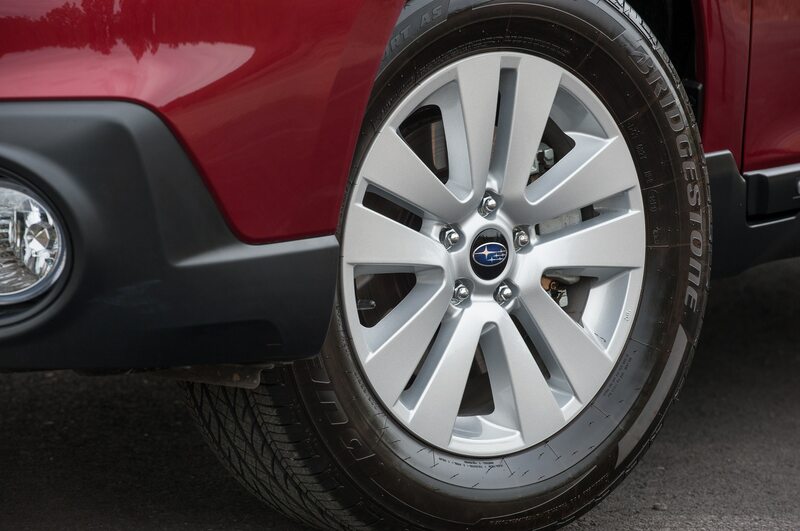 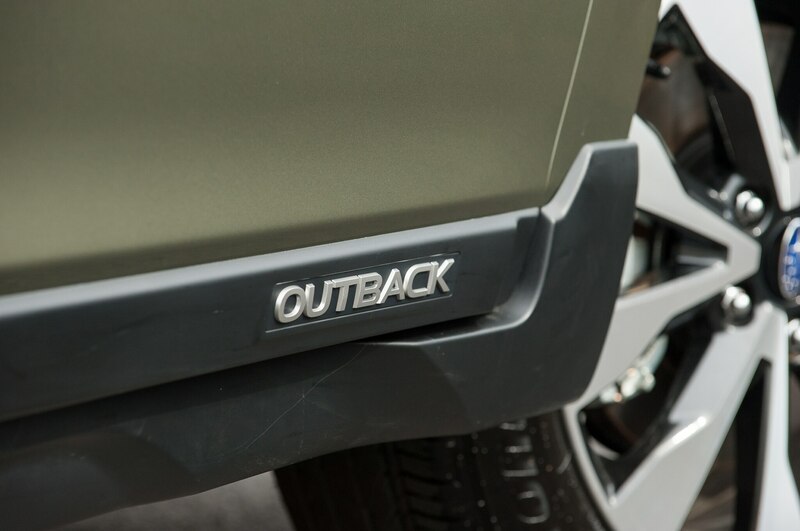 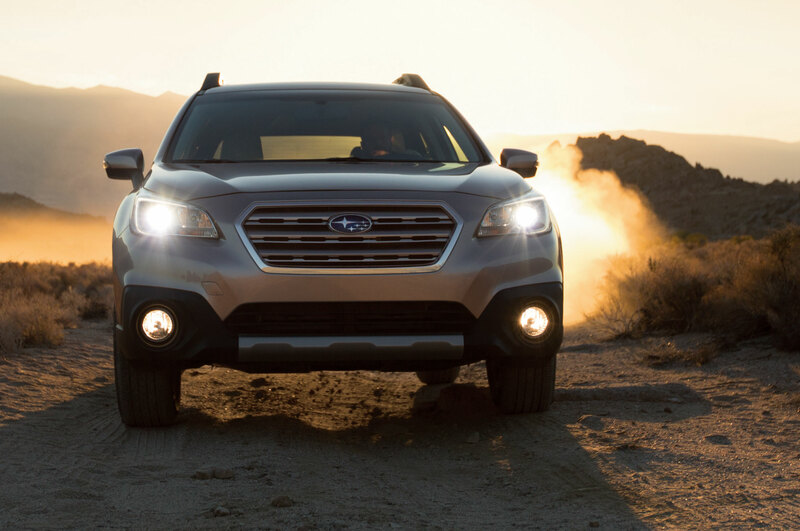 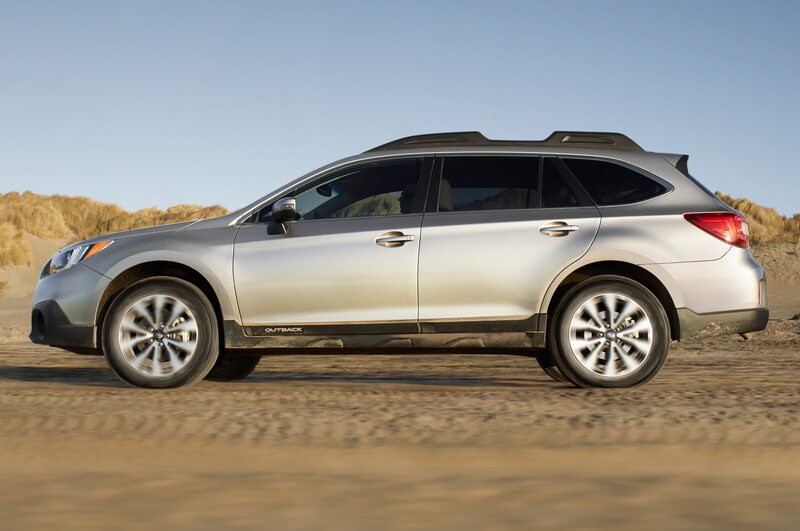 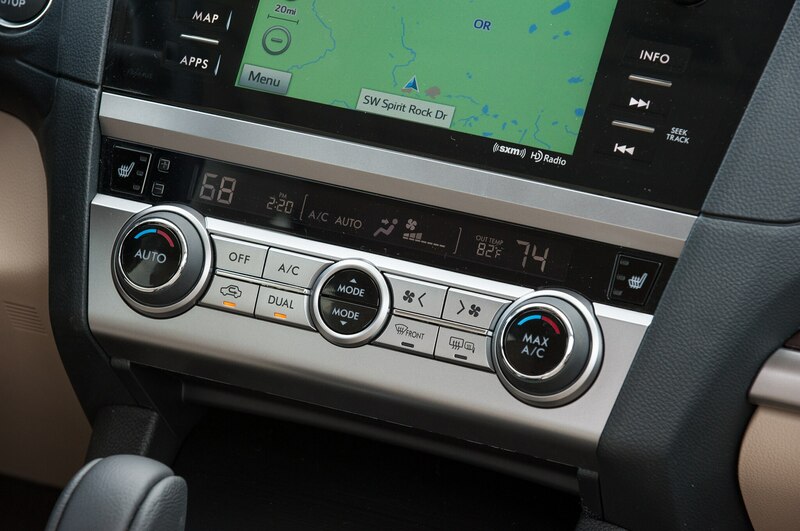 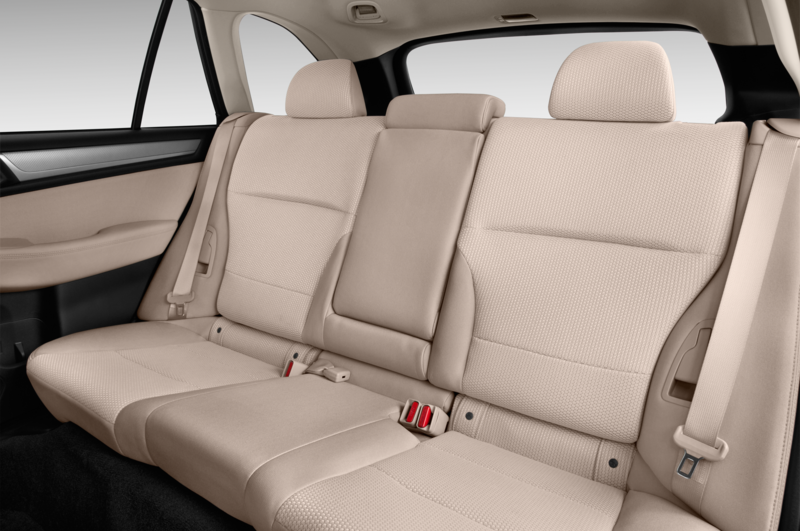 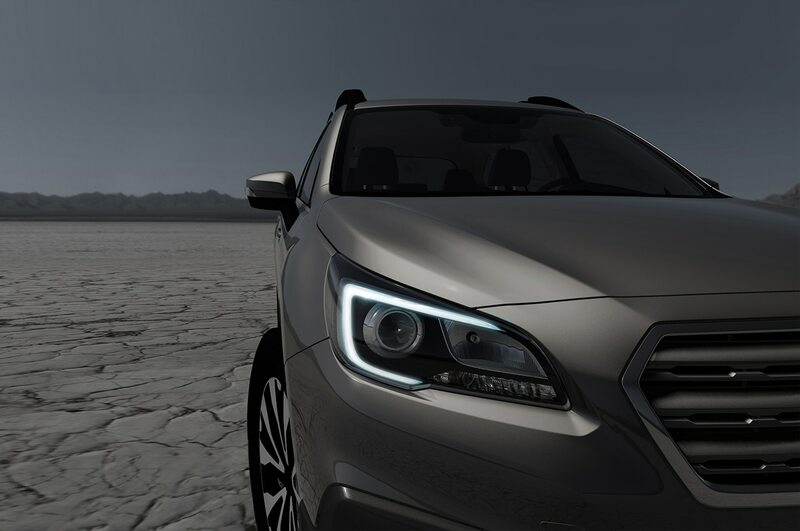 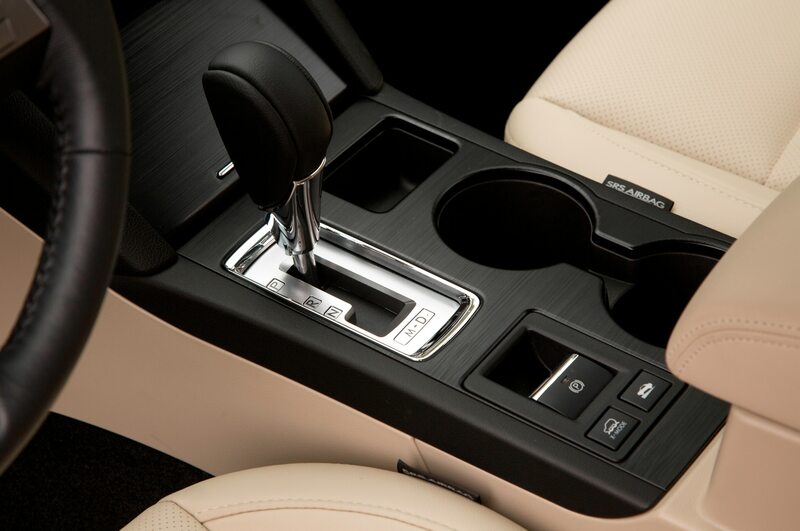 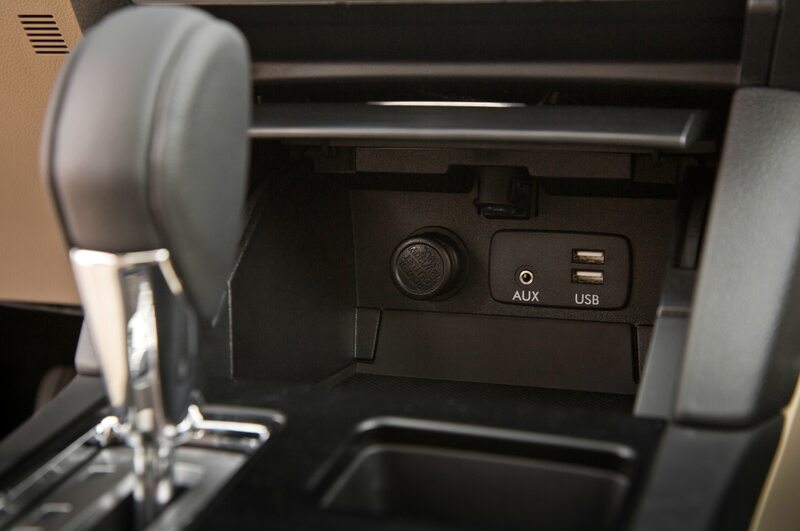 In all of its forms, the 2015 Subaru Outback has risen to a new realm of refinement and luxury. 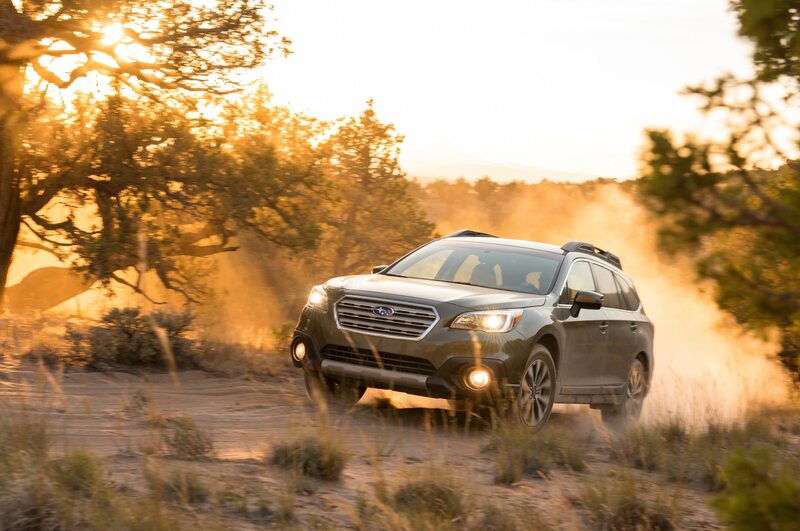 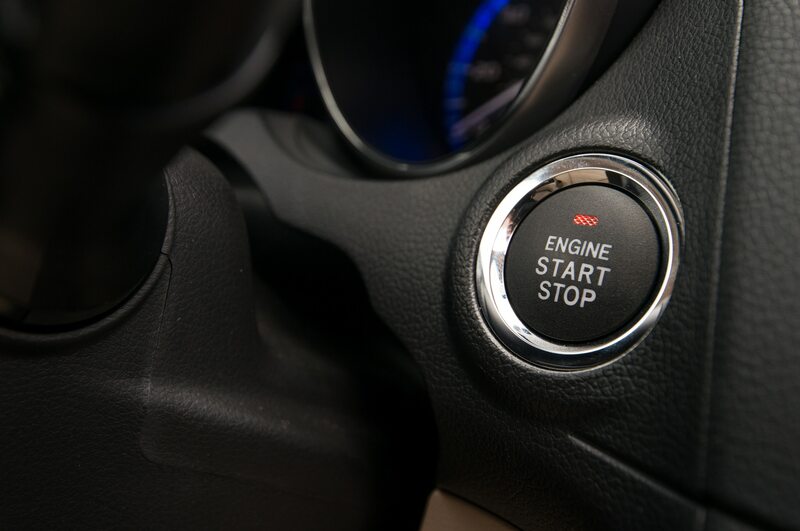 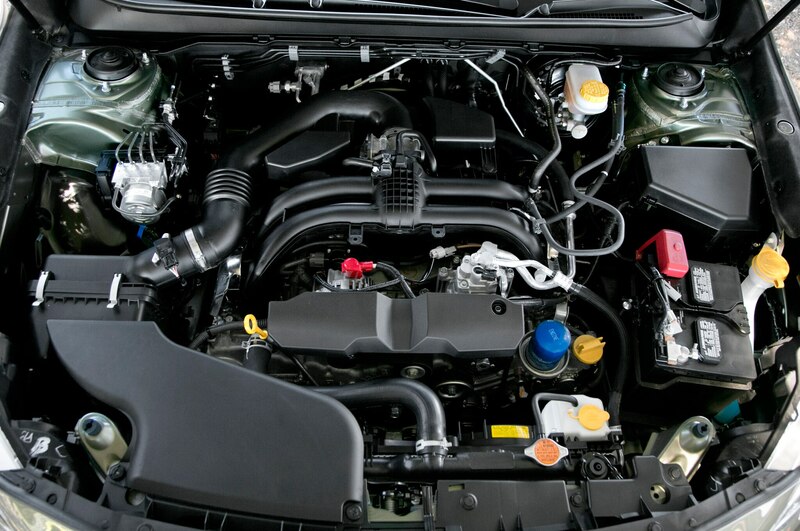 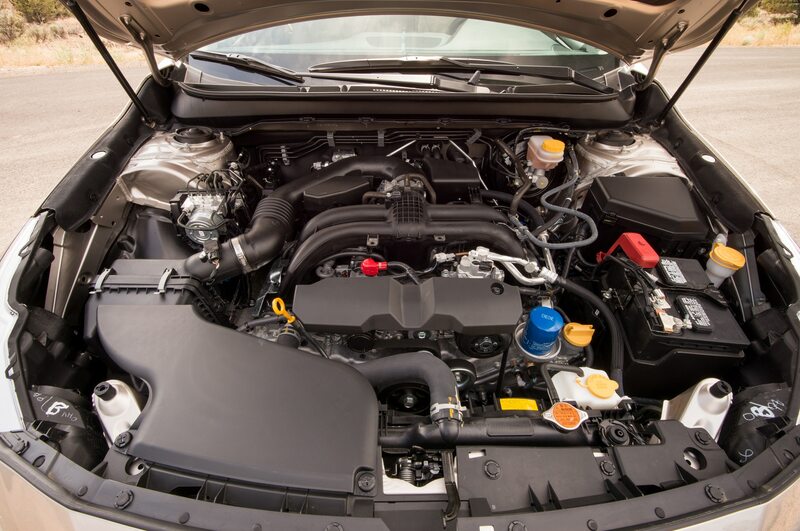 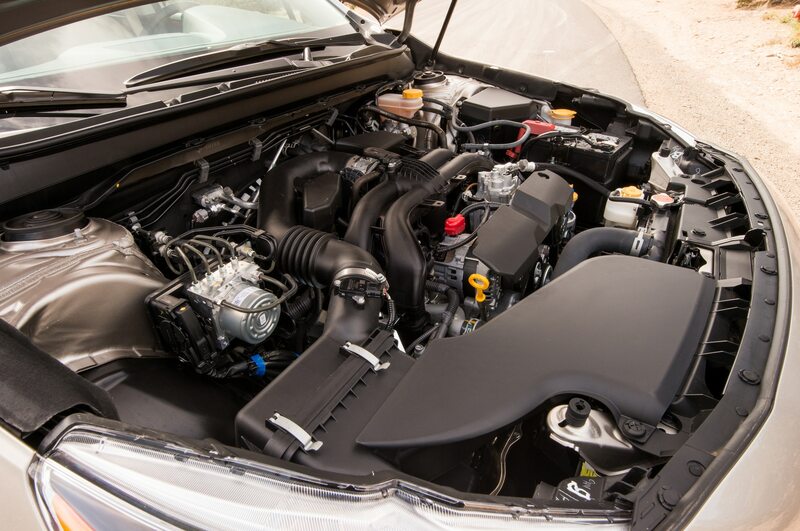 Given the standard four-cylinder’s overall goodness, we say less is more with the new Outback, and shoppers should think twice before ponying up the extra cash for the six-cylinder engine.